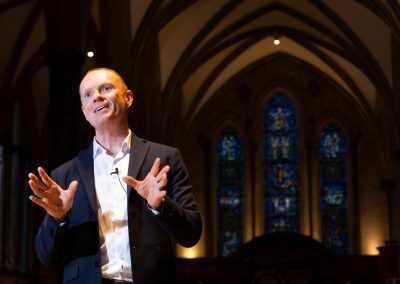 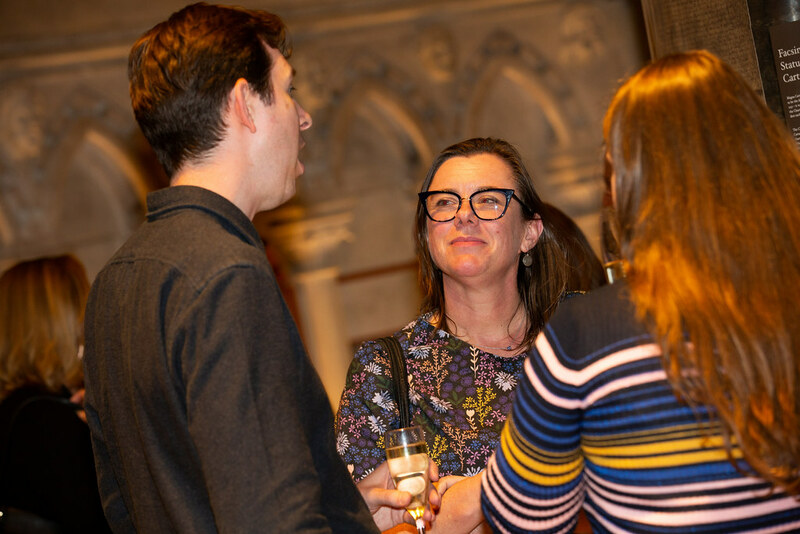 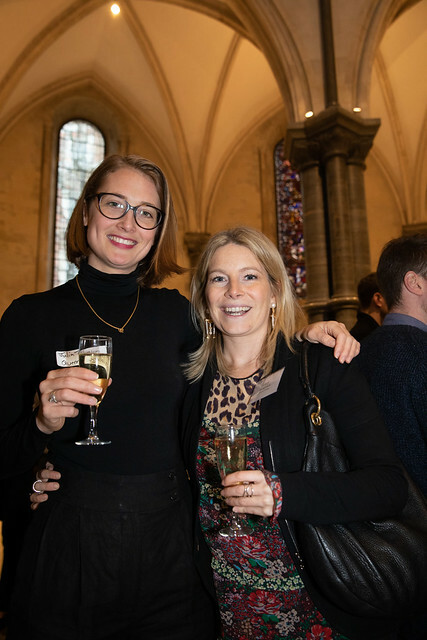 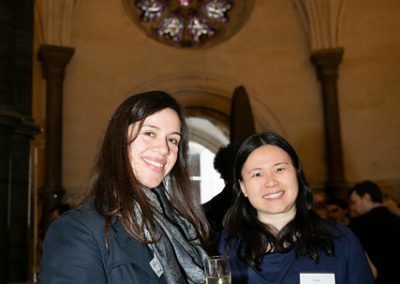 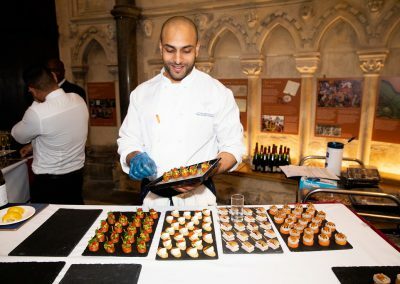 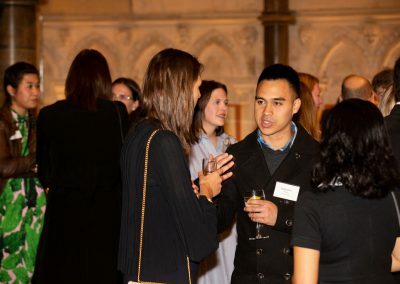 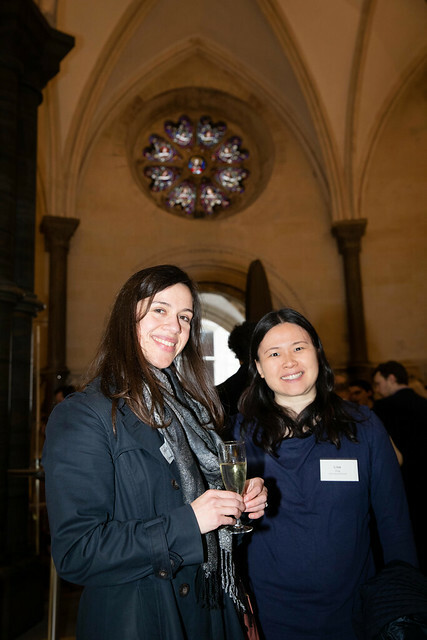 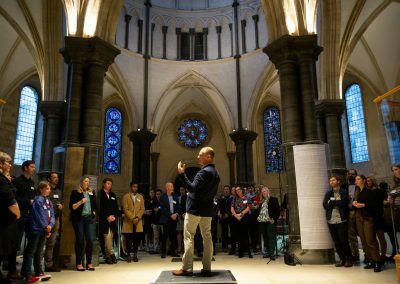 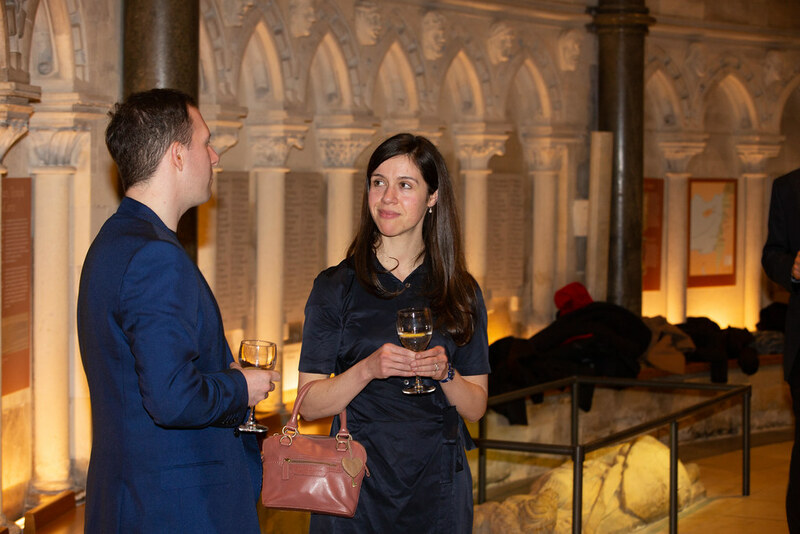 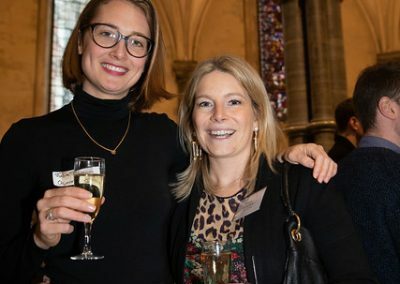 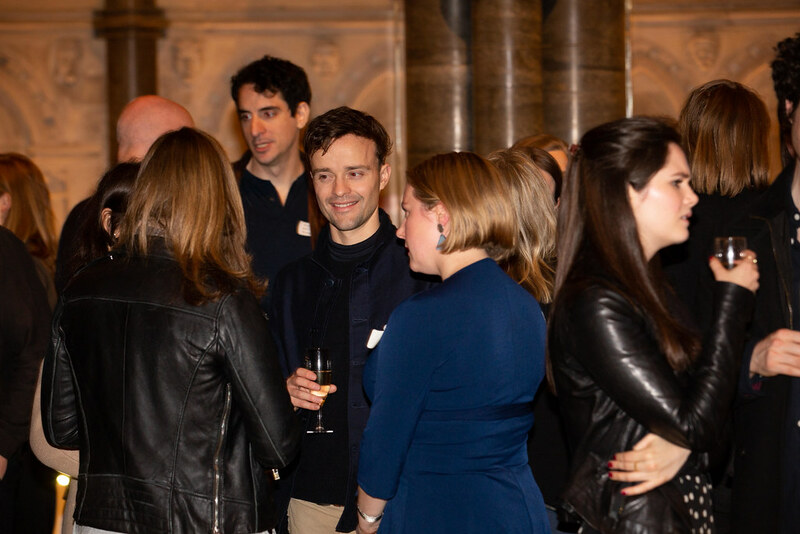 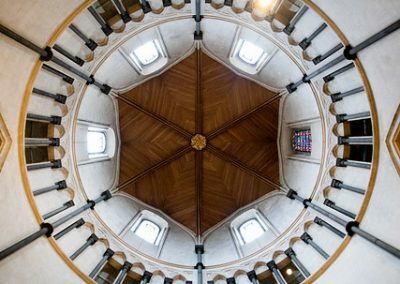 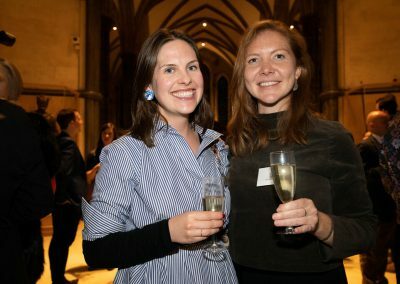 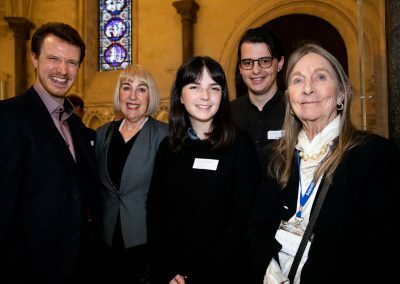 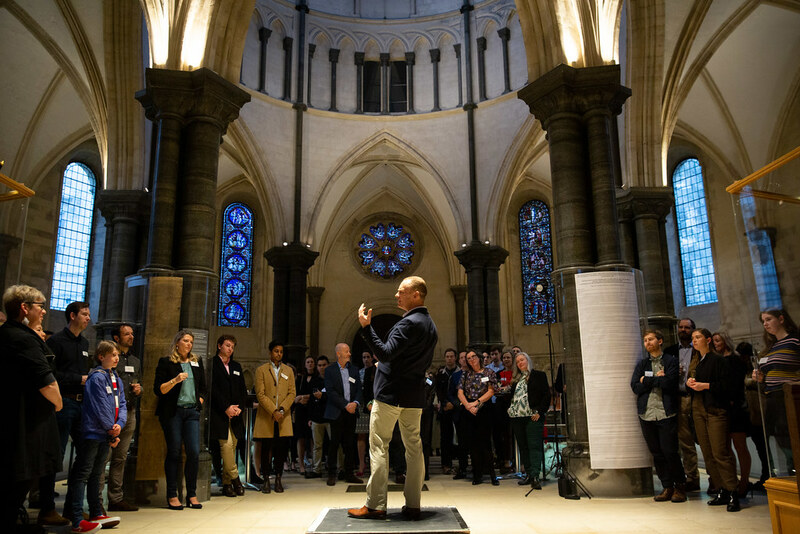 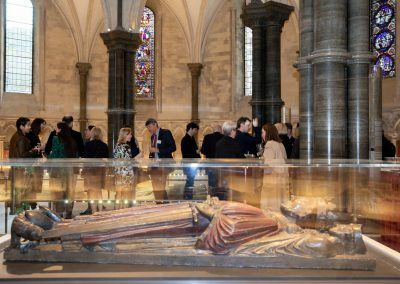 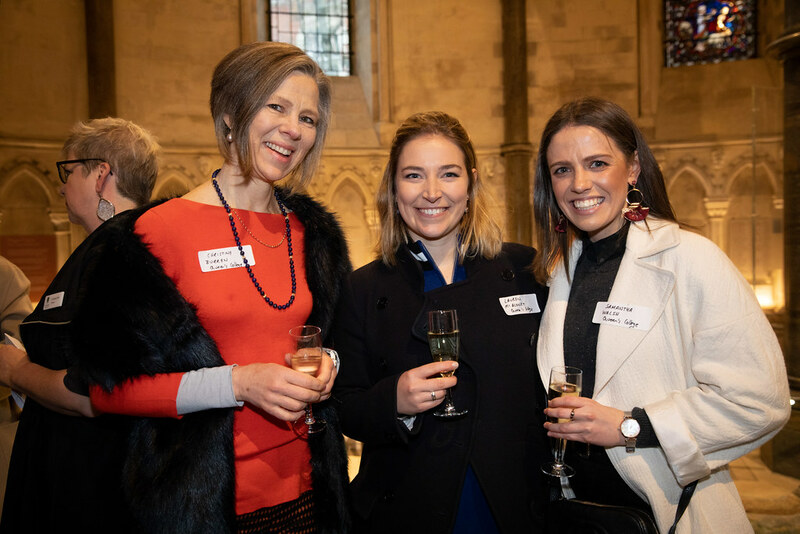 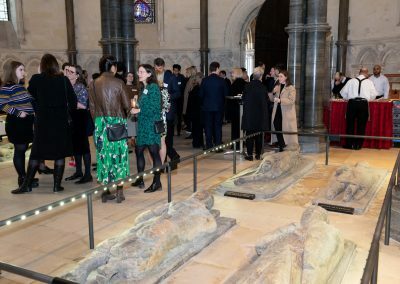 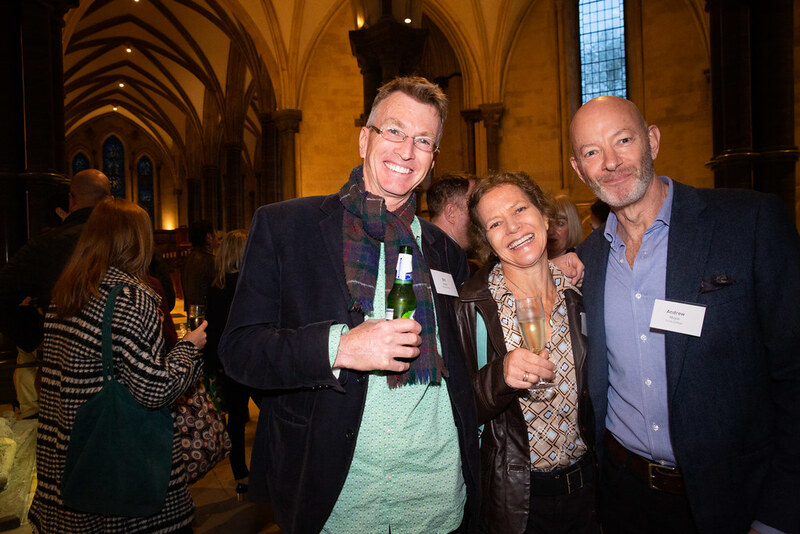 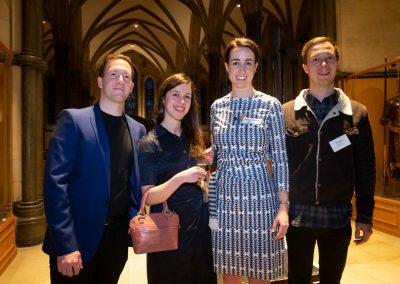 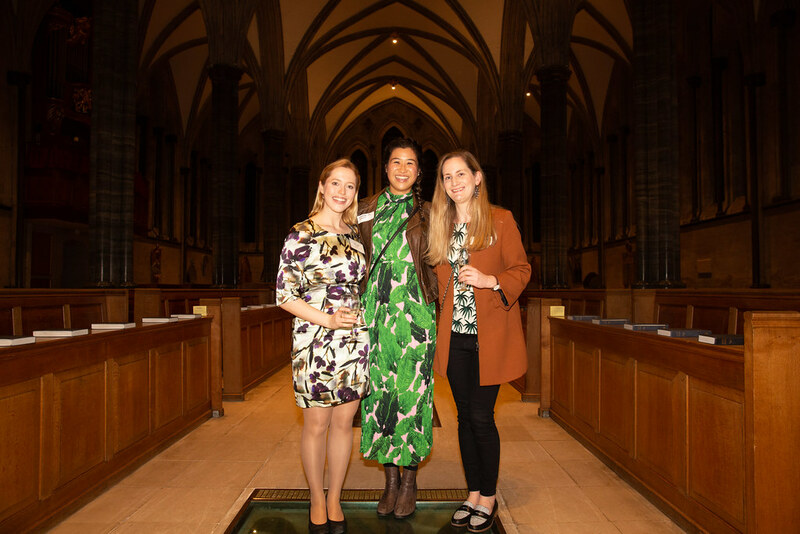 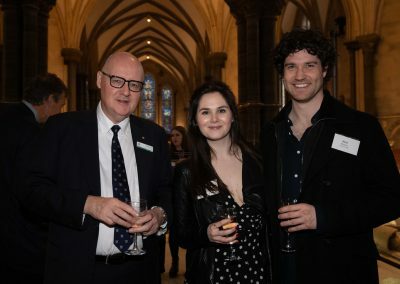 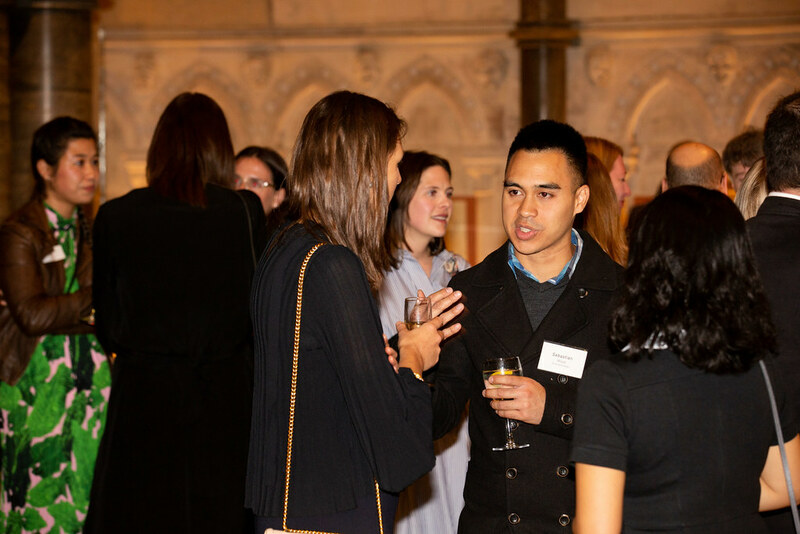 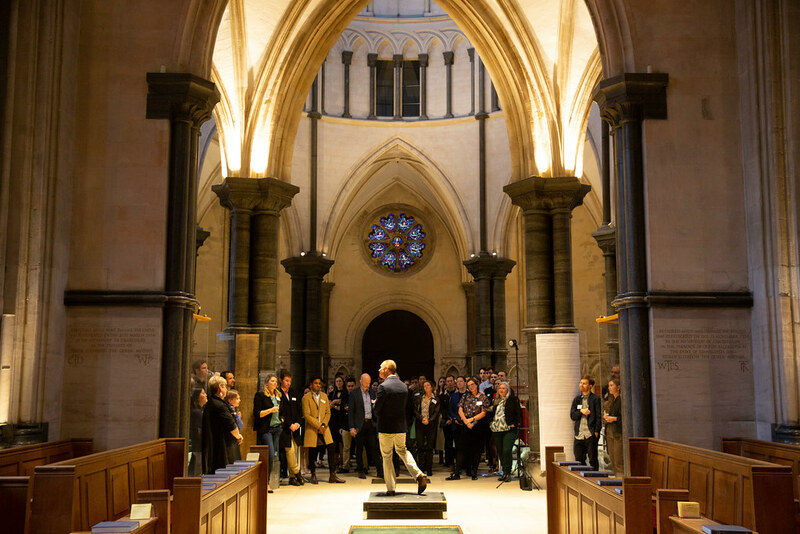 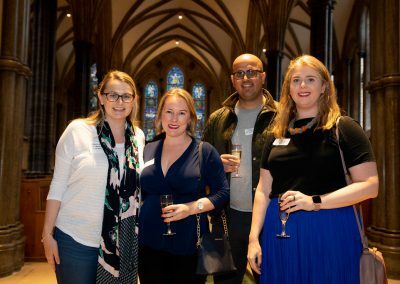 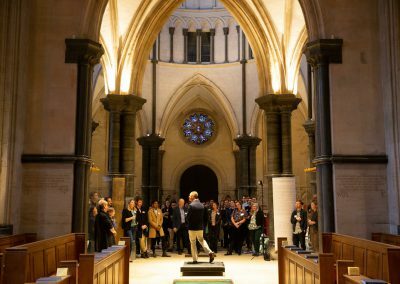 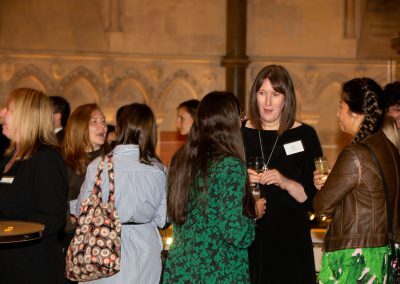 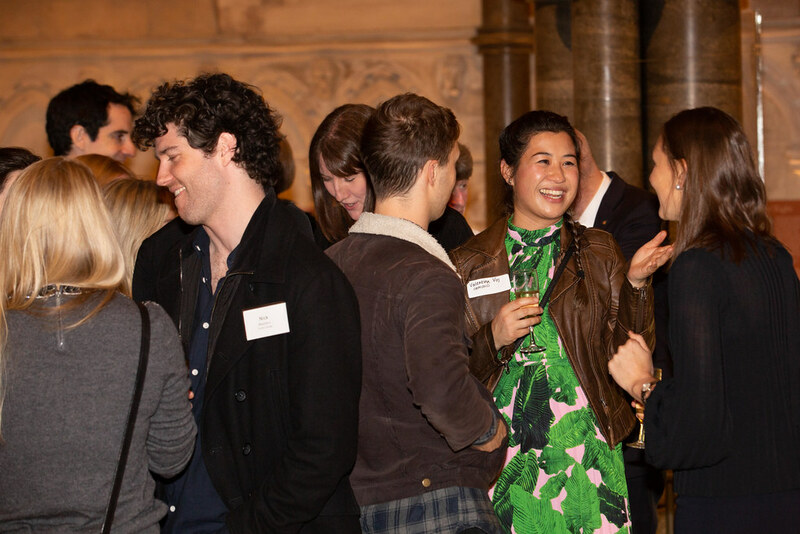 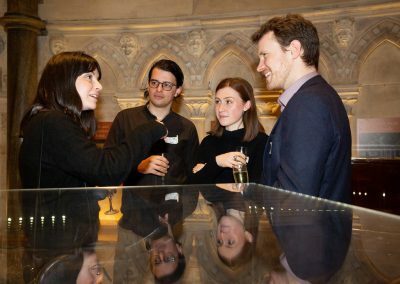 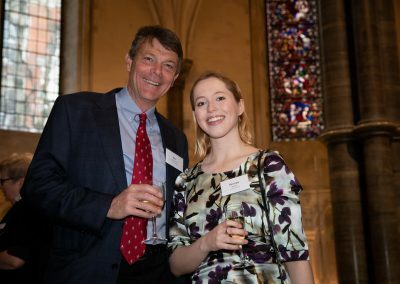 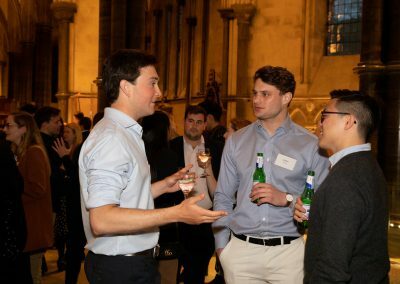 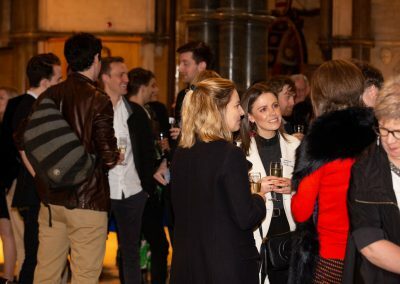 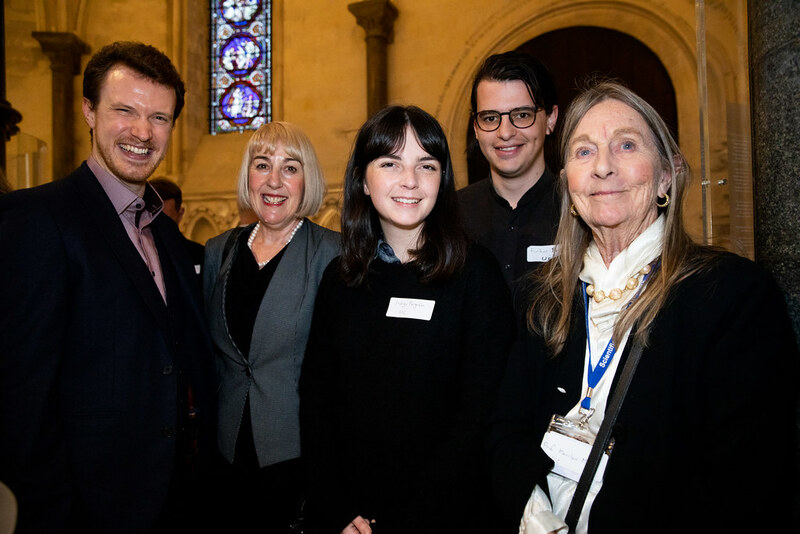 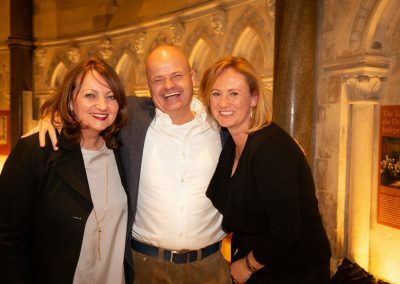 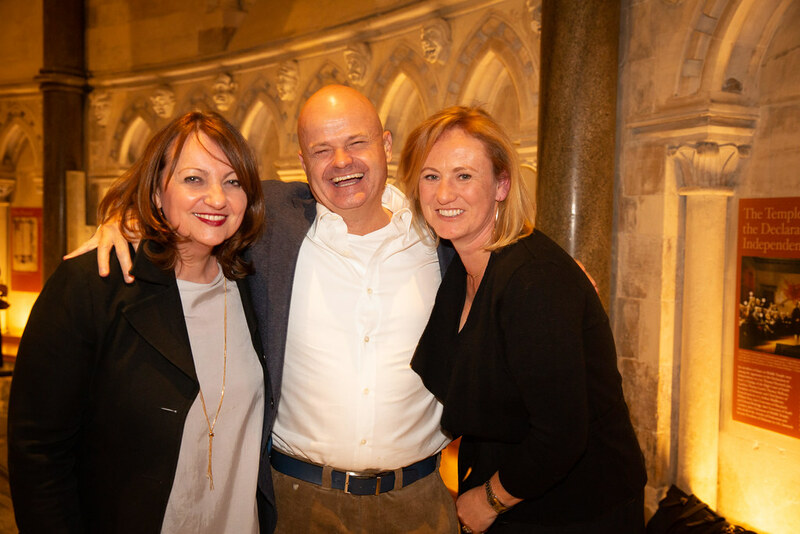 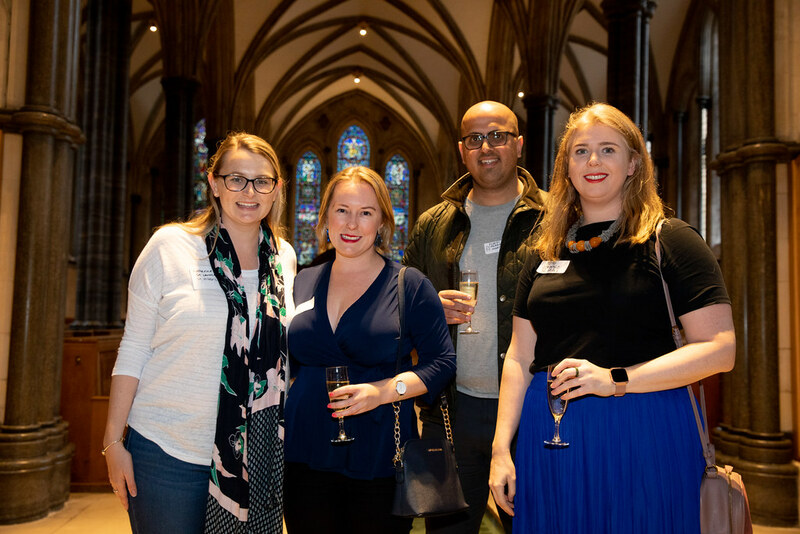 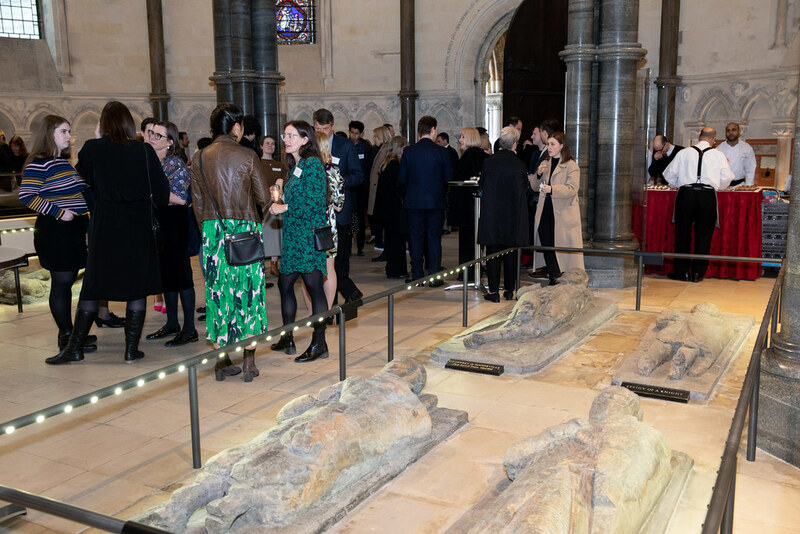 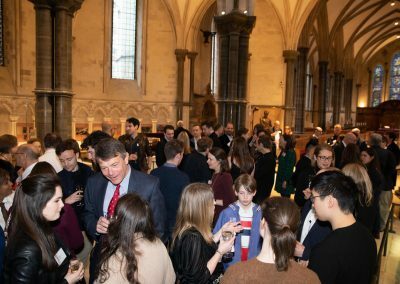 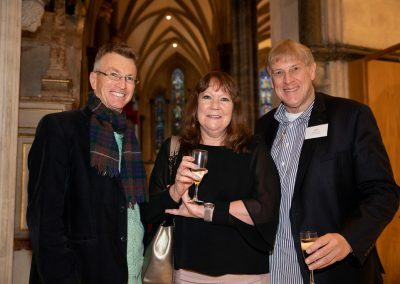 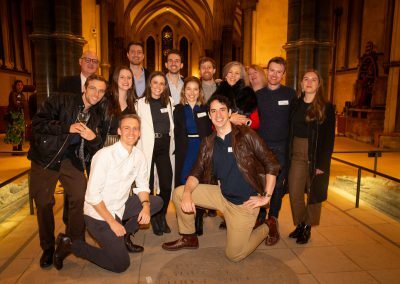 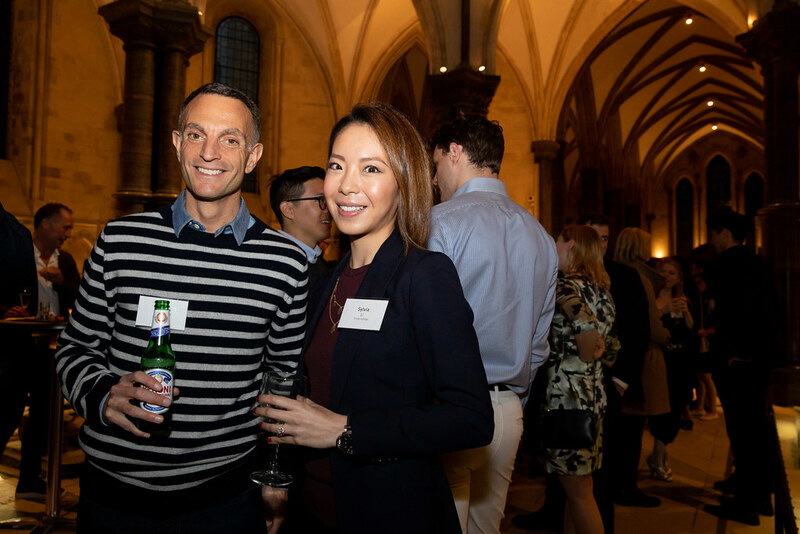 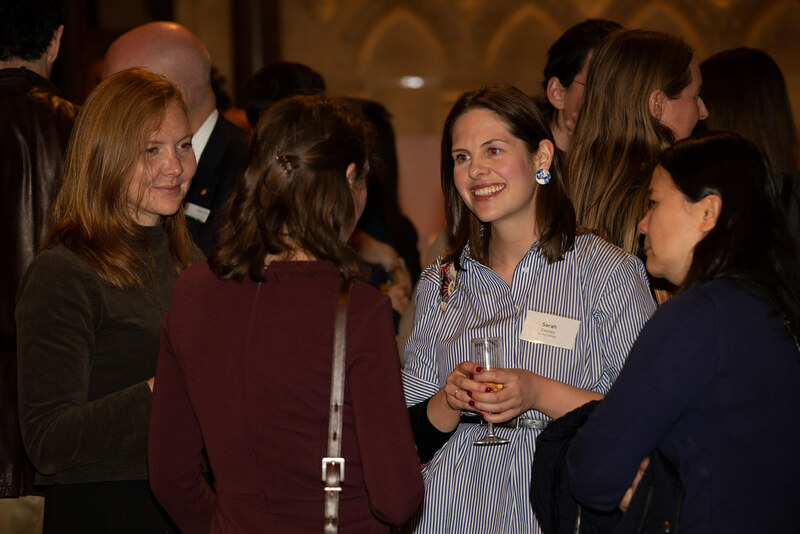 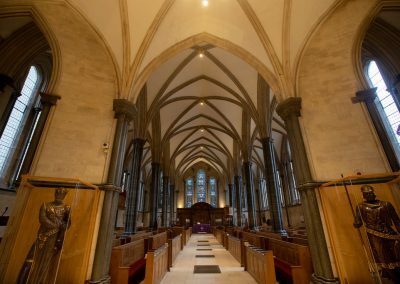 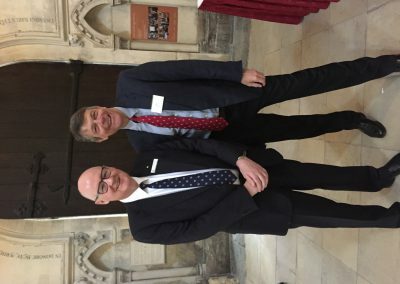 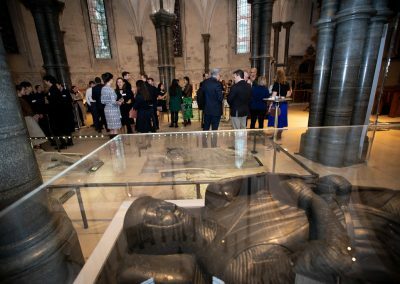 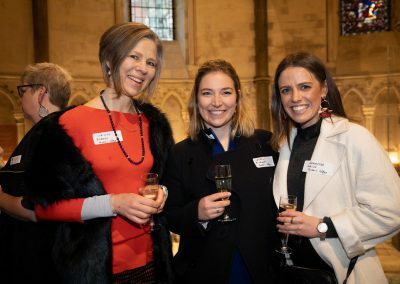 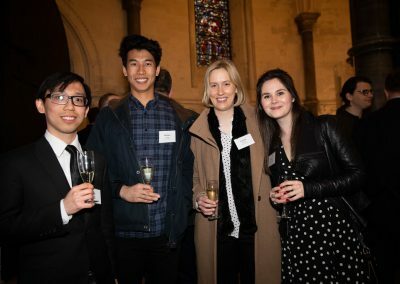 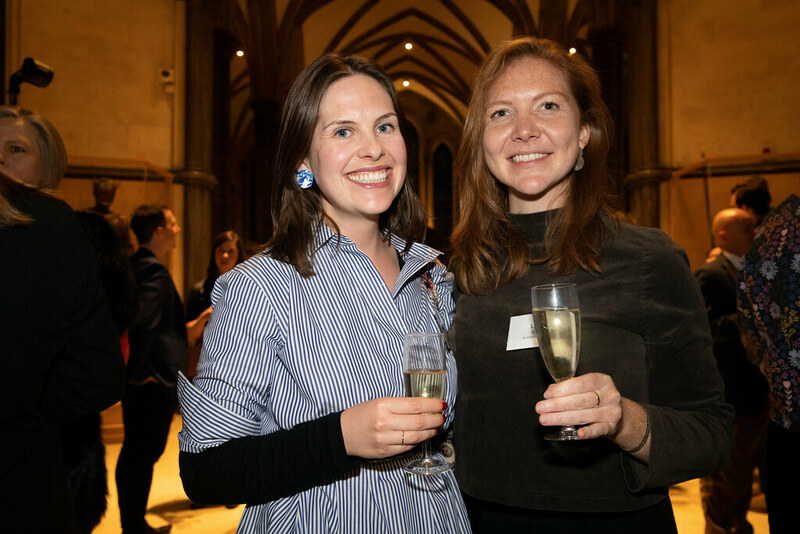 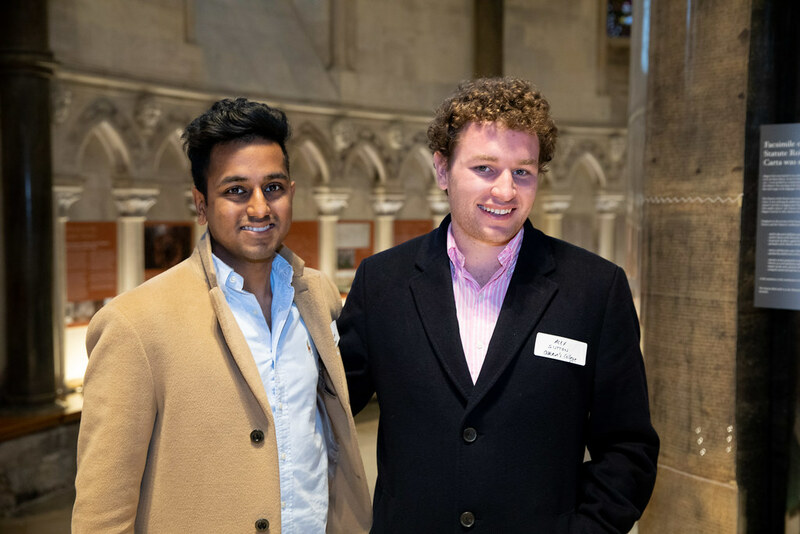 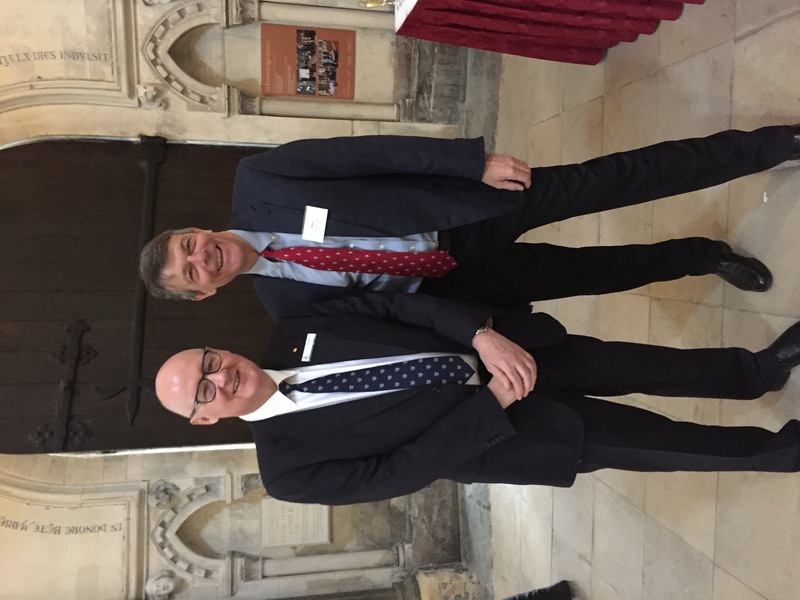 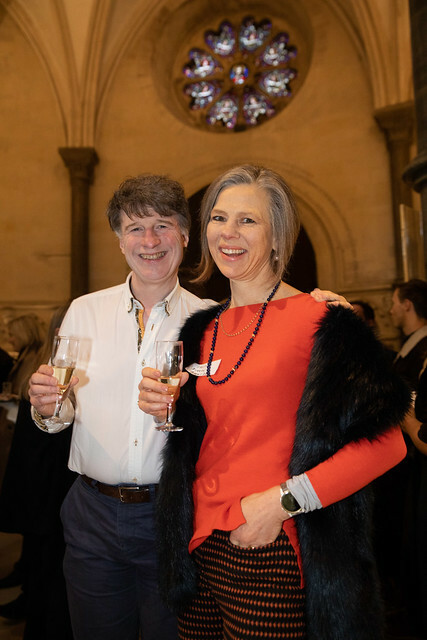 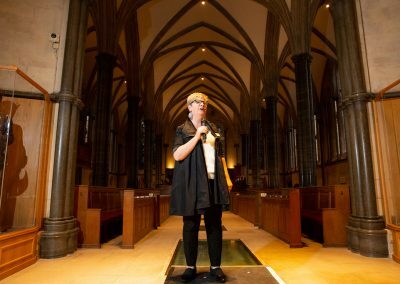 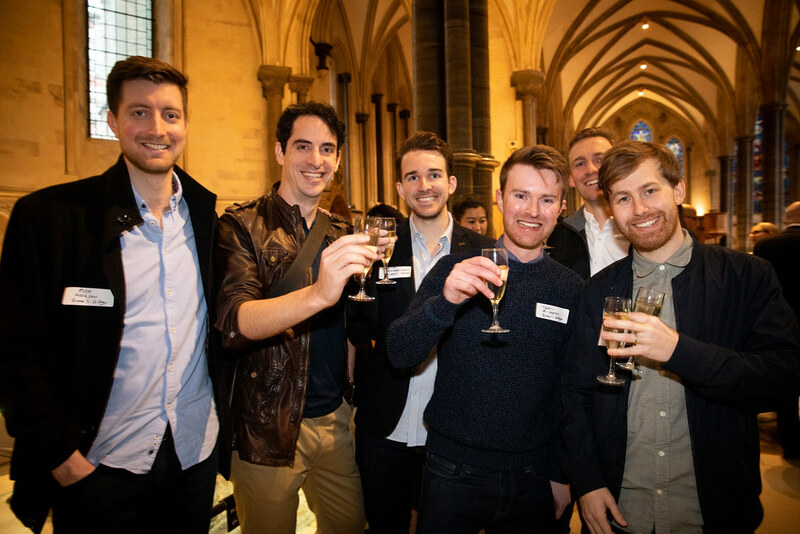 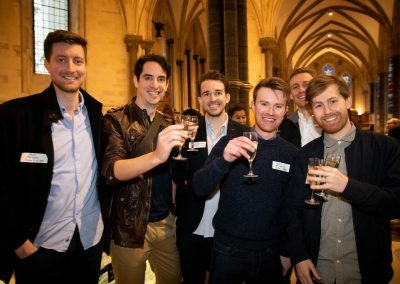 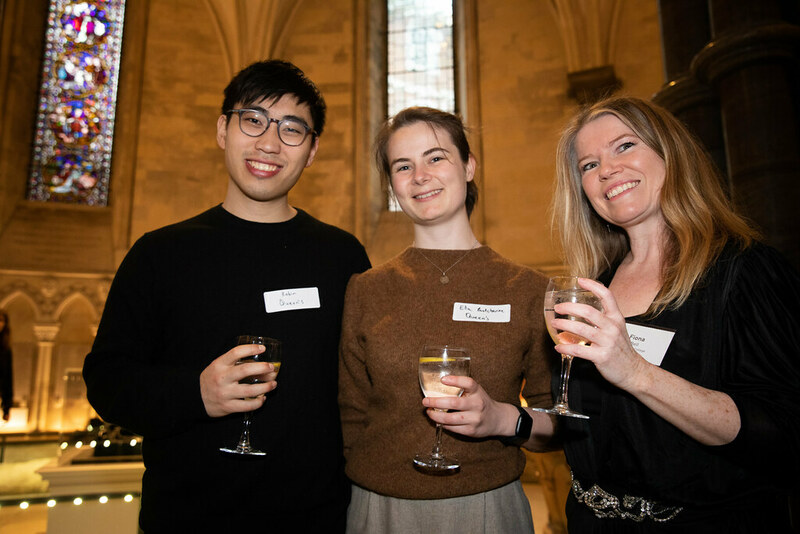 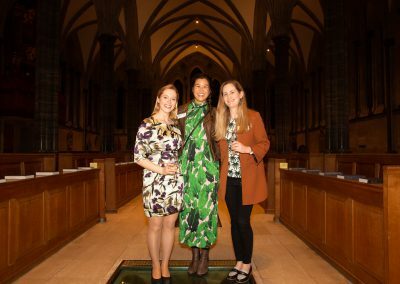 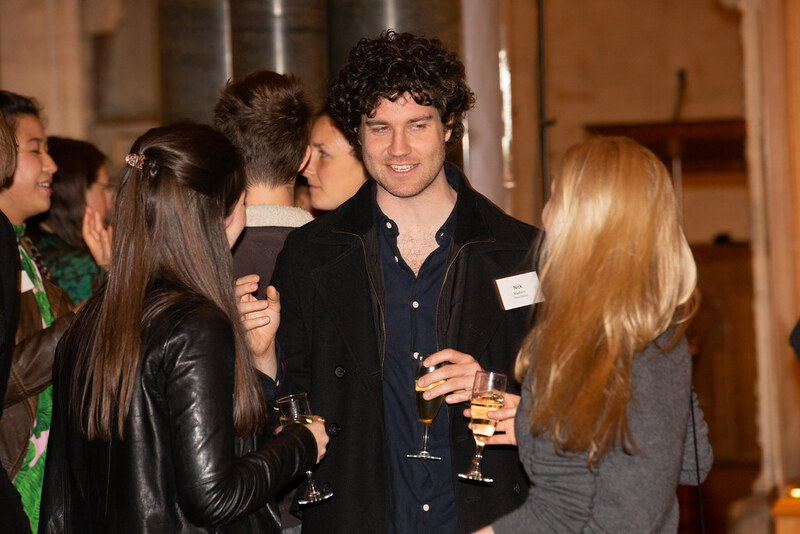 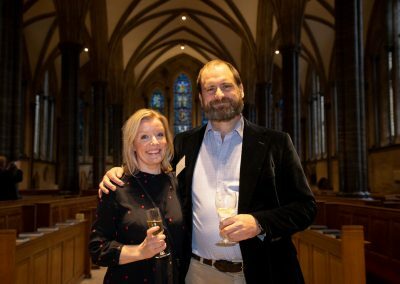 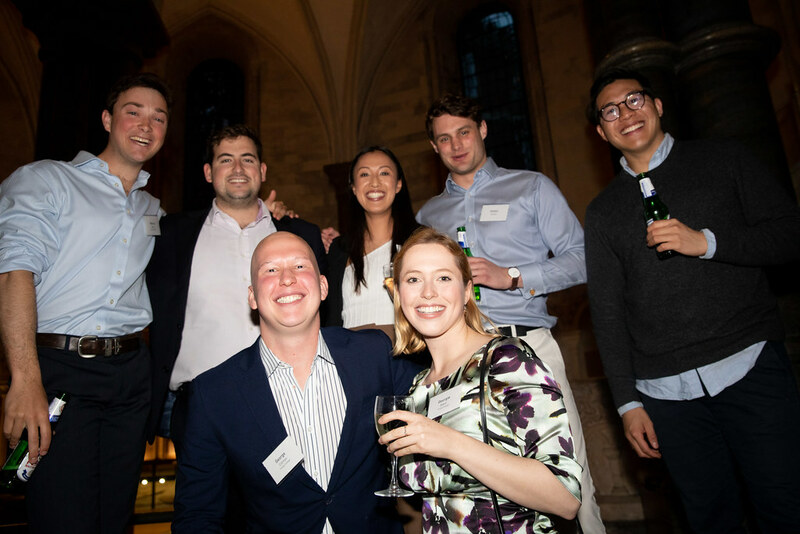 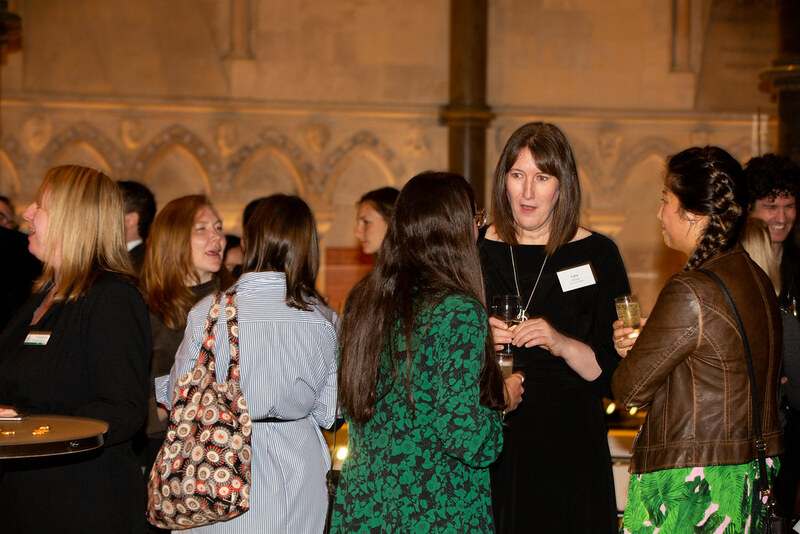 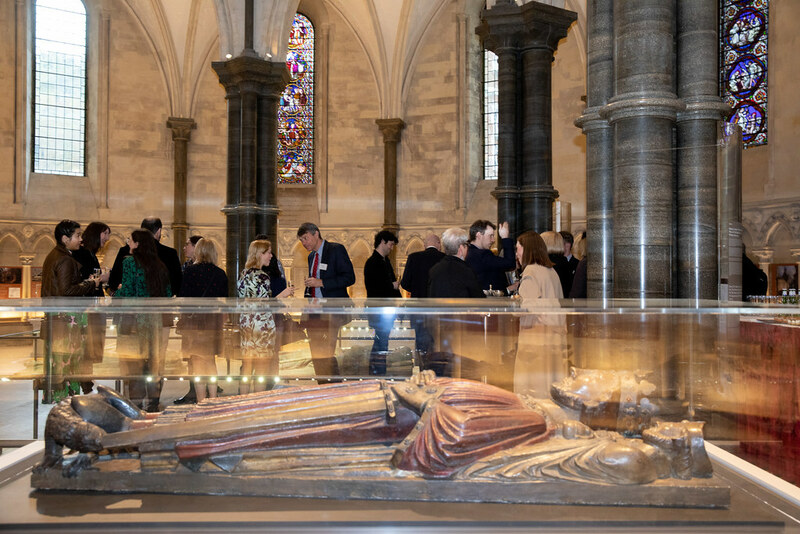 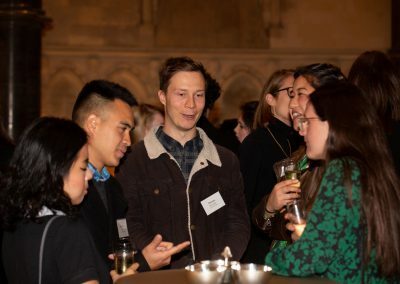 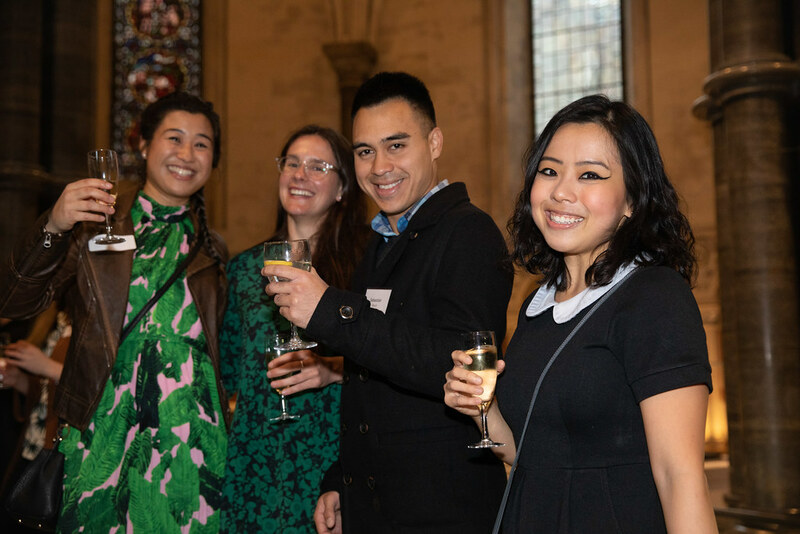 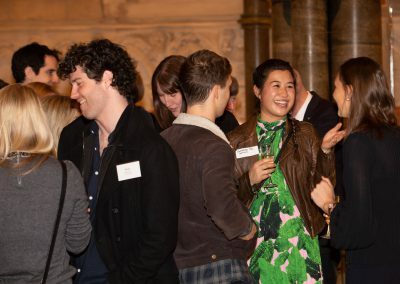 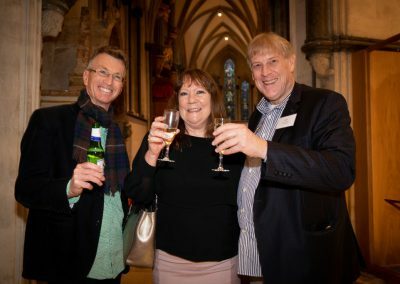 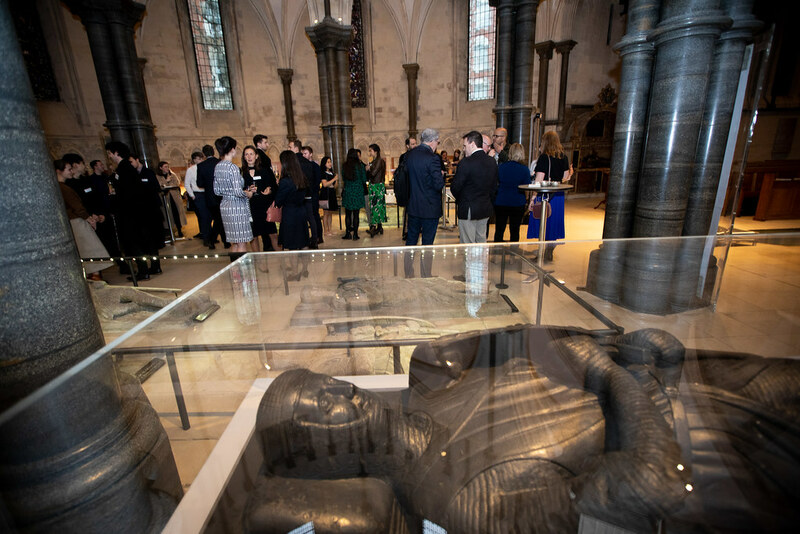 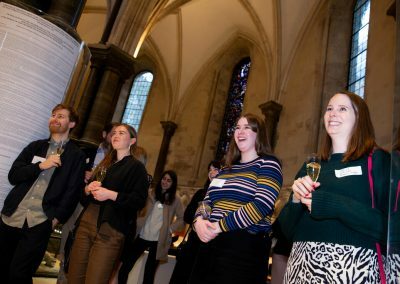 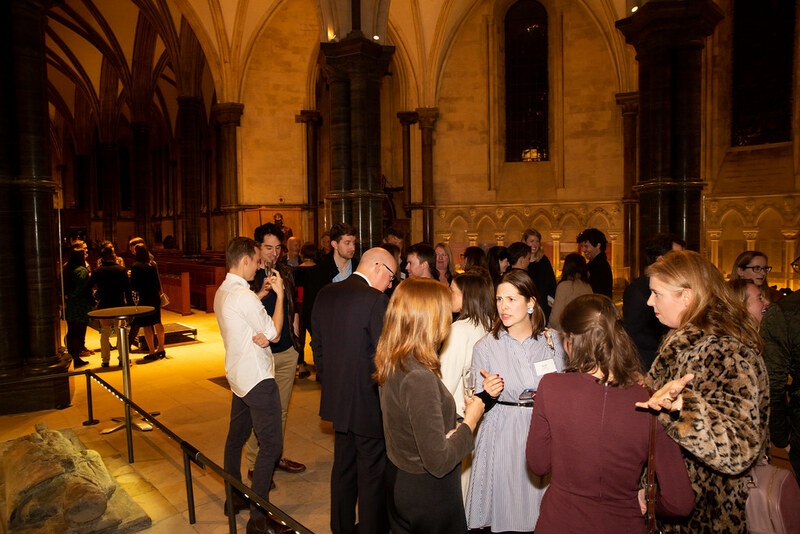 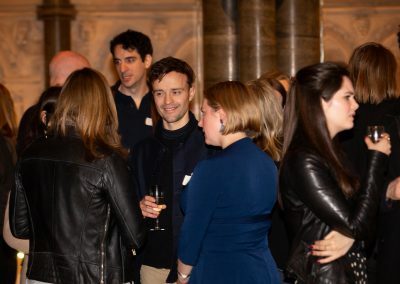 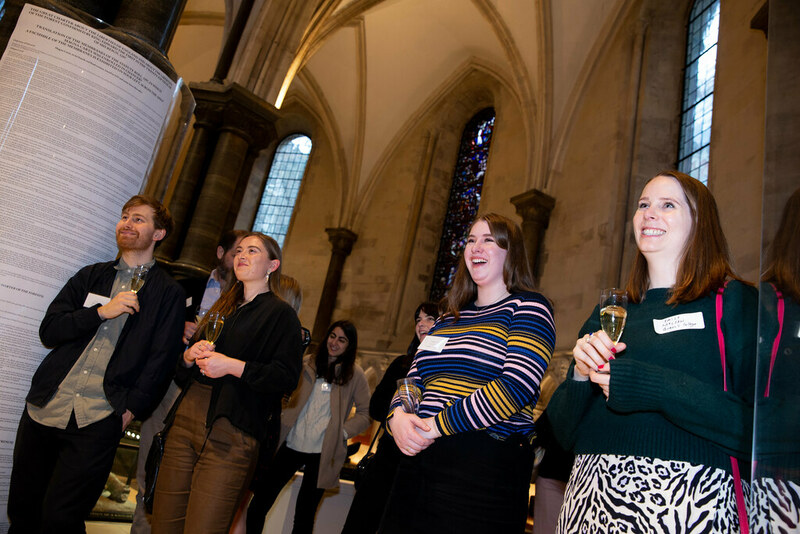 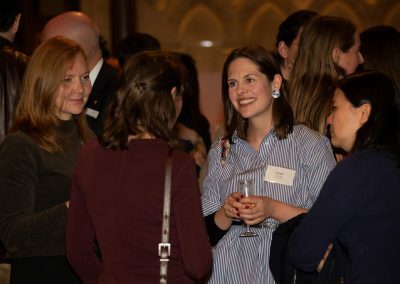 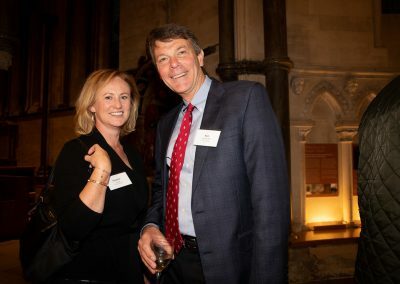 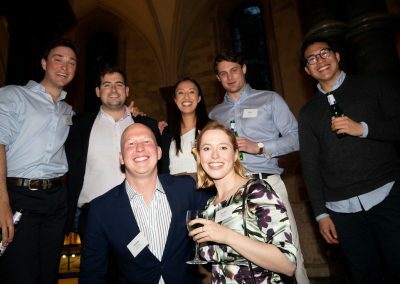 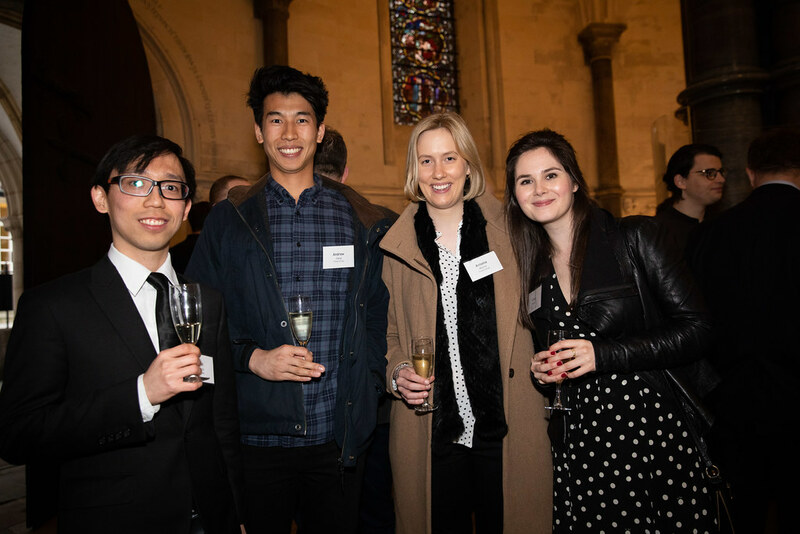 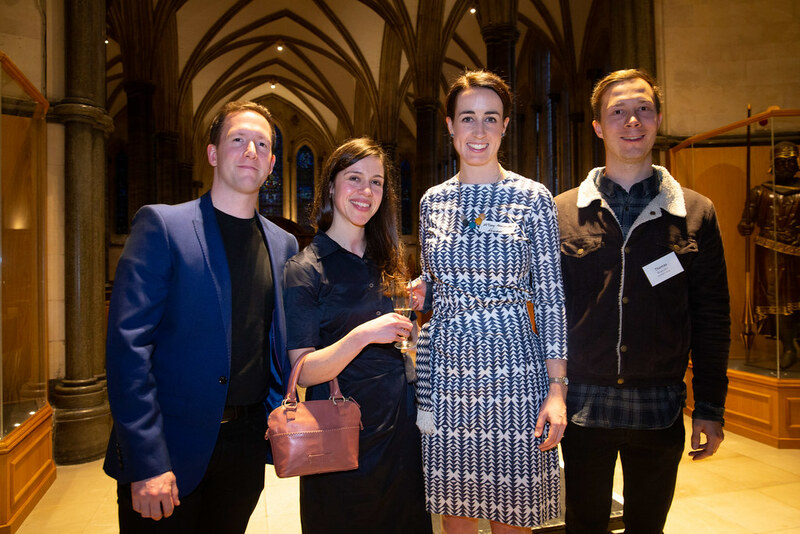 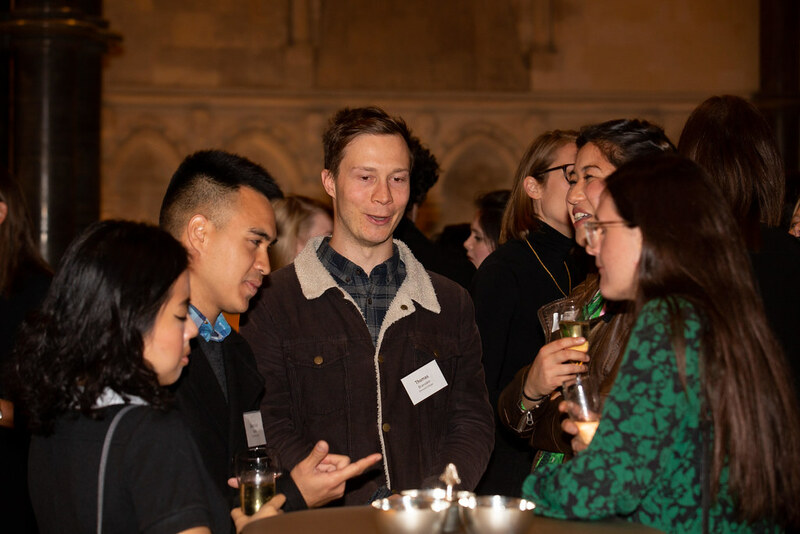 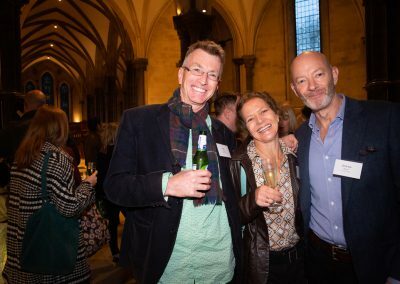 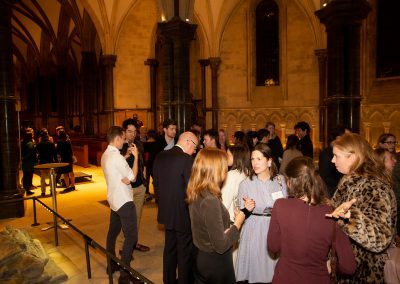 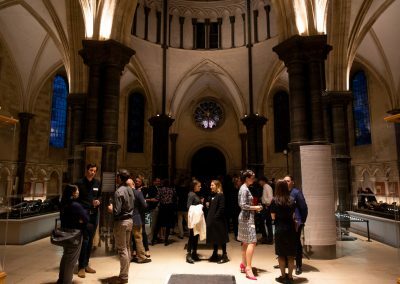 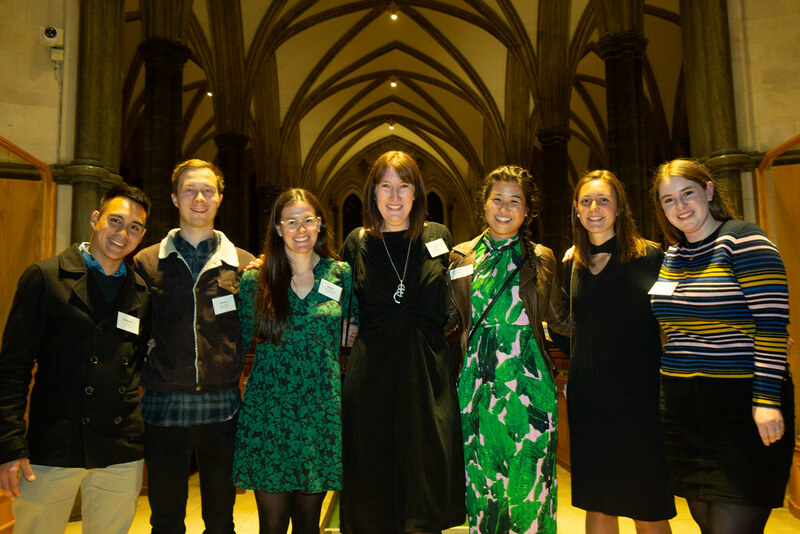 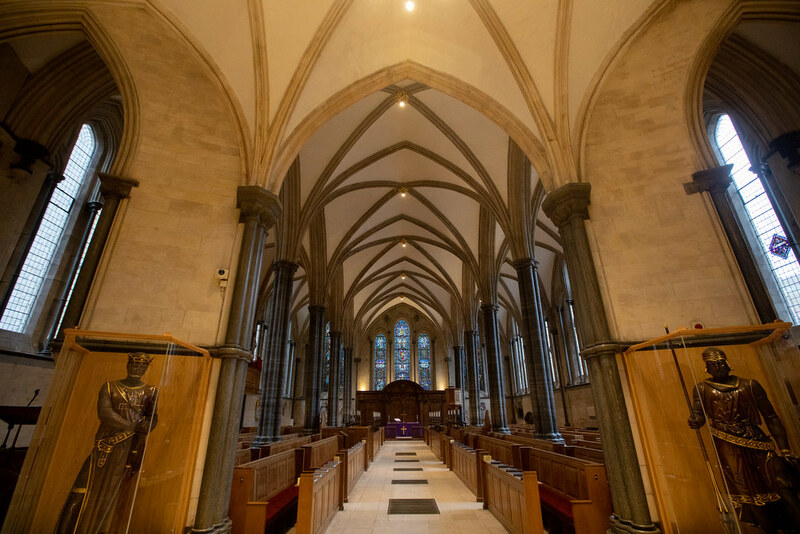 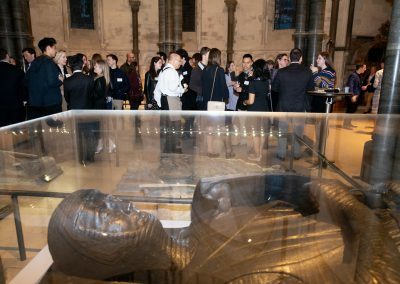 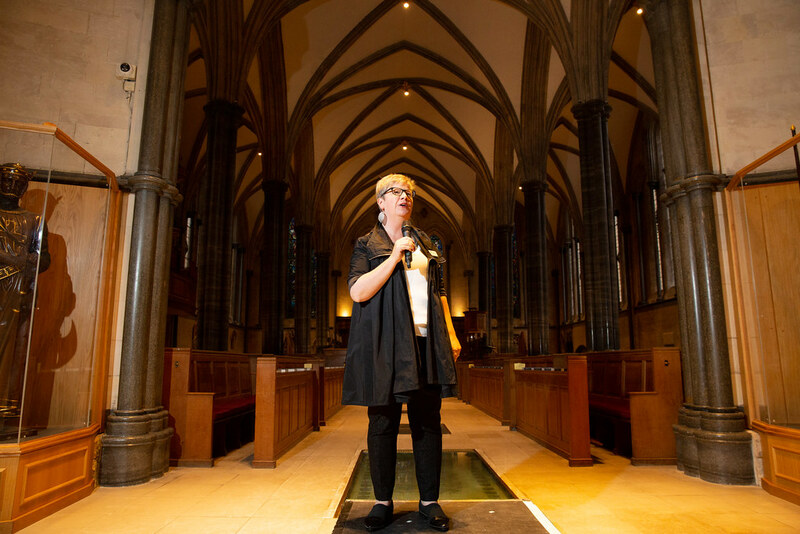 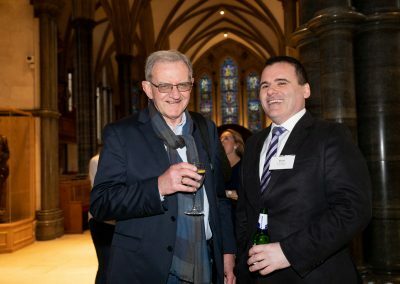 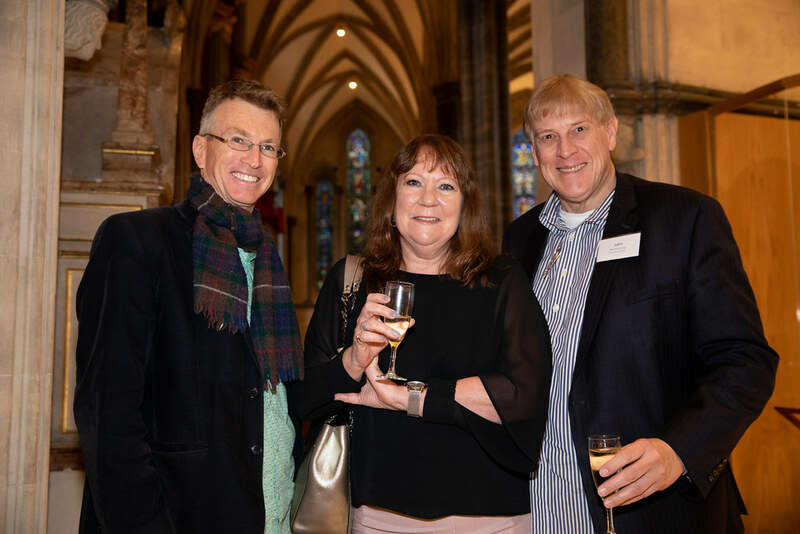 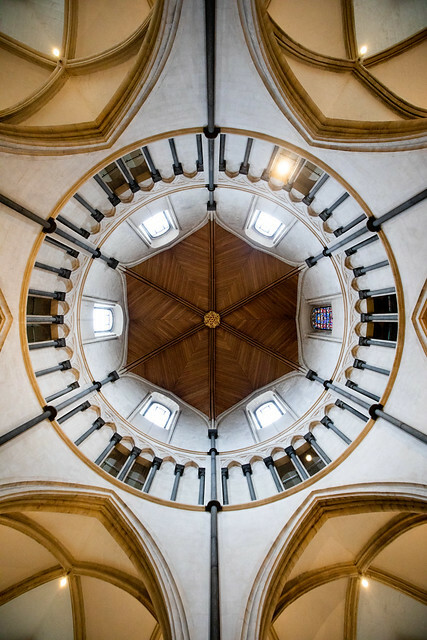 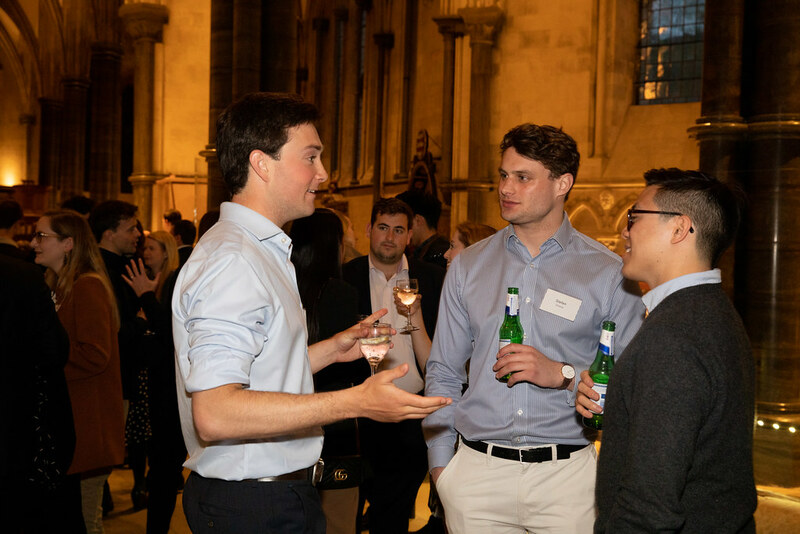 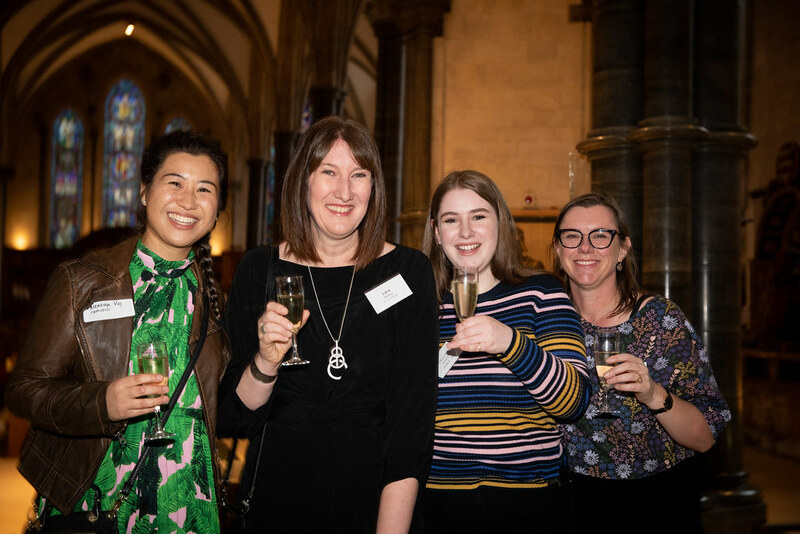 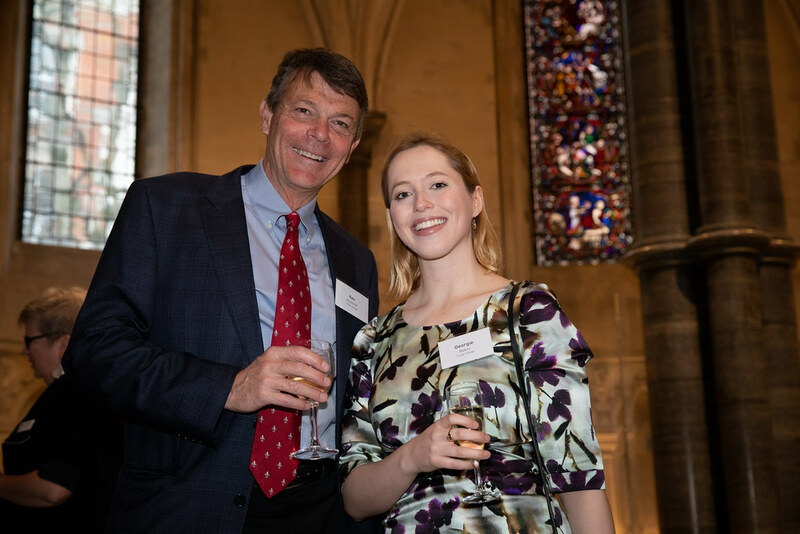 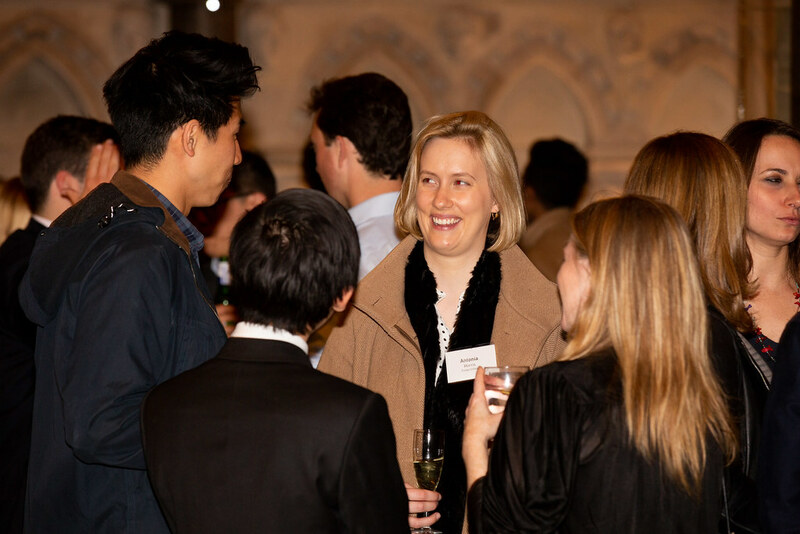 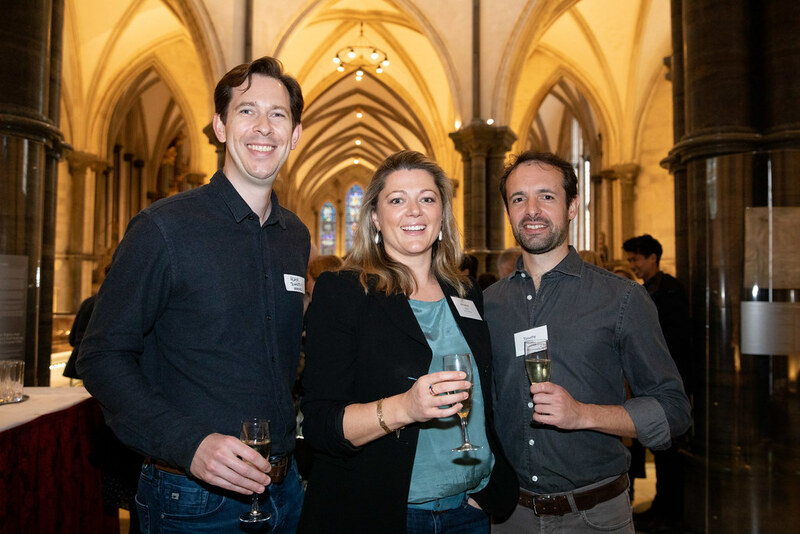 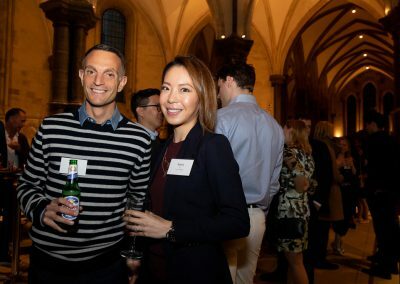 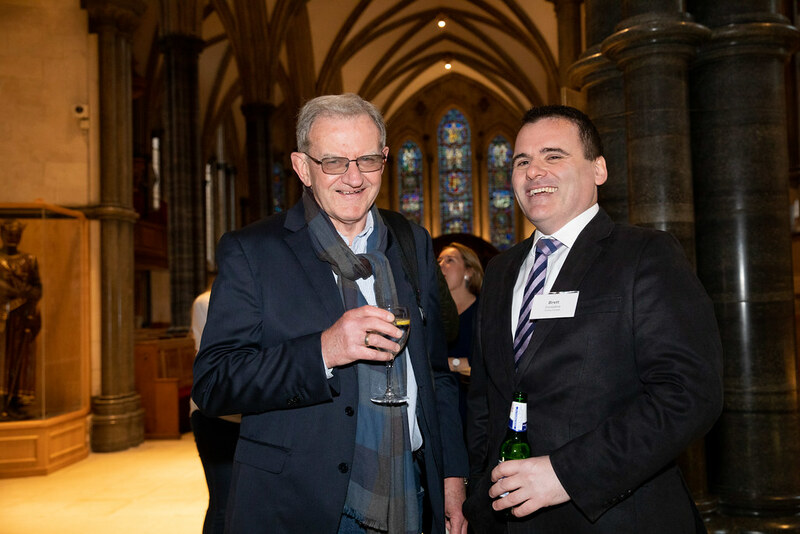 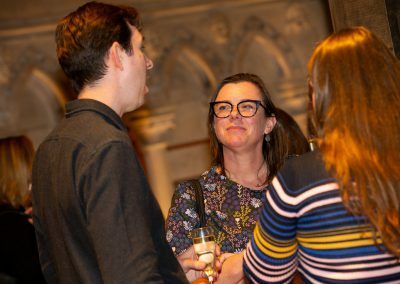 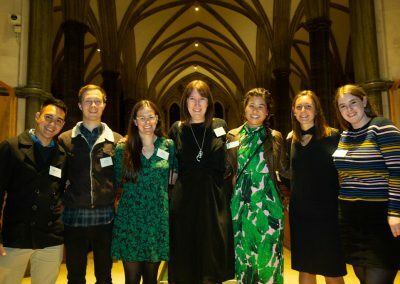 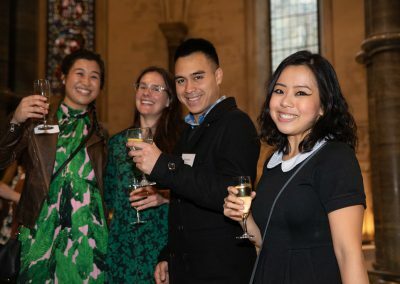 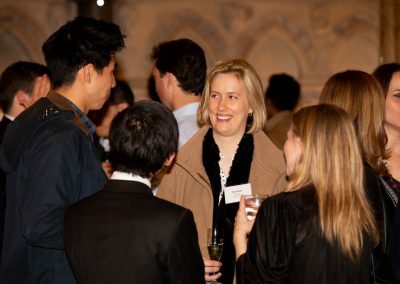 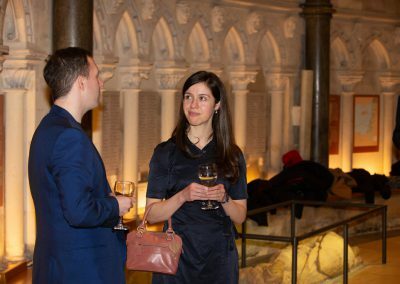 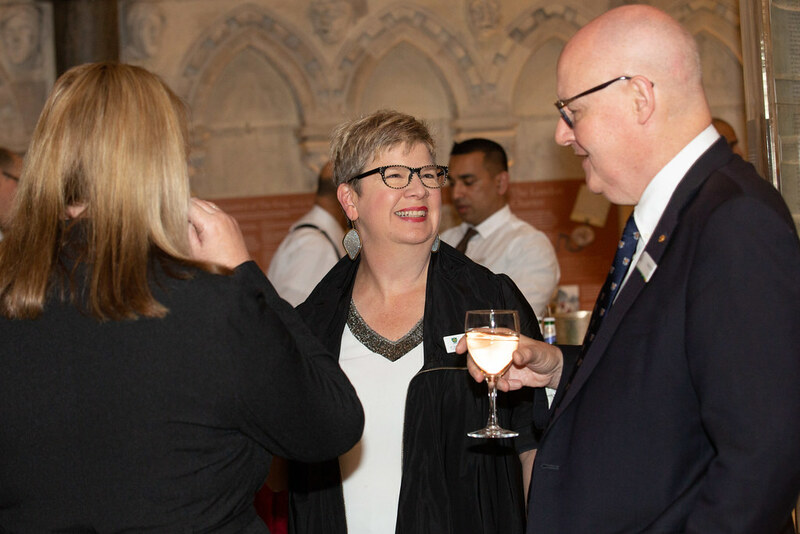 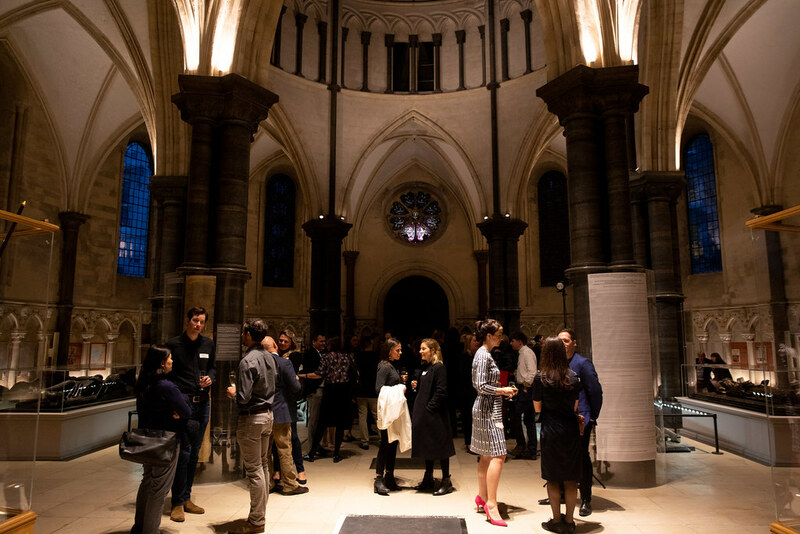 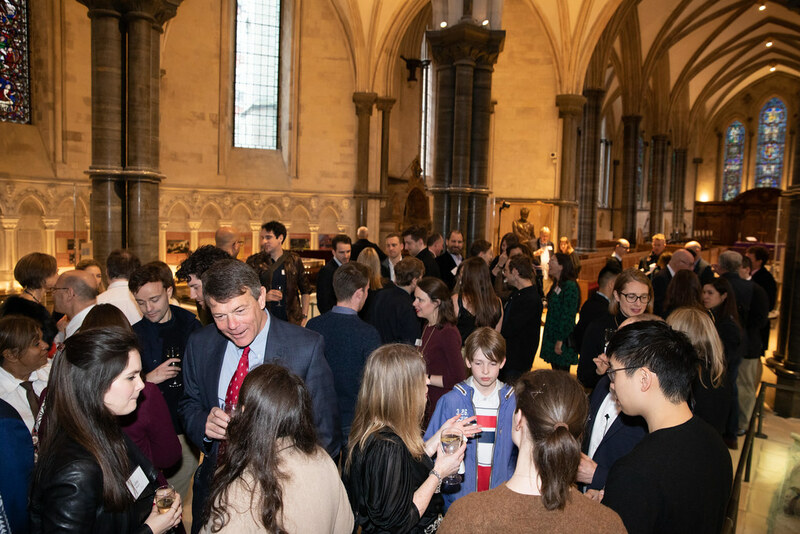 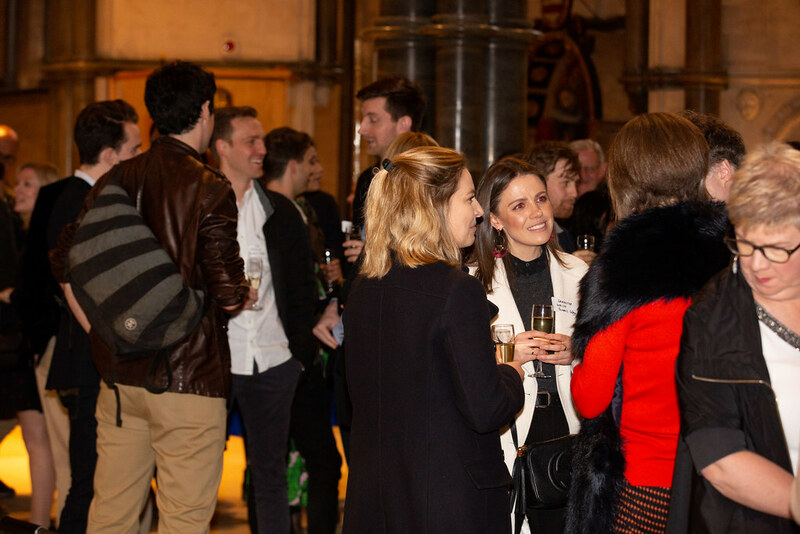 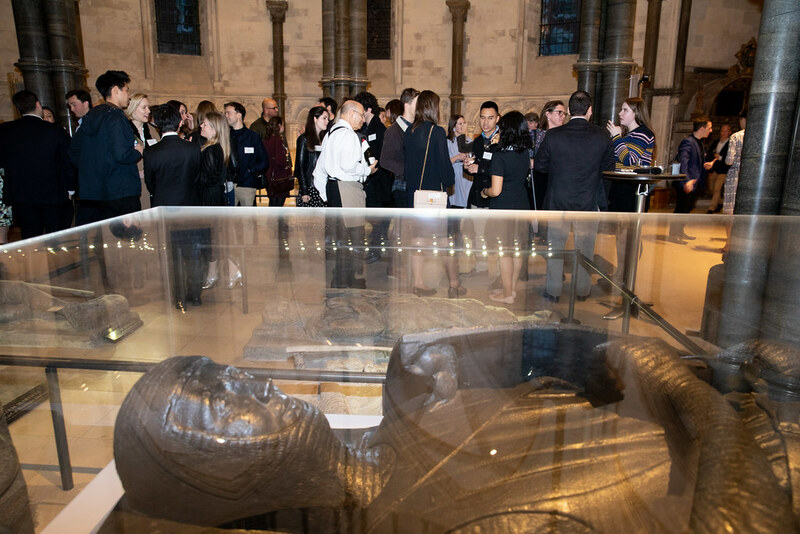 Thank you for all who attended the recent Intercollegiate Alumni event in London held at the historic Temple Church. 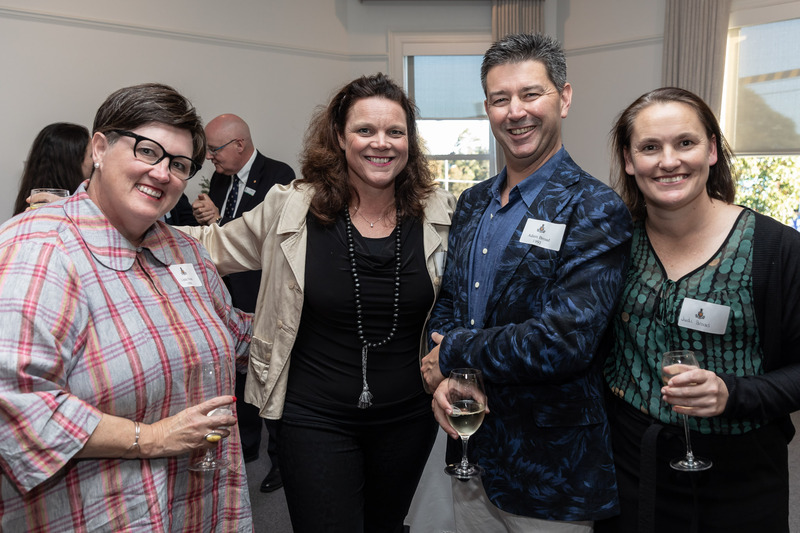 It was a great night of networking, reminiscing and reconnecting with friends old and new. 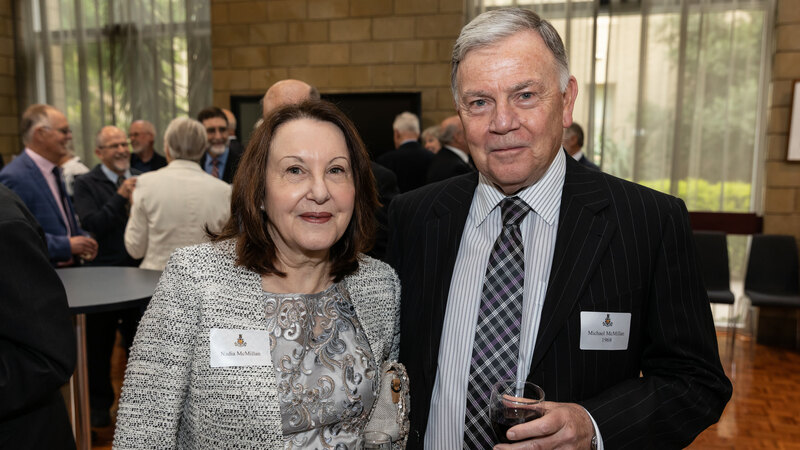 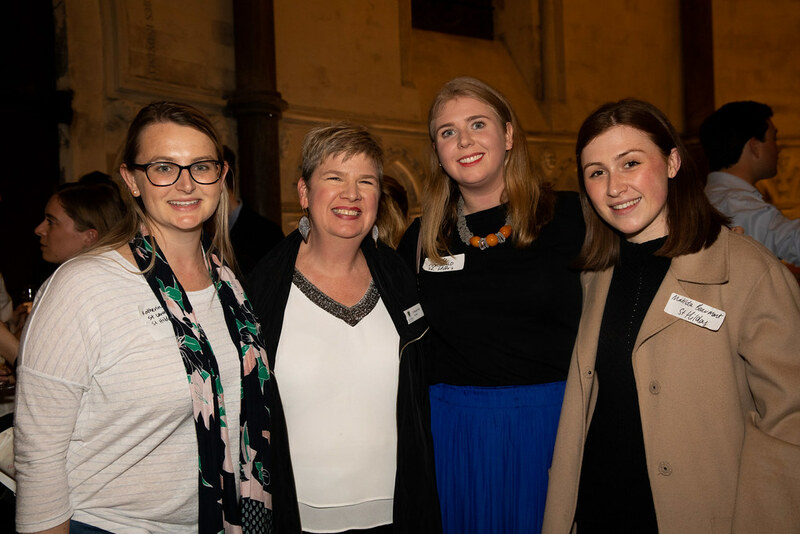 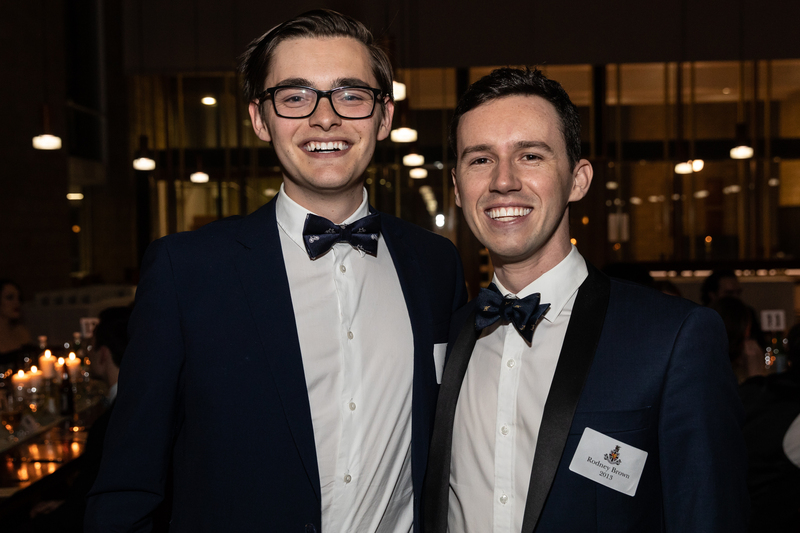 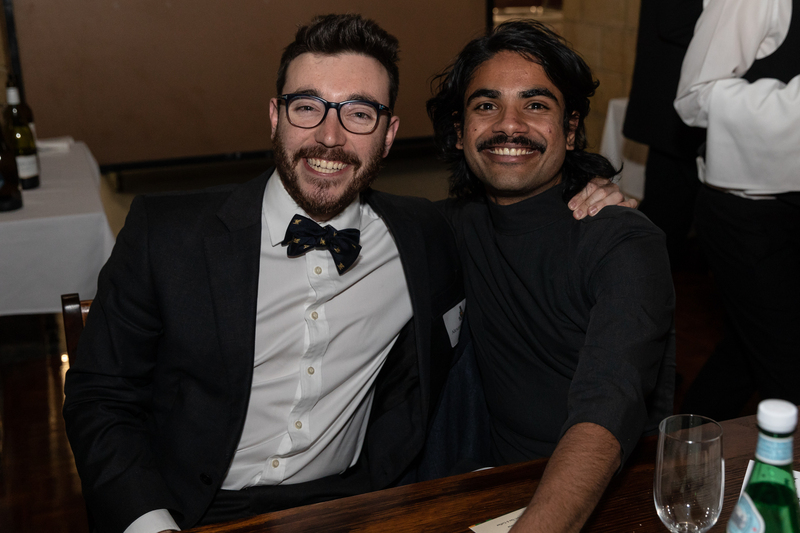 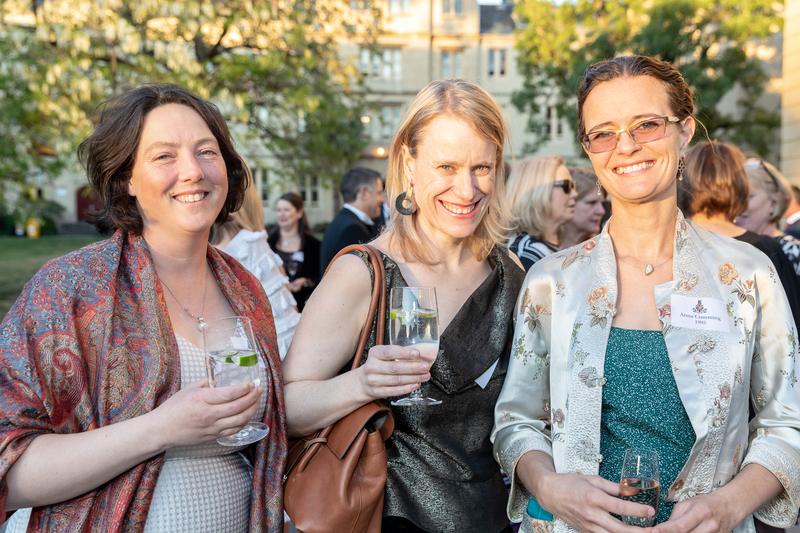 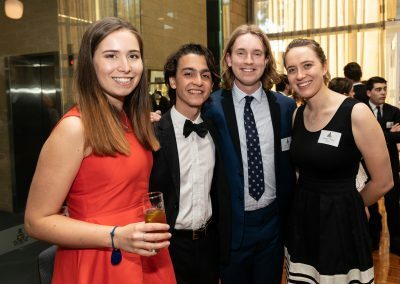 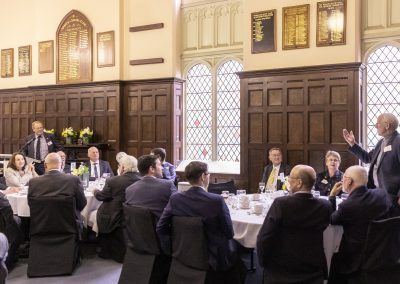 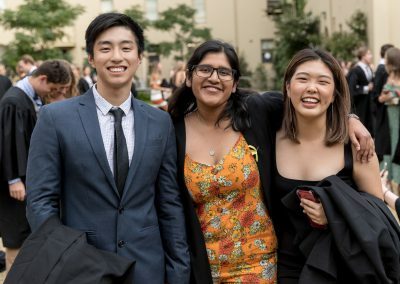 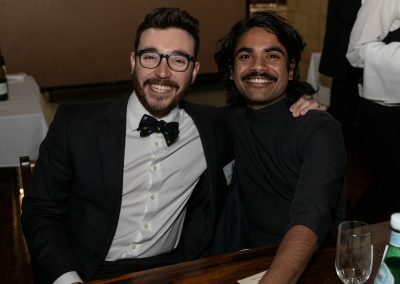 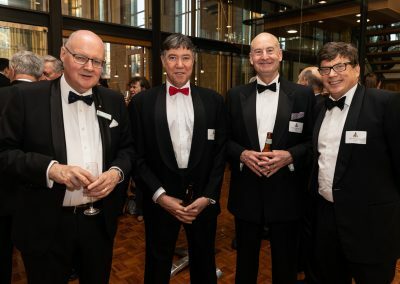 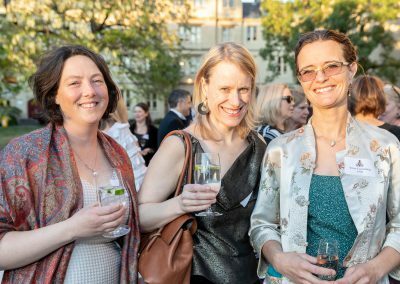 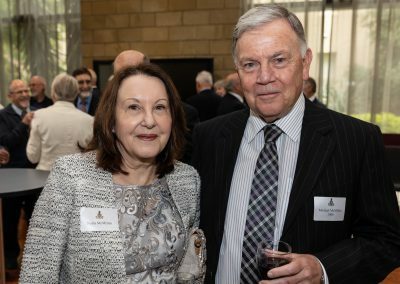 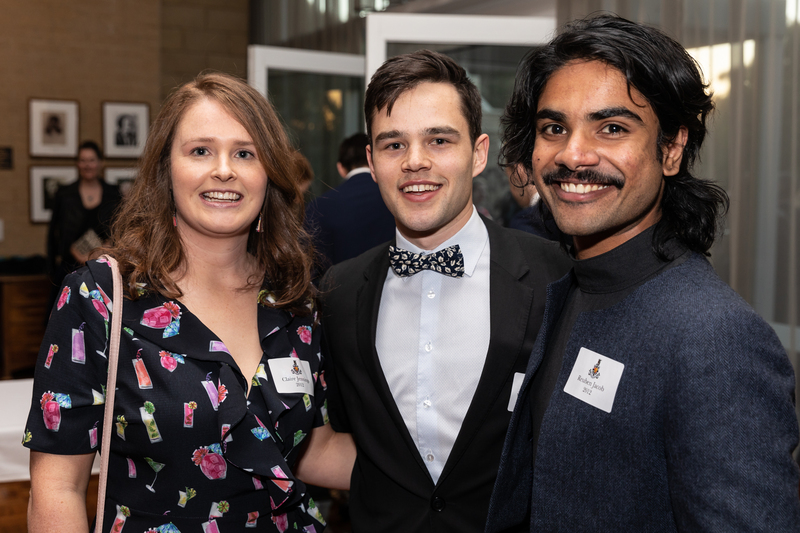 With over 100 Alumni from Melbourne Colleges, it was wonderful to have such a fantastic group of Wyverns attending the event. Photography by Sam from Piranha Photography. 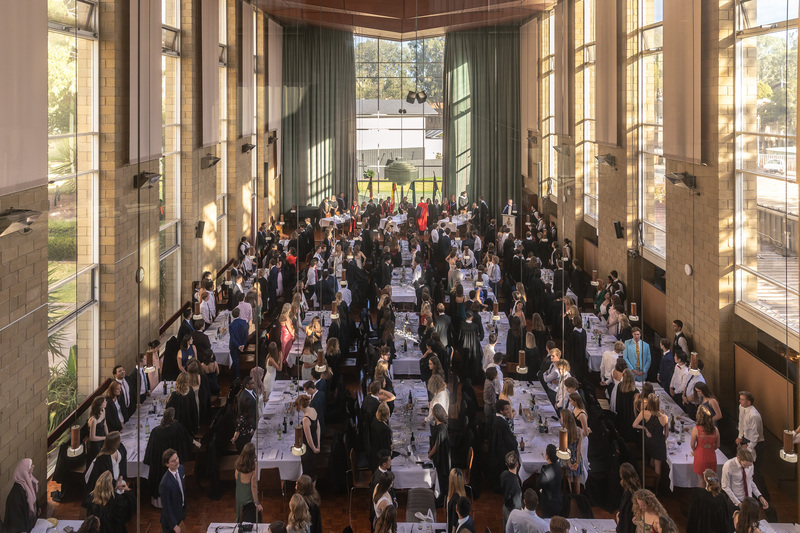 Kicking off the start of the academic year with Commencement Dinner! 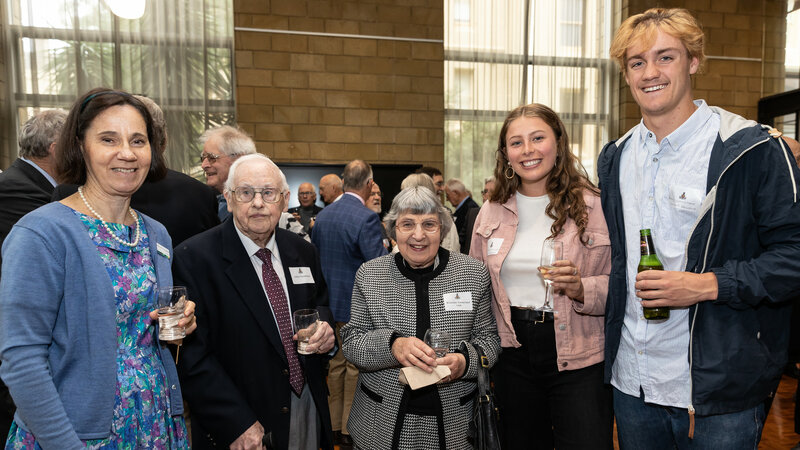 Over 300 residents, Young Wyverns, honoured guests and staff filled Eakins last night for a night of recognition and celebration. 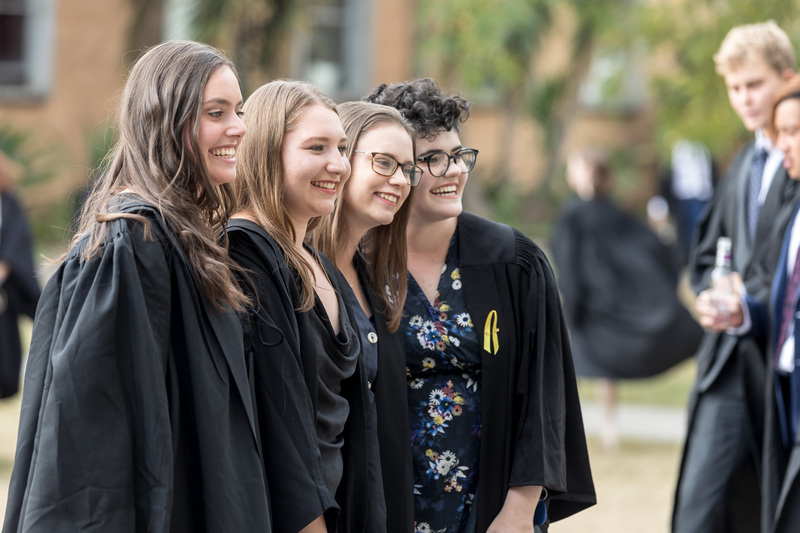 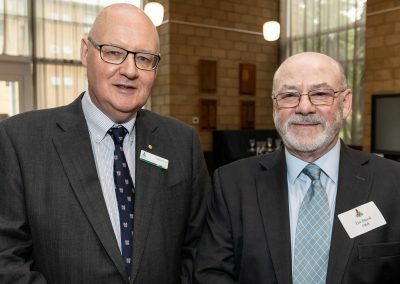 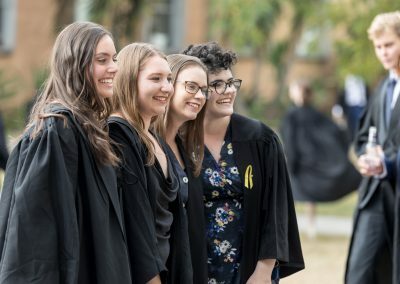 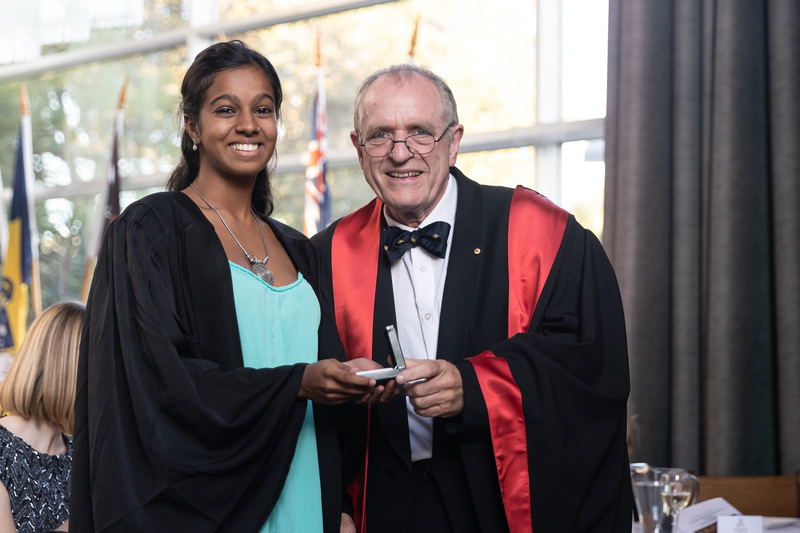 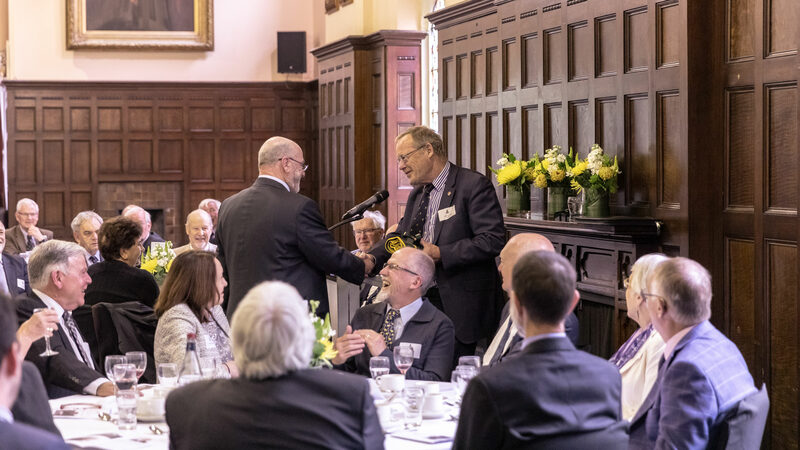 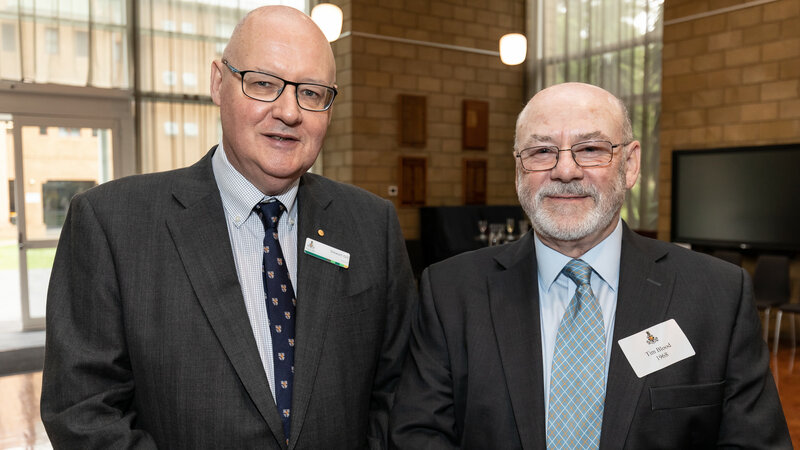 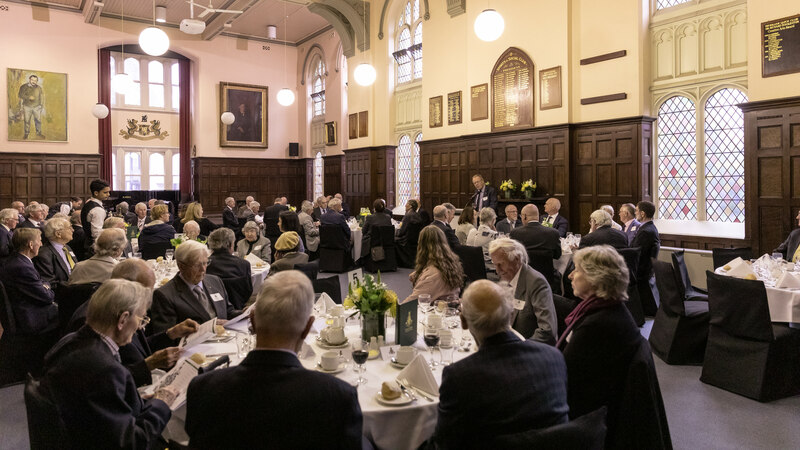 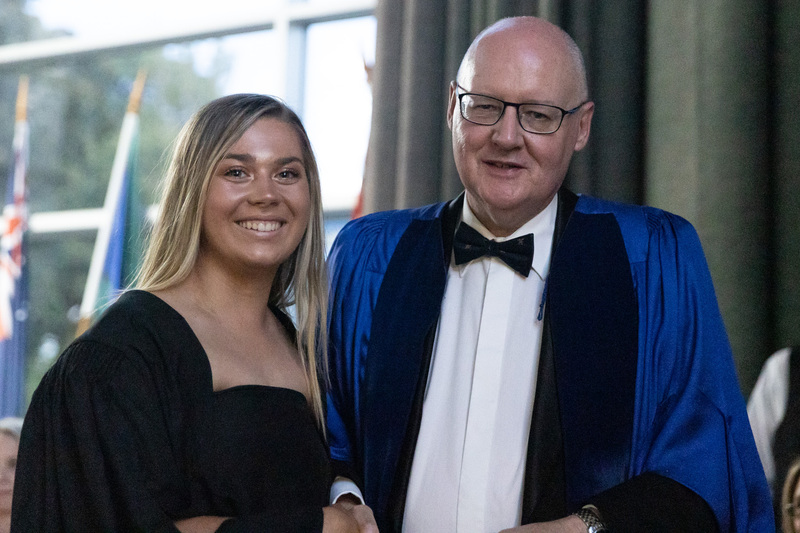 Joining us were Ms Elizabeth Eldridge (1974, Vice President, Queen’s College Council), Dr Katti Williams (1994, Arch Wyvern), Professor David Vaux AO (1978, Principal Fellow), Mr John Weretka (Choir Director) and Dr Stewart Gill OAM (Master) to congratulate the recipients of the 2019 Wyvern Medals (for academic excellence), scholarships and bursaries. 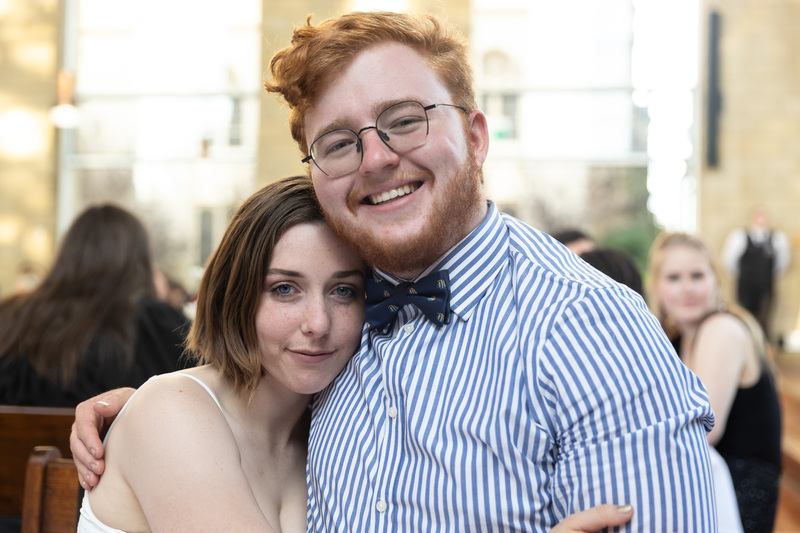 Photos by Skyla Harris (2017) and Ben Fon (2003). 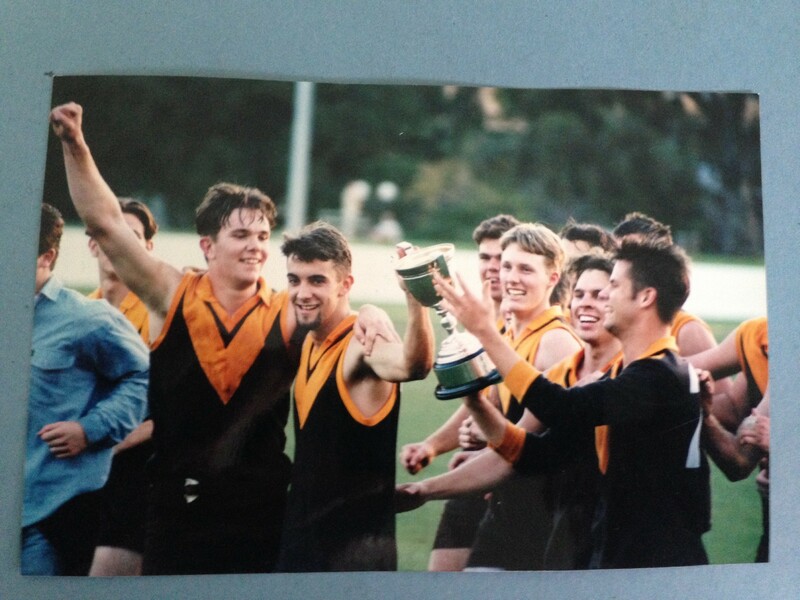 This is a guest post by Wyvern Tom McMillan (1997-1998). 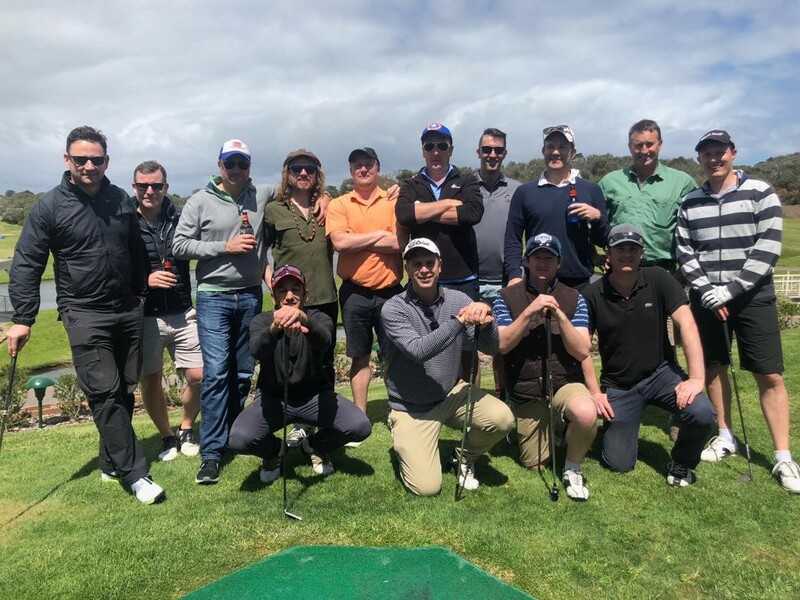 The 1998 Queen’s College 1sts footy team premiership players converged on the Eagle Ridge Golf Club on the peninsula to celebrate their 20-year reunion on Saturday, Oct 27th 2018. 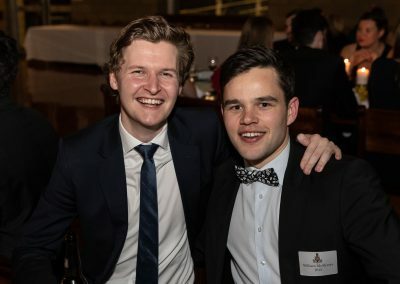 Those in attendance were Sam Beaton (coach), Paul Sheehan (captain), Archie Paton (b&f), Matt Amor, Chris Thwaites, Danny Walsh, Steve Coster, David Harris (team physio), Gerard Diprose, Dylan Smith, Ross Brookshaw, Luke Morrison, Ian Munro & Tom McMillan plus a special evening cameo from Damien Guengerich (team runner). 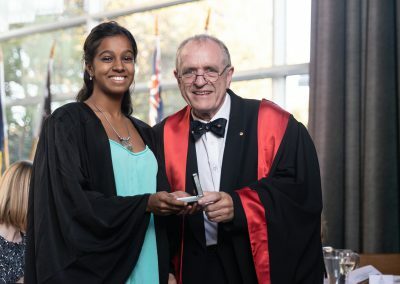 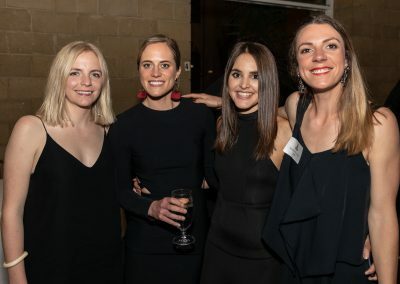 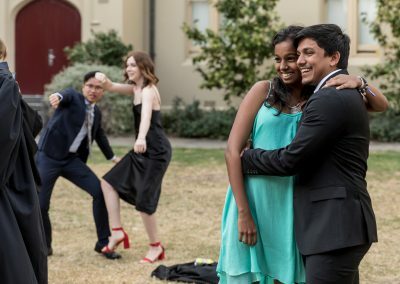 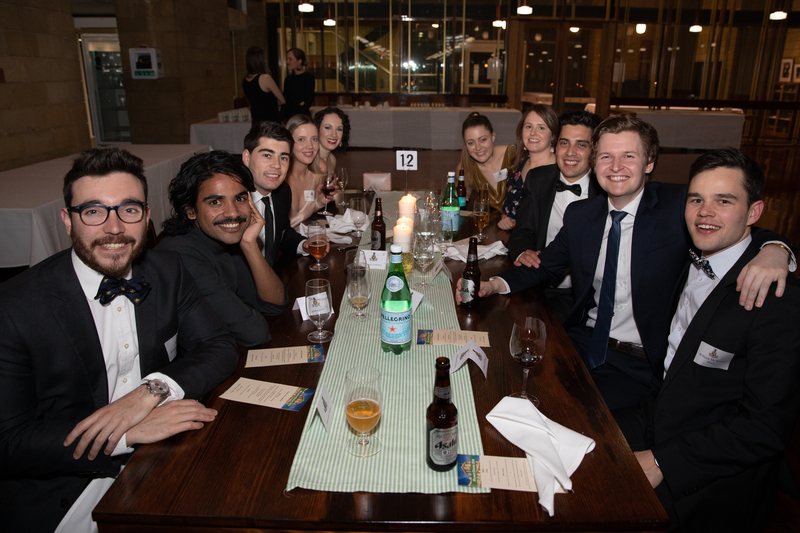 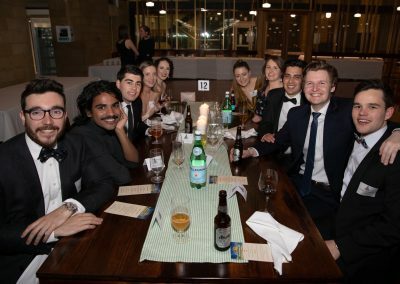 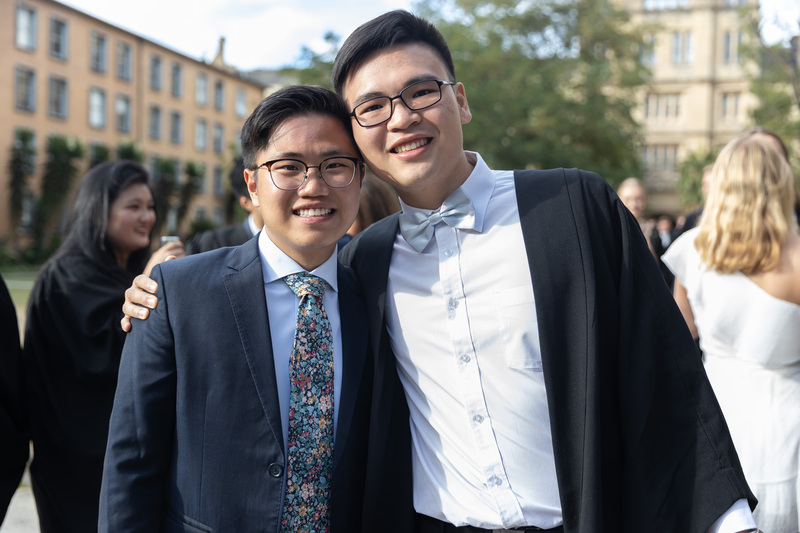 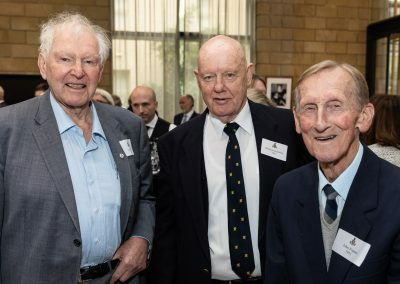 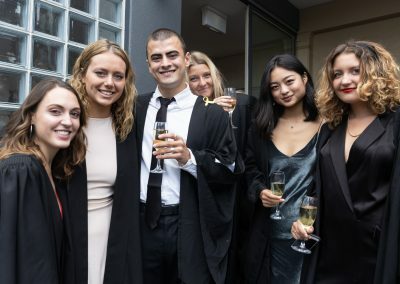 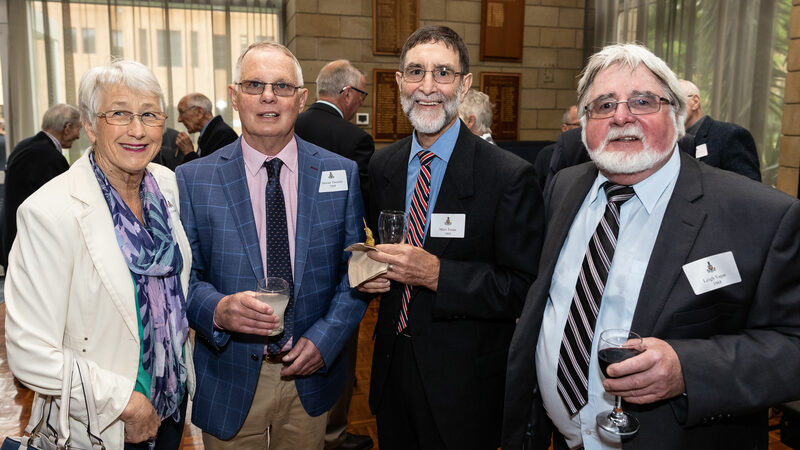 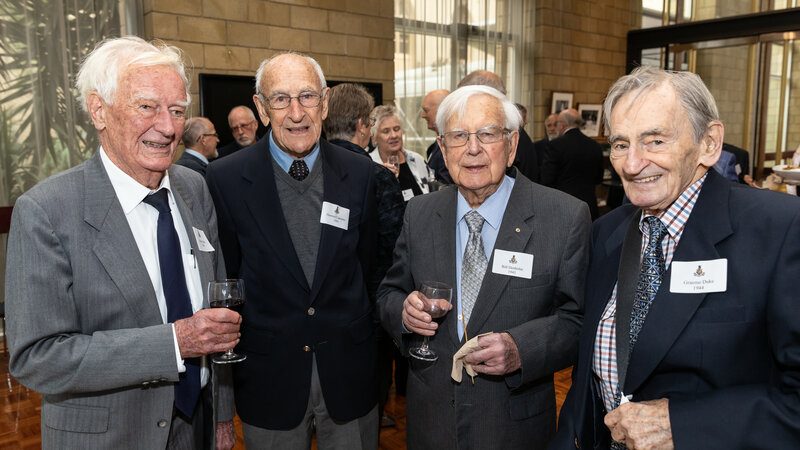 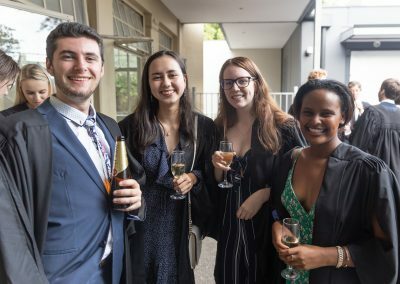 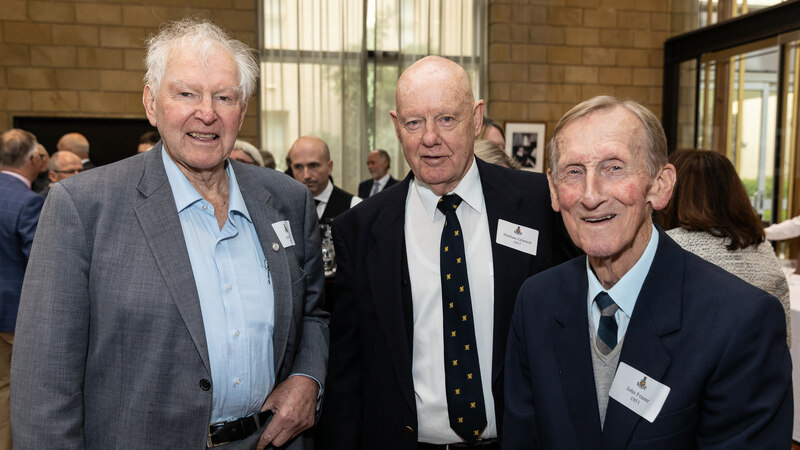 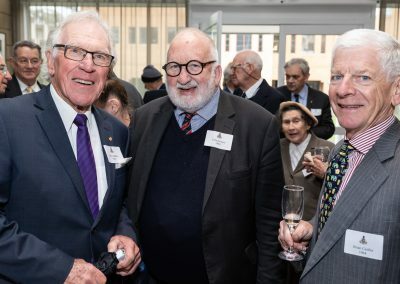 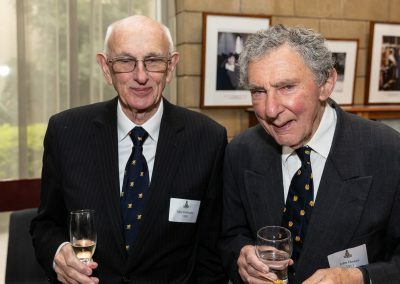 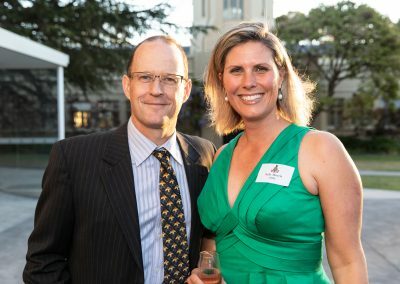 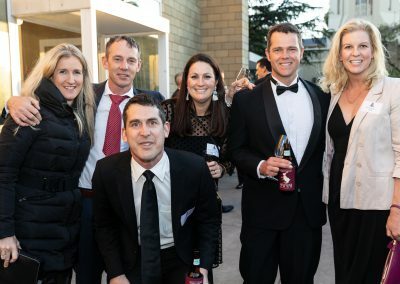 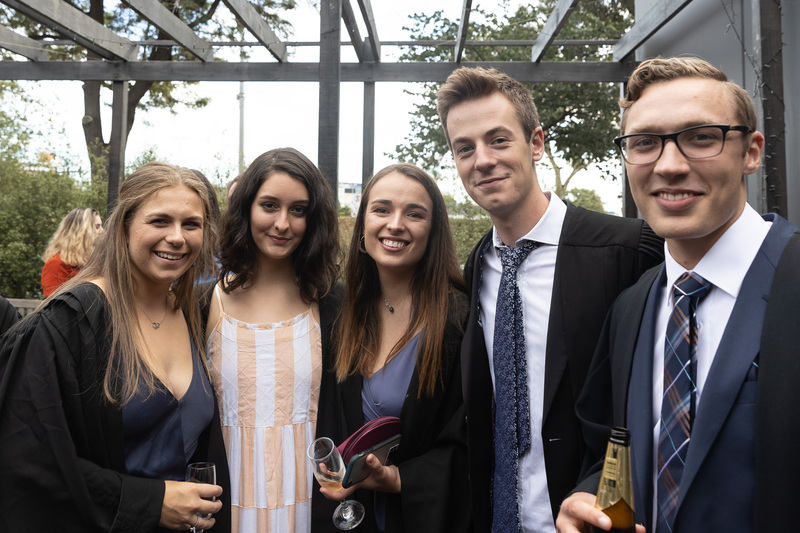 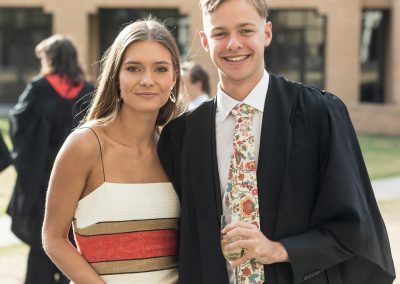 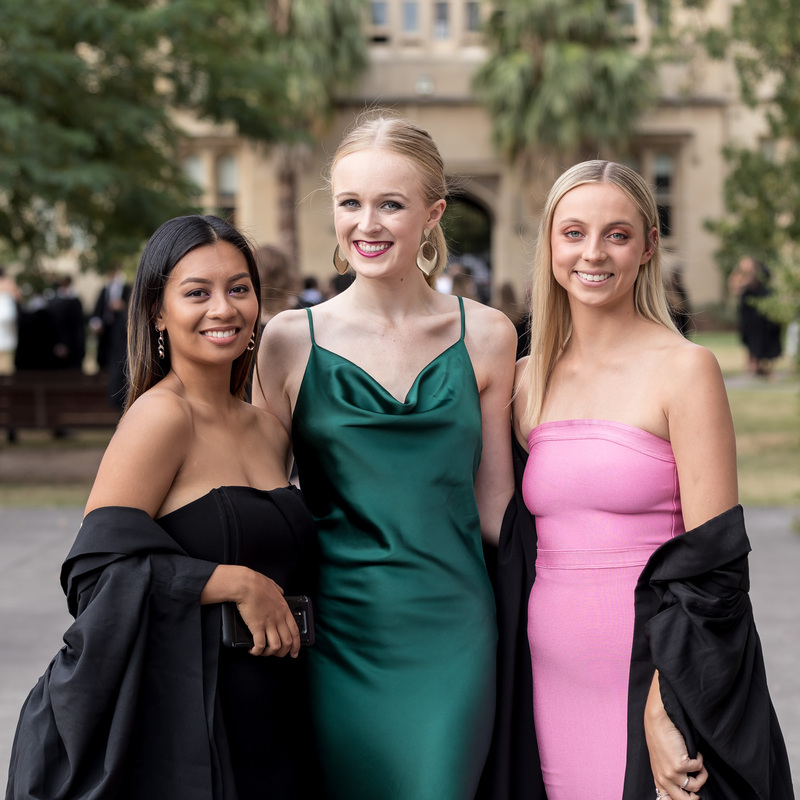 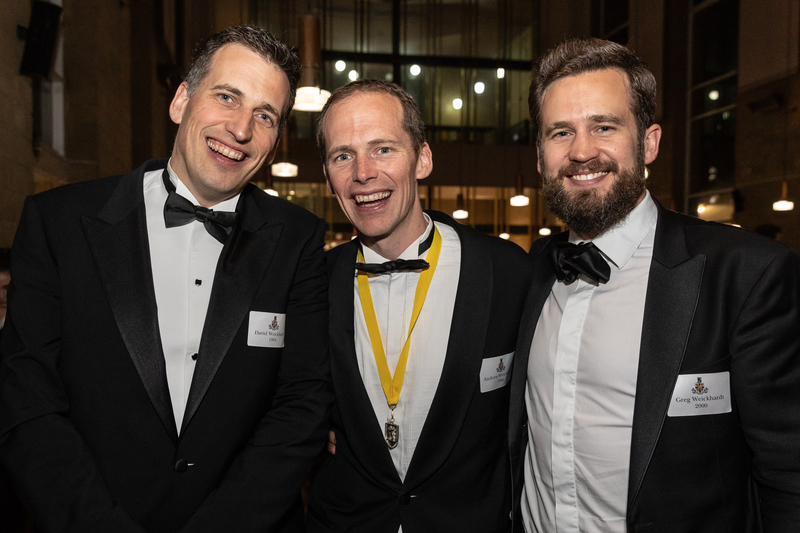 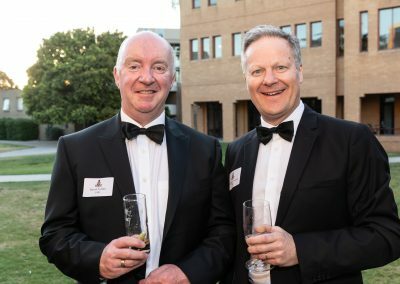 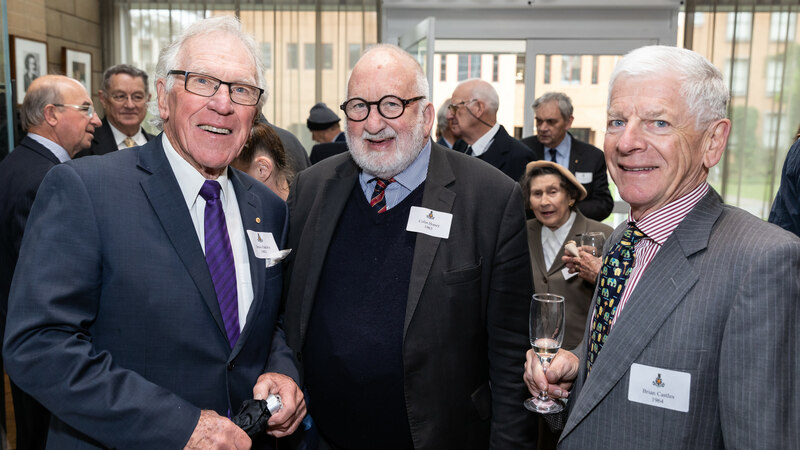 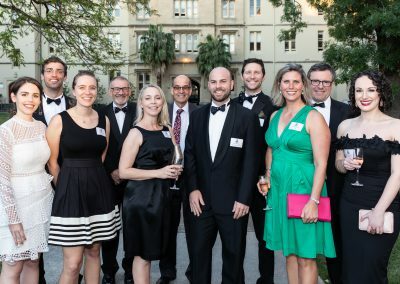 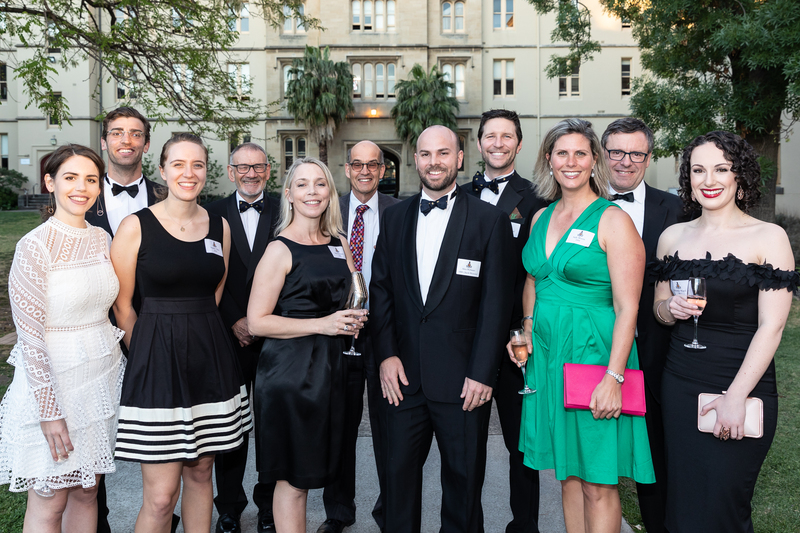 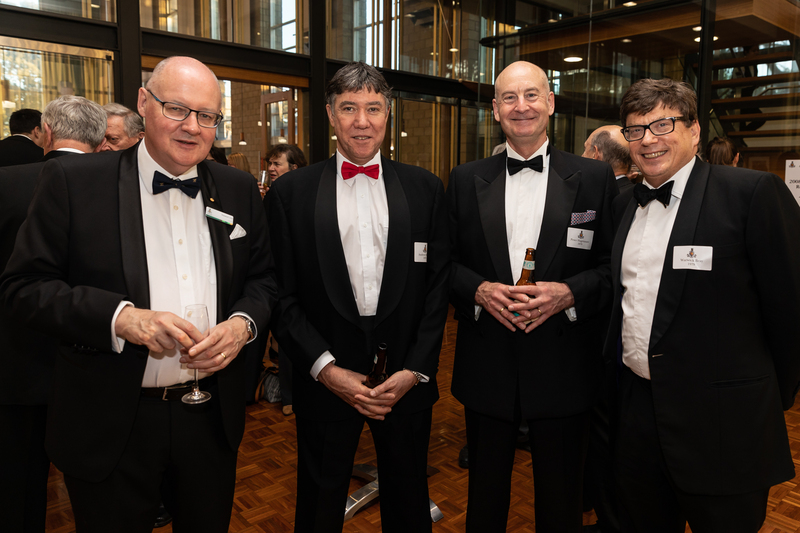 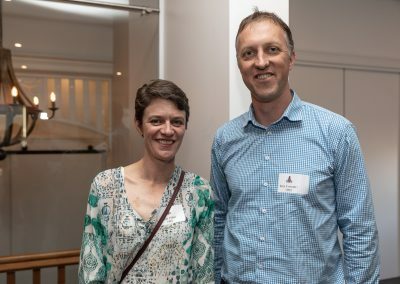 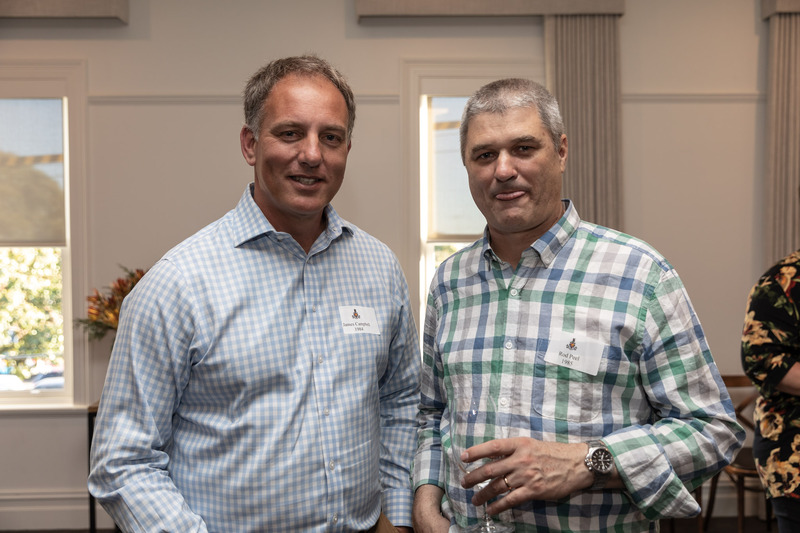 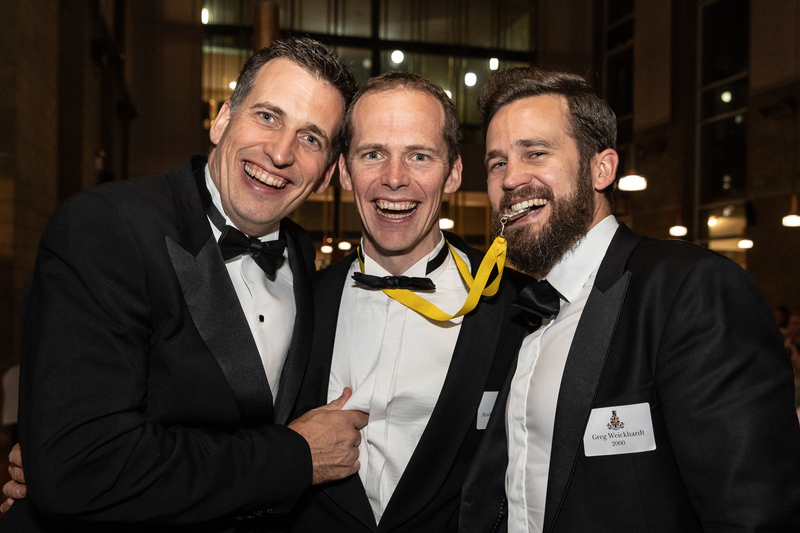 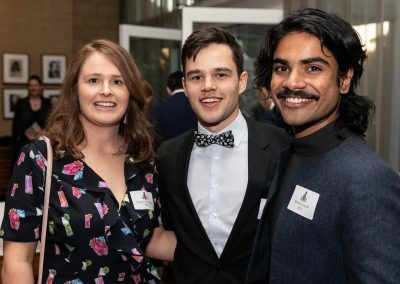 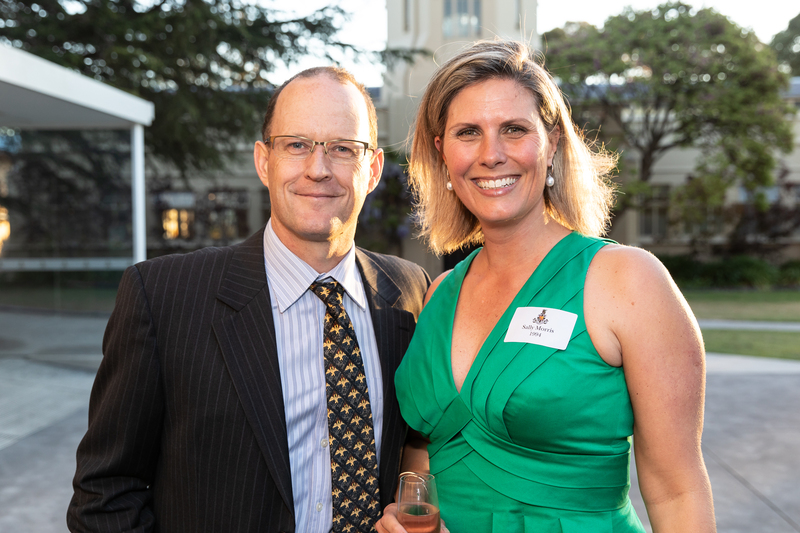 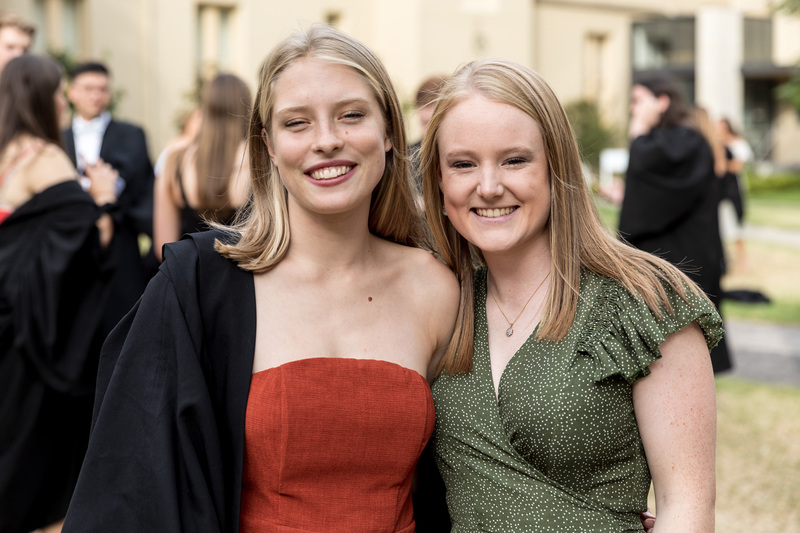 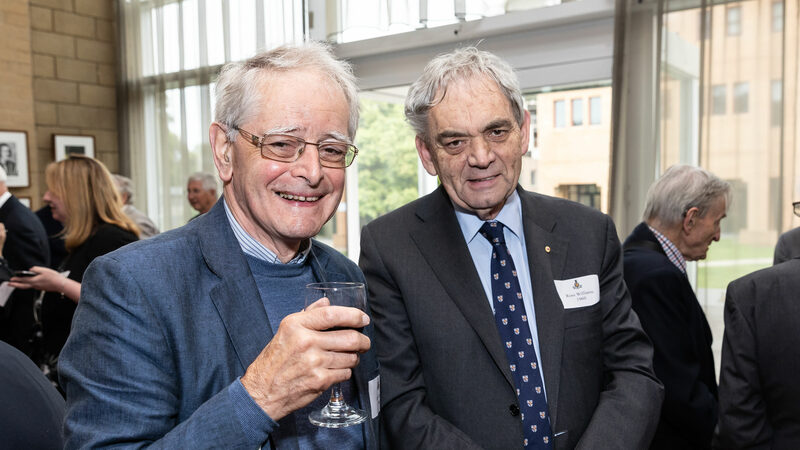 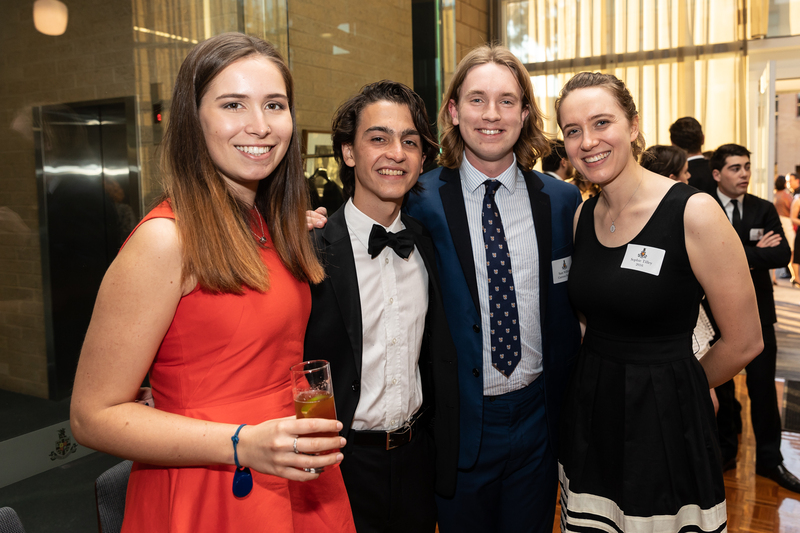 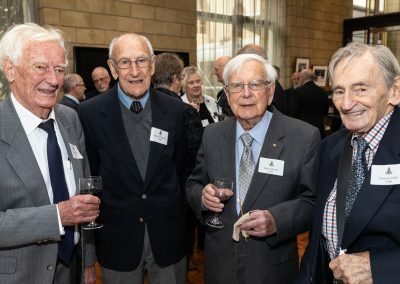 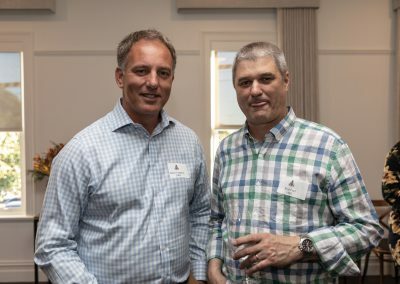 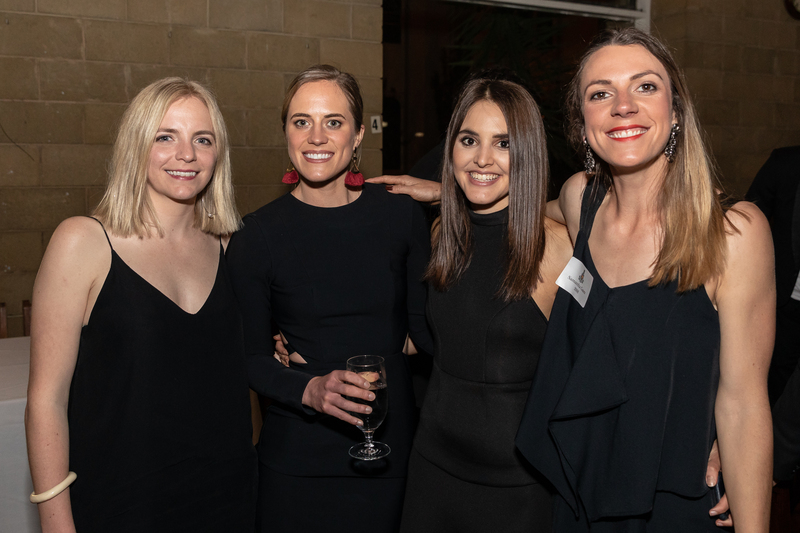 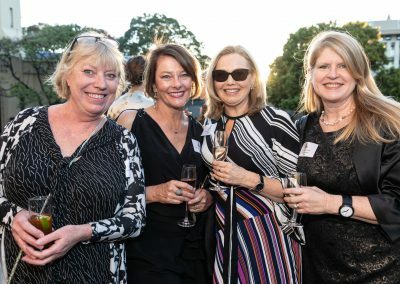 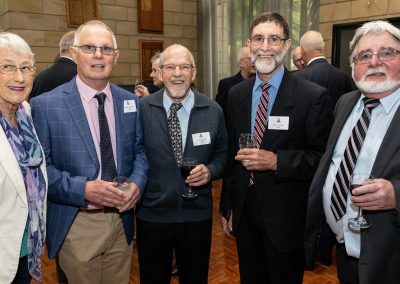 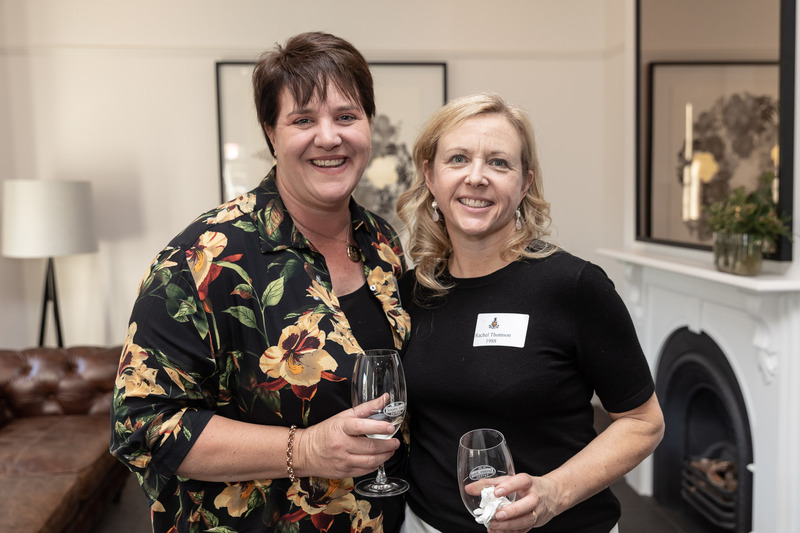 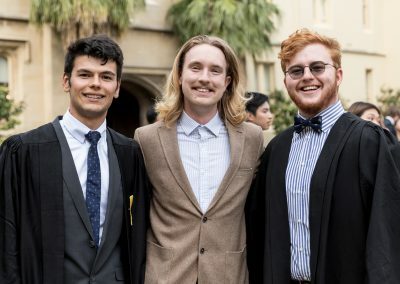 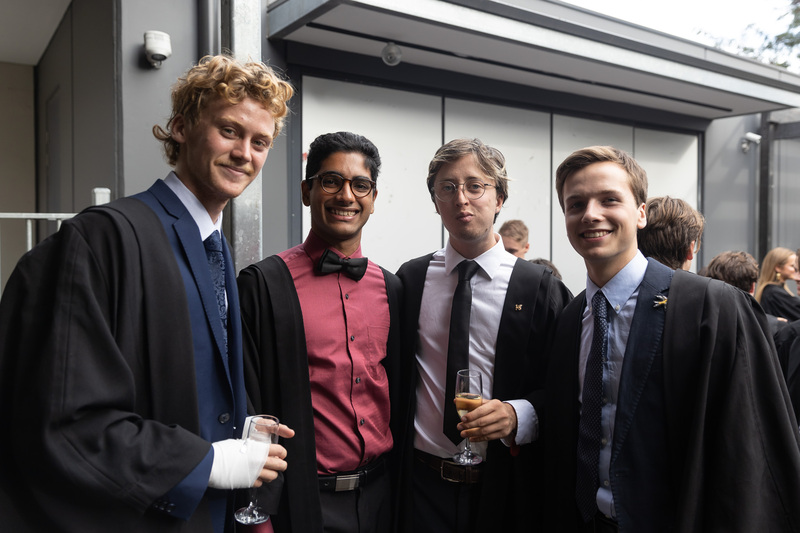 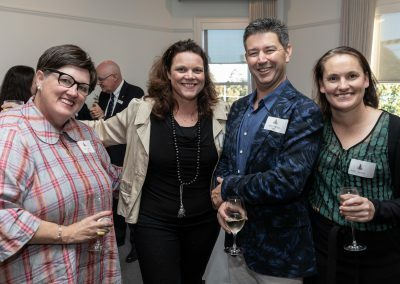 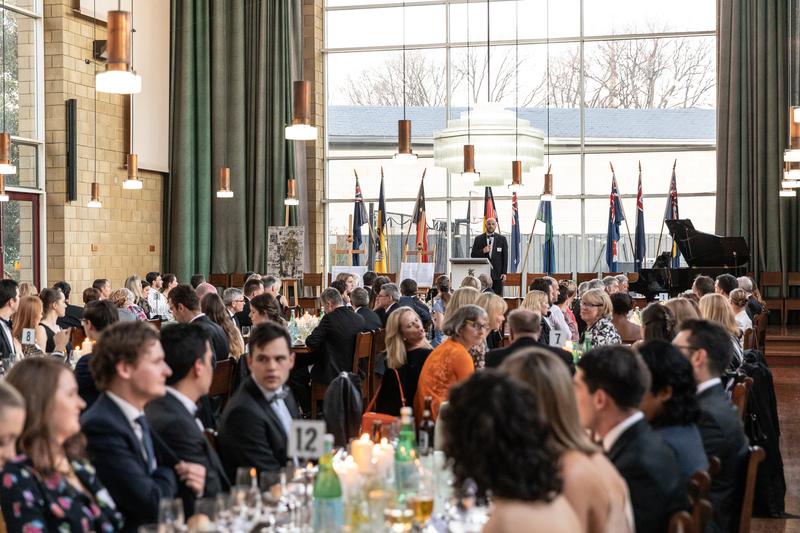 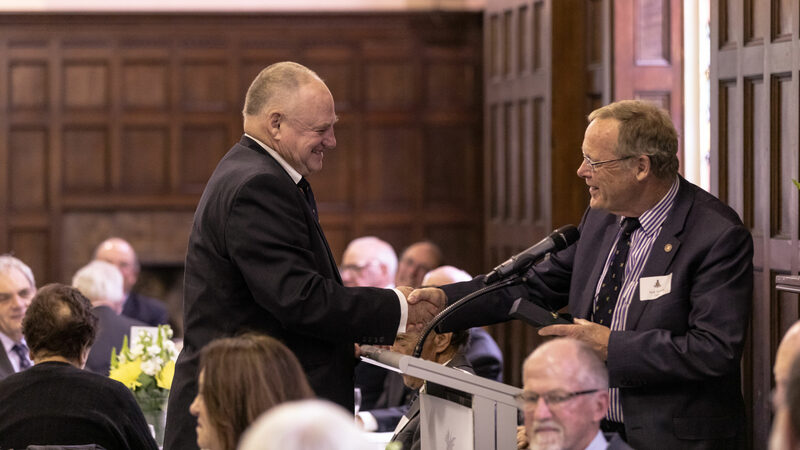 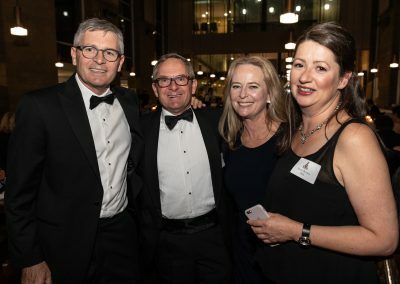 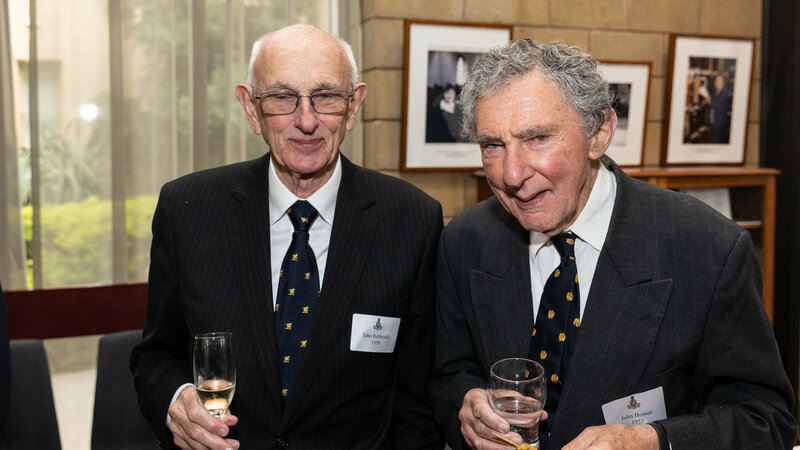 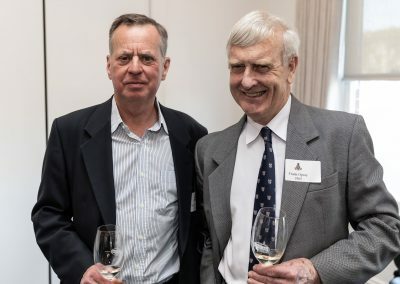 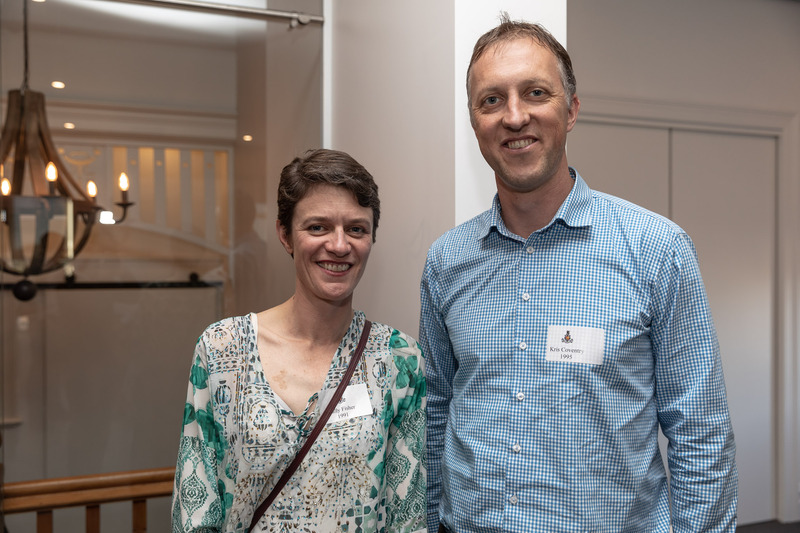 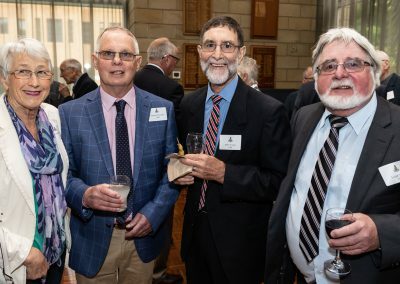 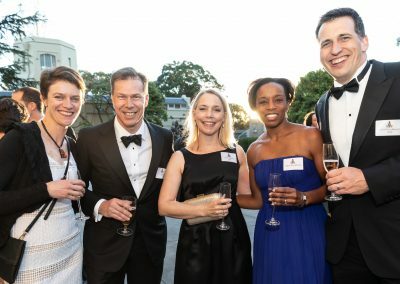 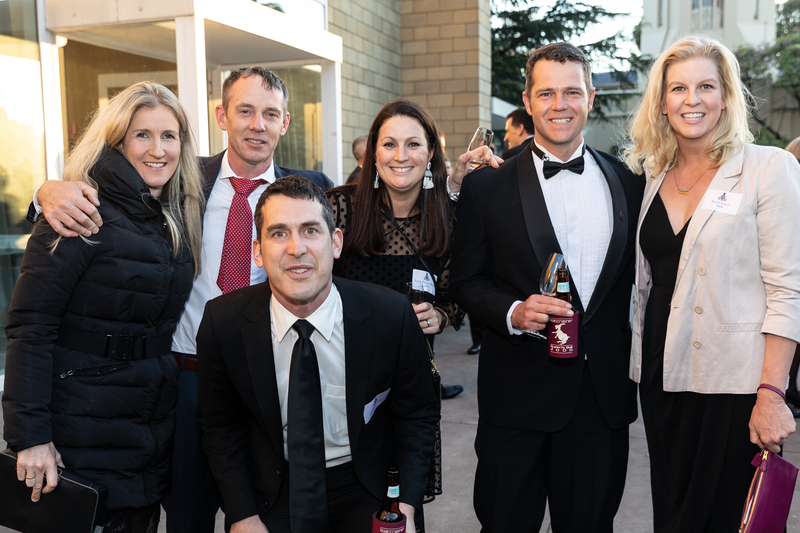 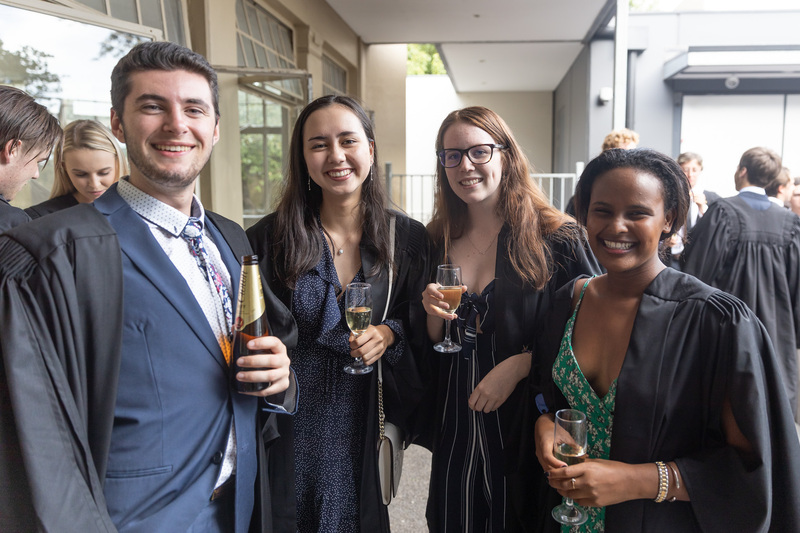 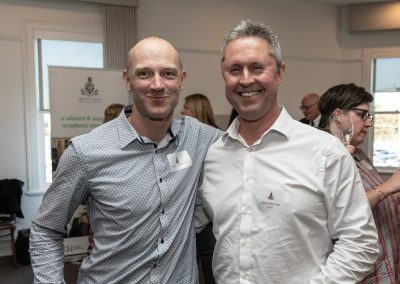 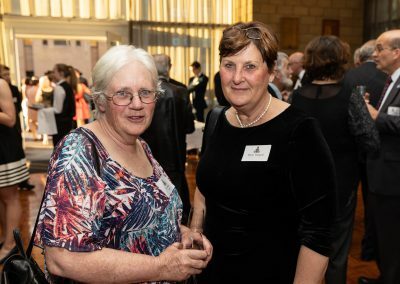 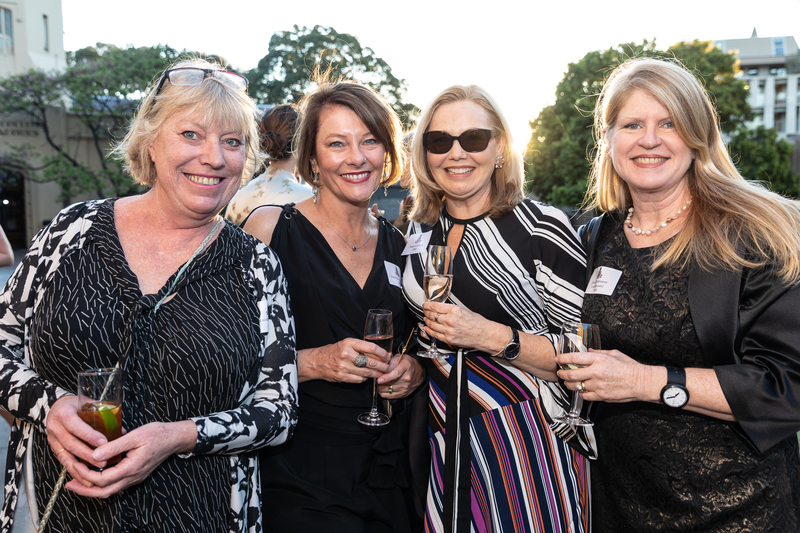 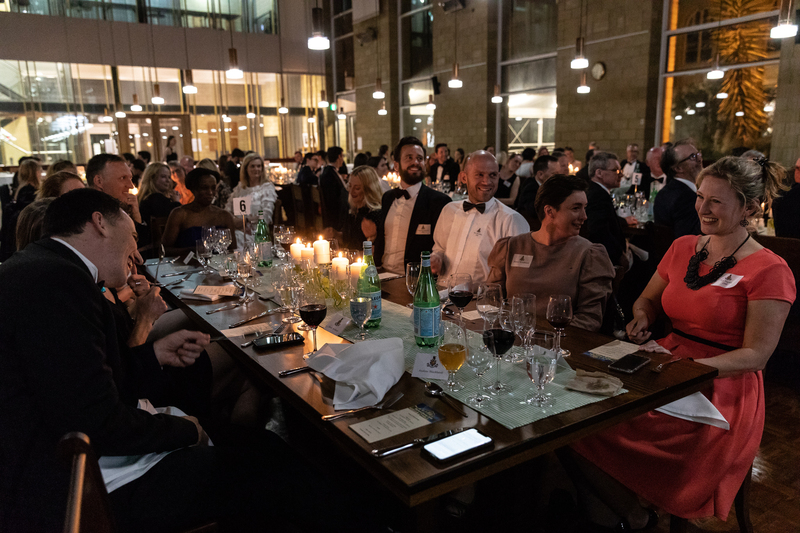 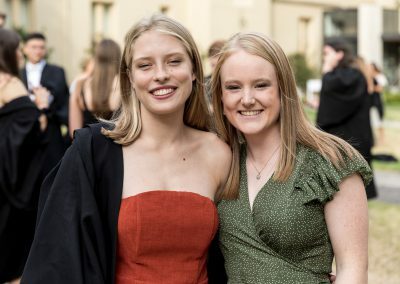 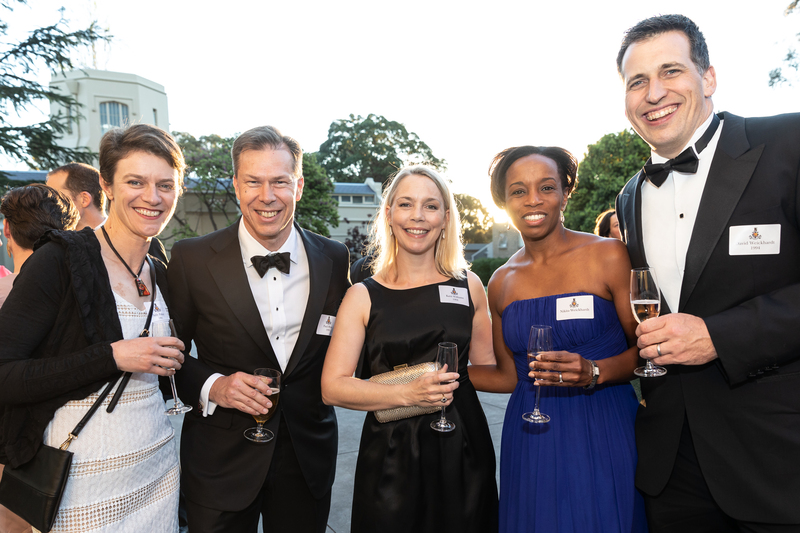 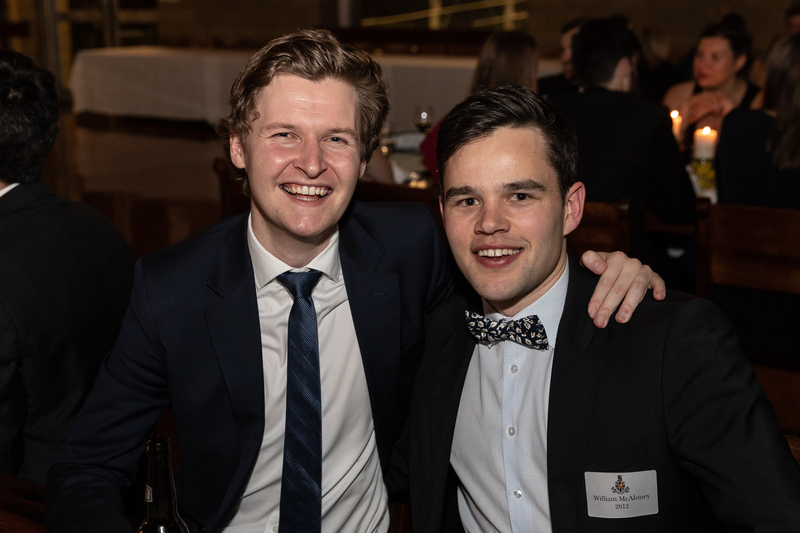 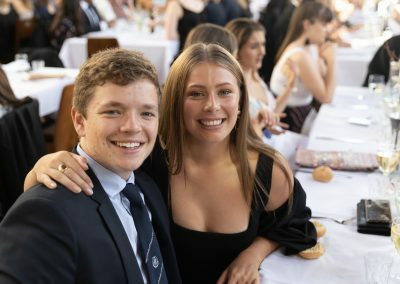 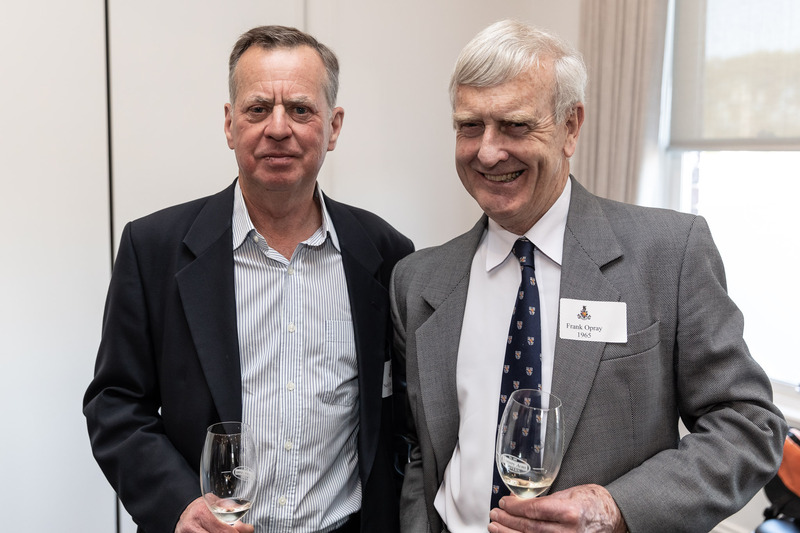 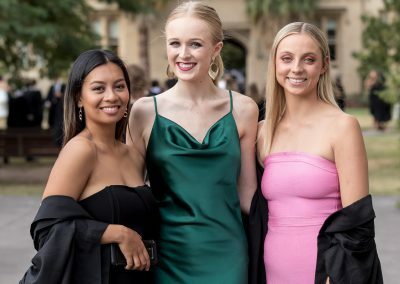 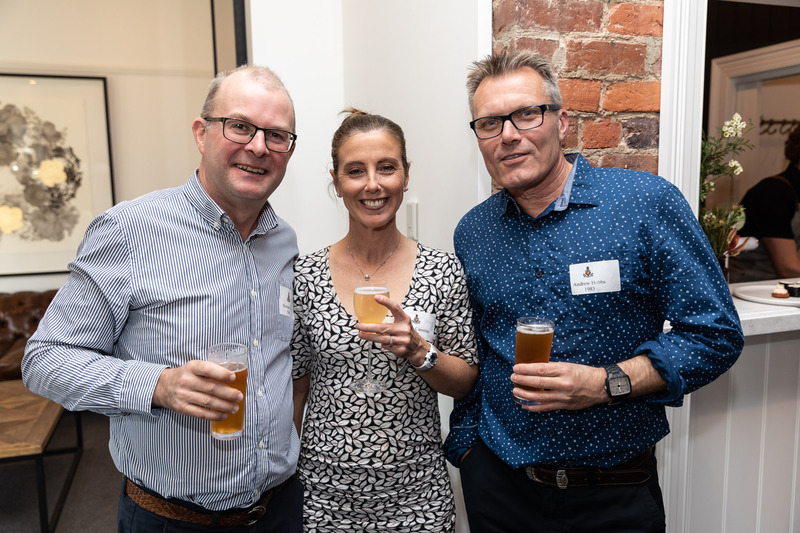 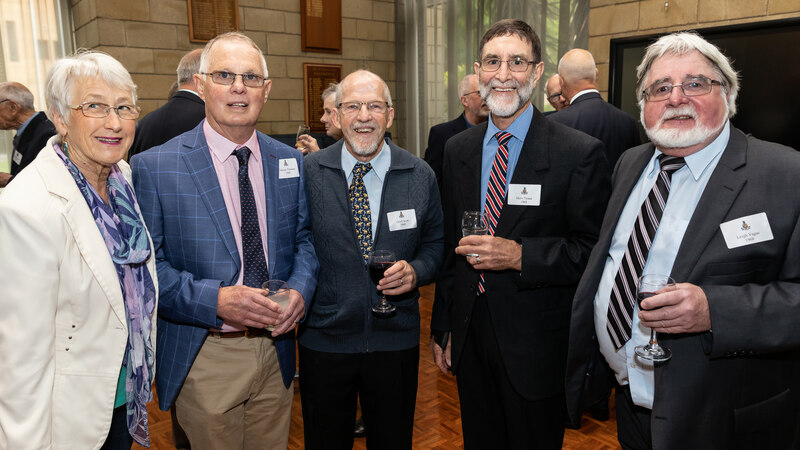 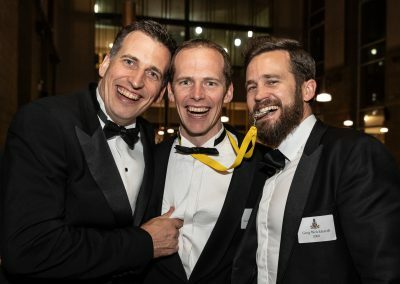 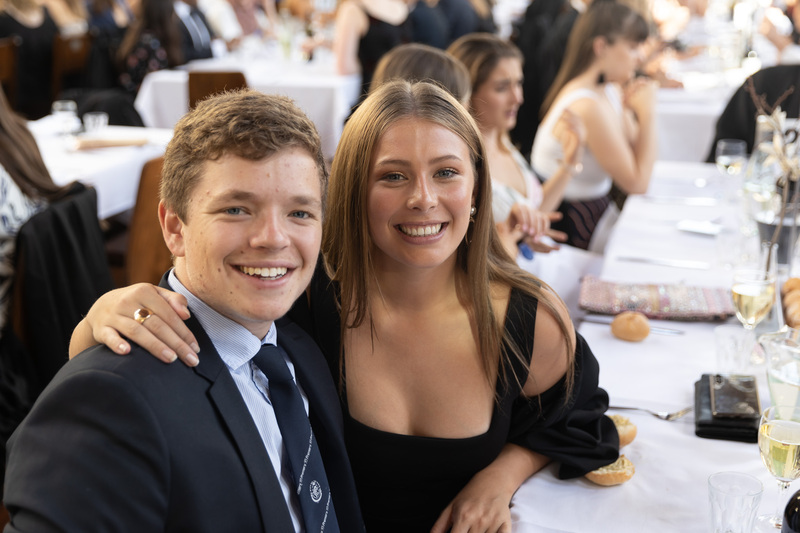 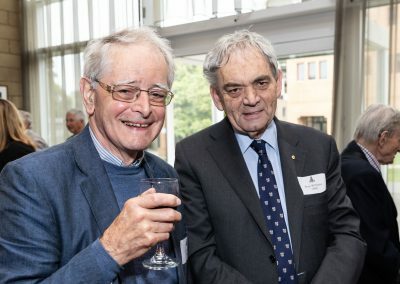 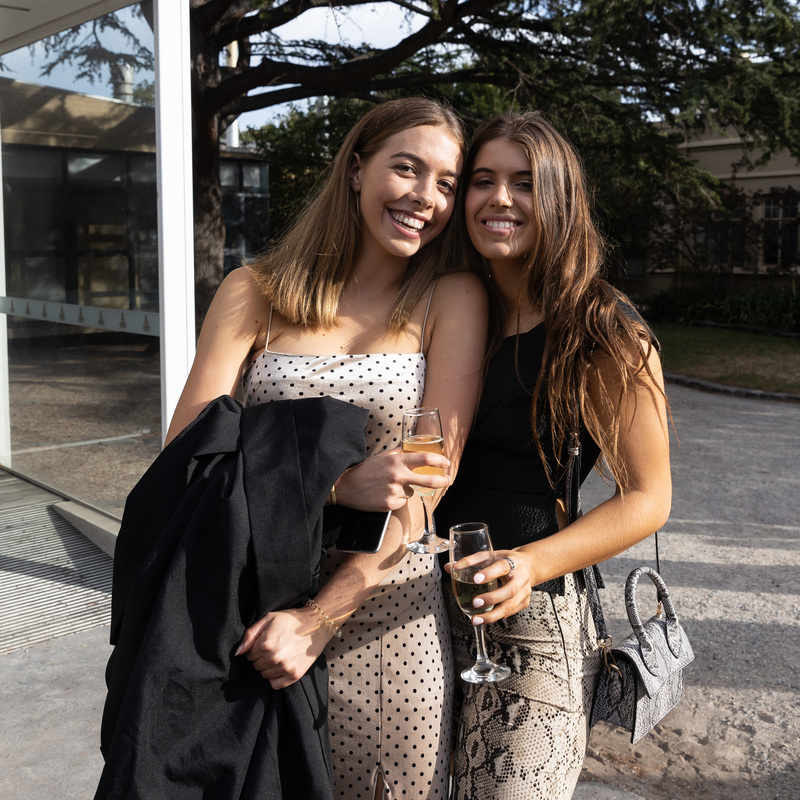 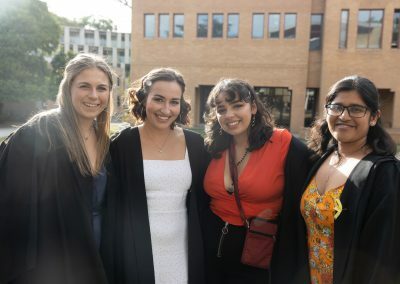 Many laughs and drinks were shared as we regaled and reminisced about 1998, a year in which Queen’s reigned undefeated and knocked off Newman in the final held on the Uni Main oval in front of a pulsating crowd. 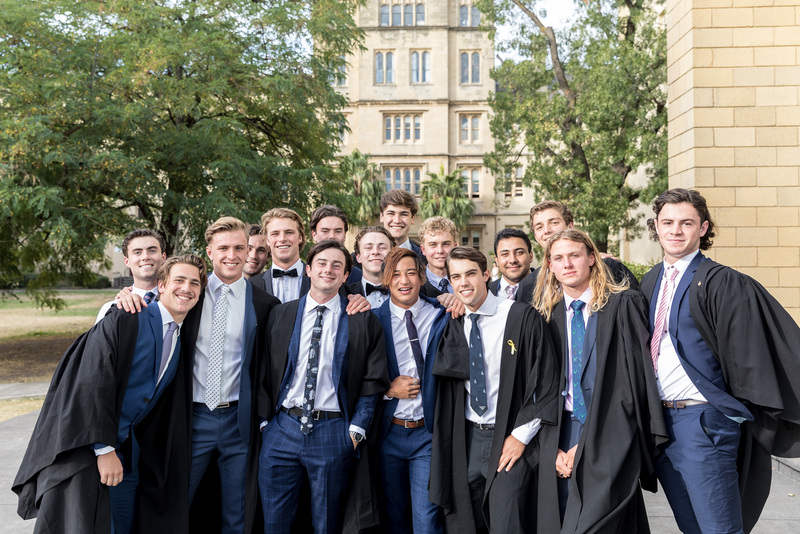 It was reportedly the first premiership in many years for Queen’s 1sts; in fact the year before, Queen’s only chalked up their first home and away win in almost a decade! 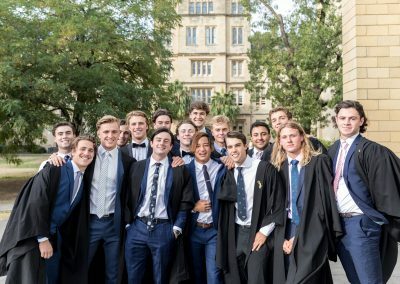 Coming off a very dry spell, the celebrations were raucous and the champions were treated like royalty for weeks to follow. 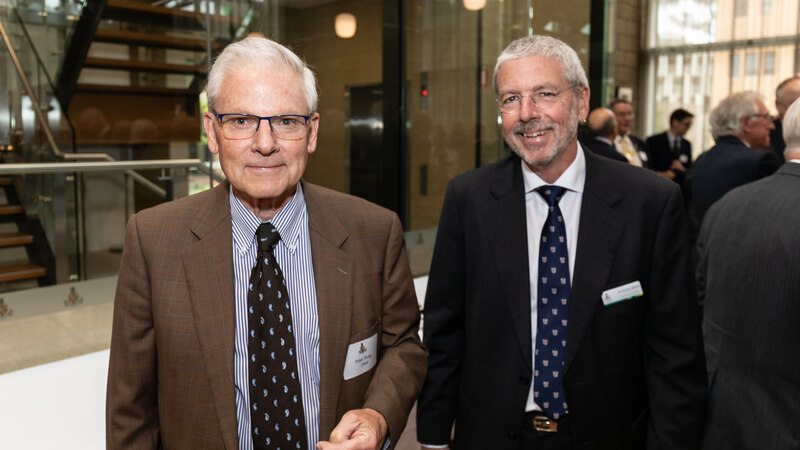 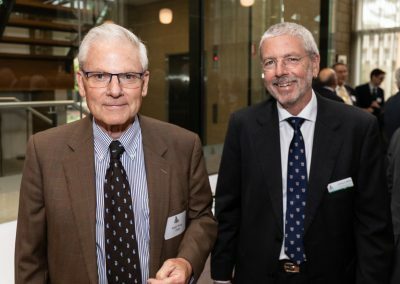 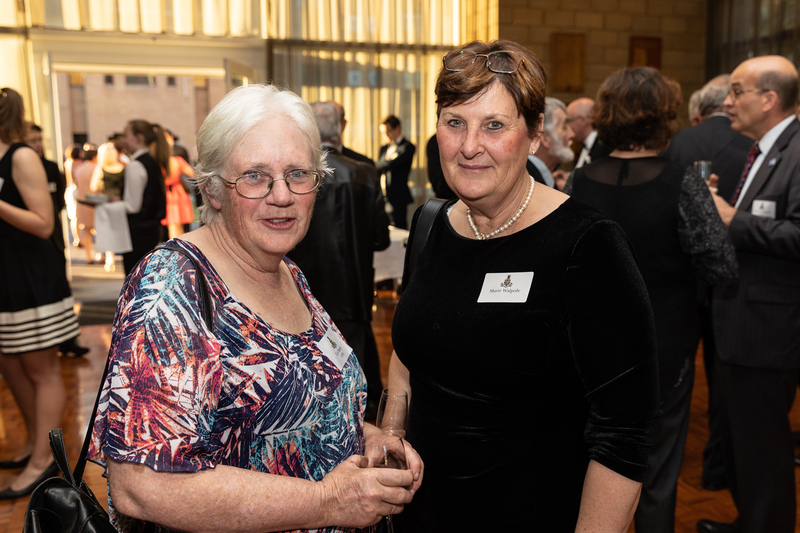 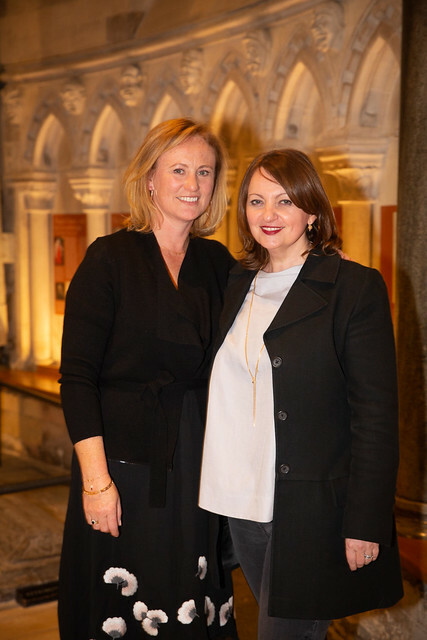 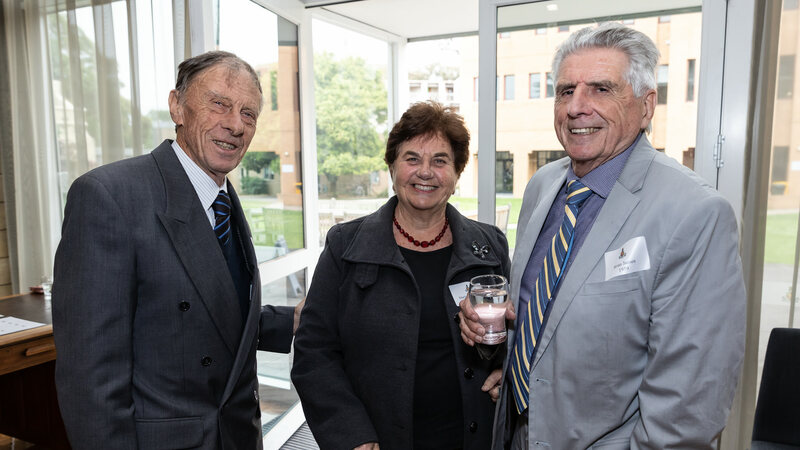 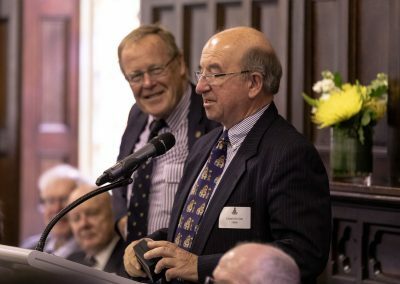 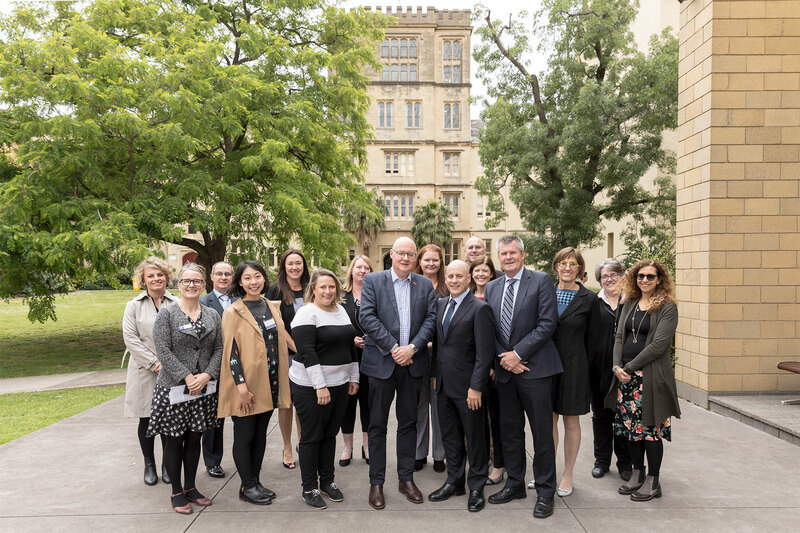 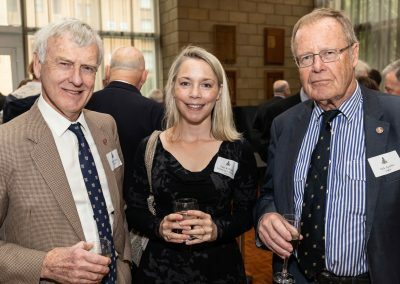 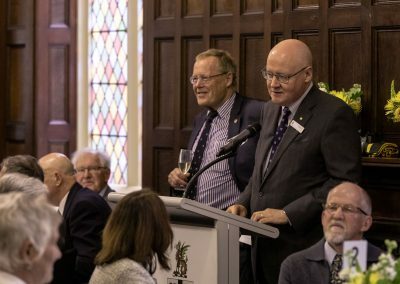 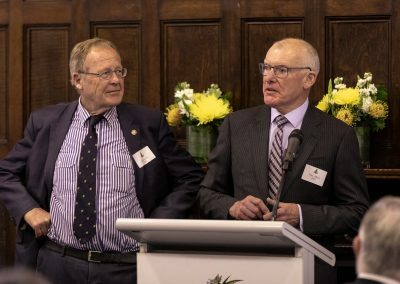 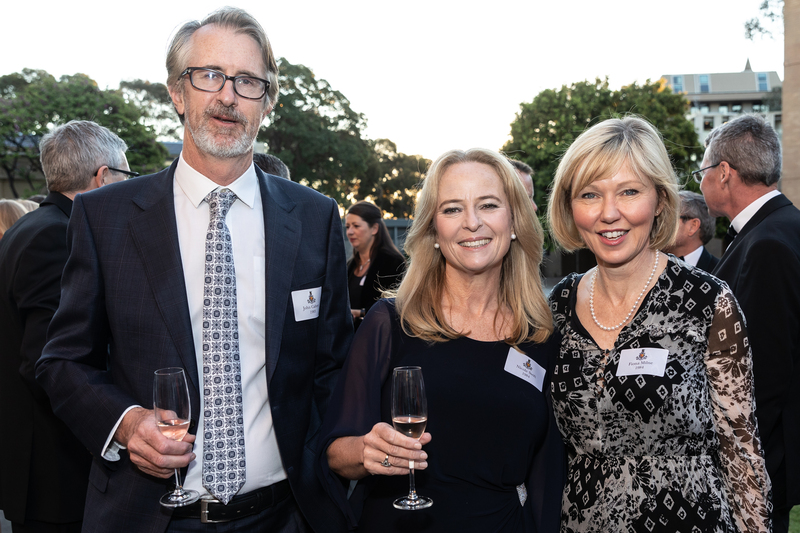 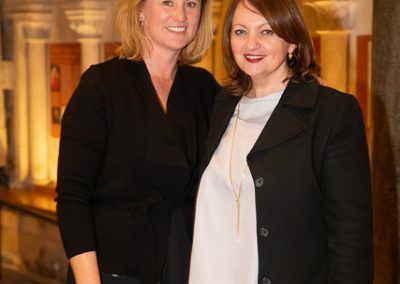 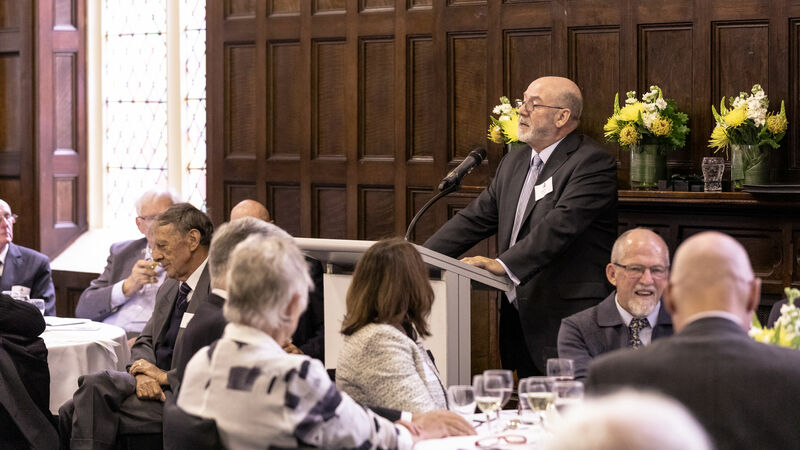 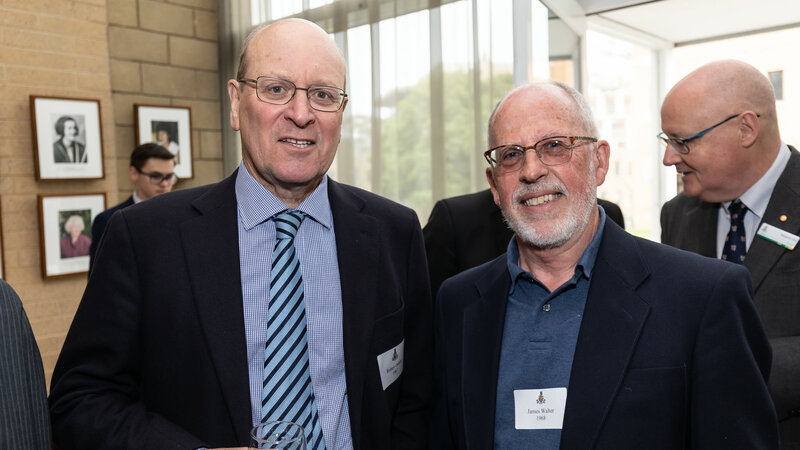 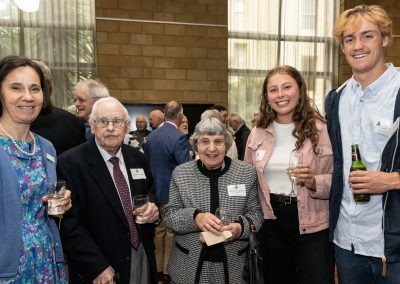 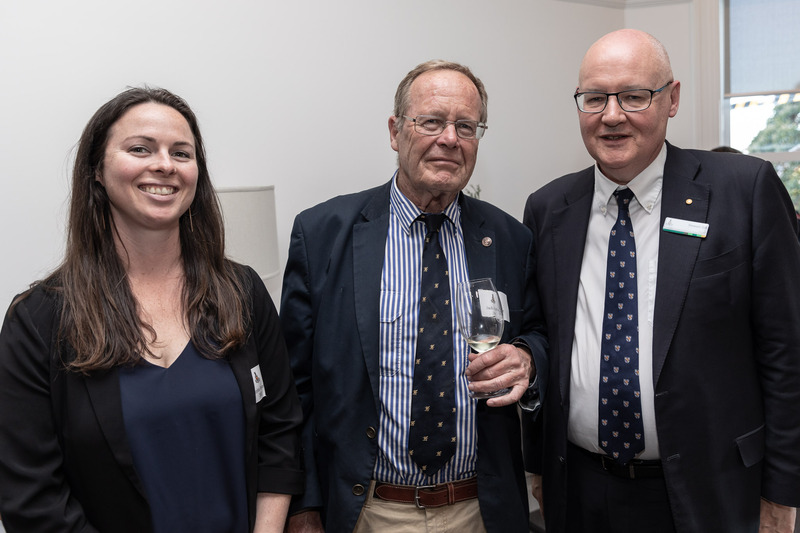 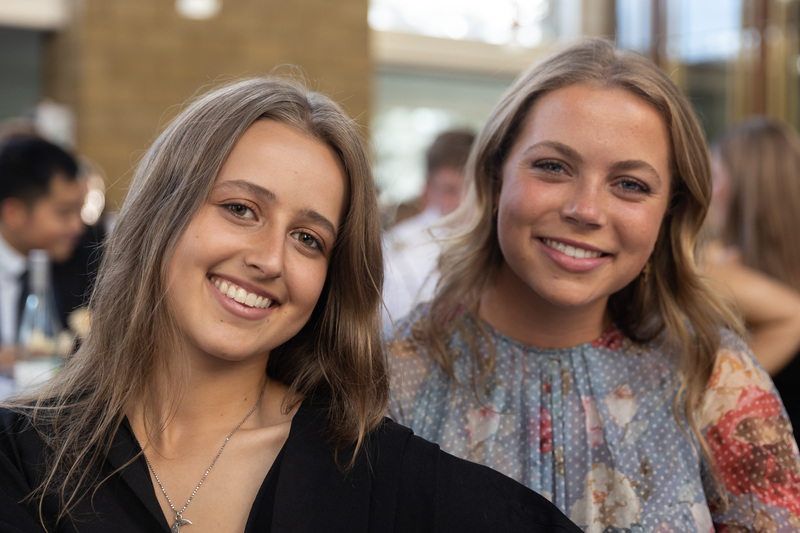 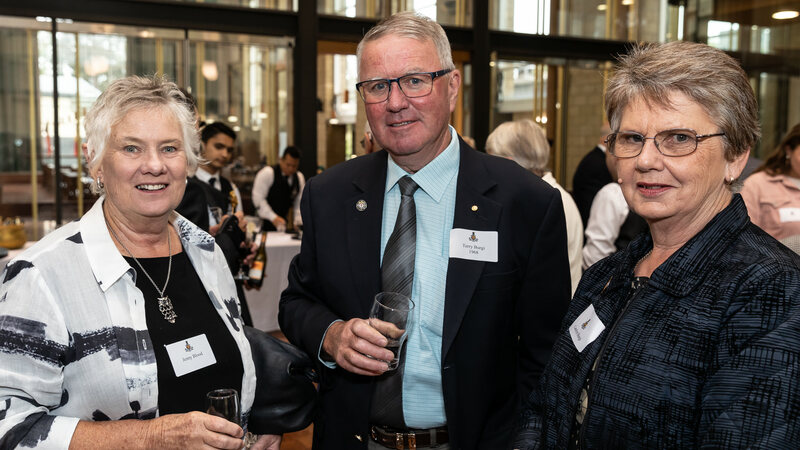 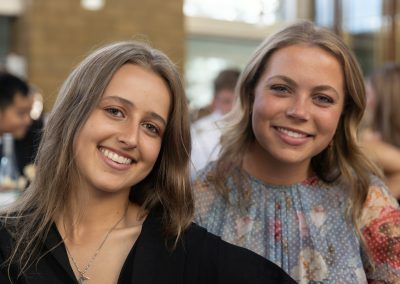 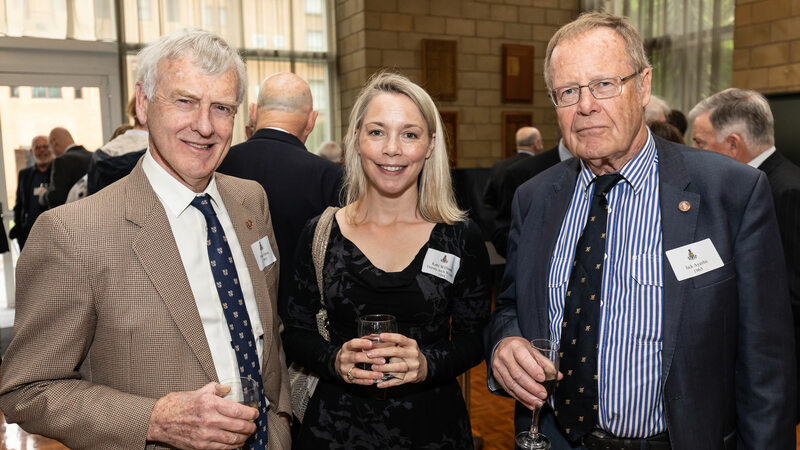 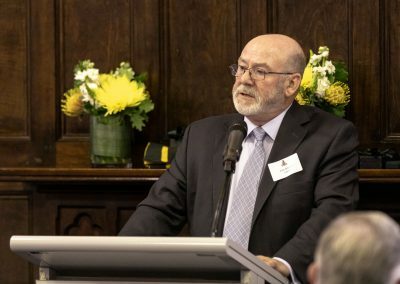 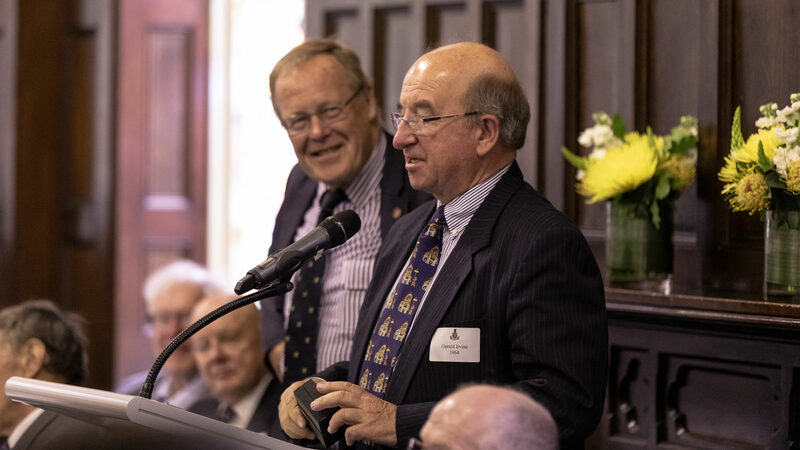 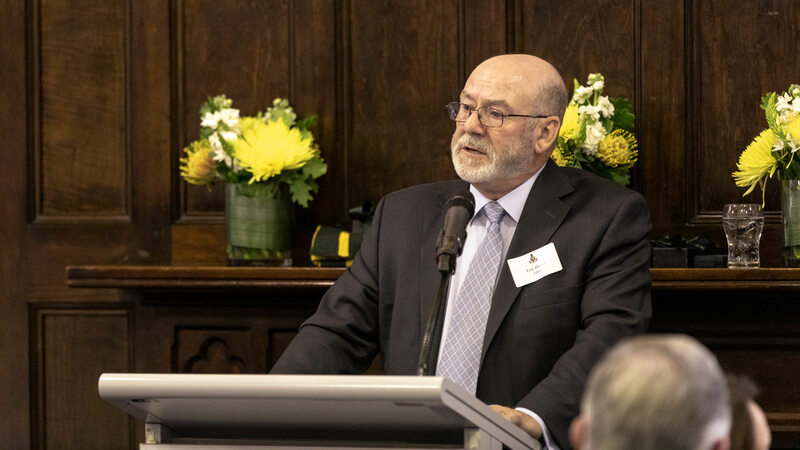 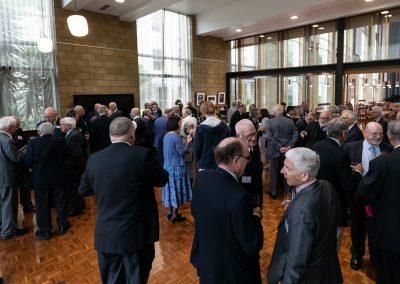 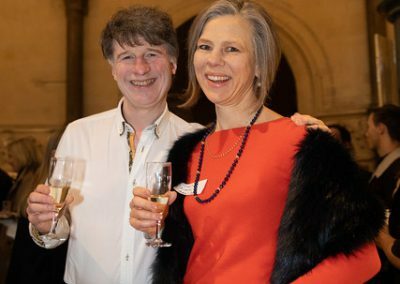 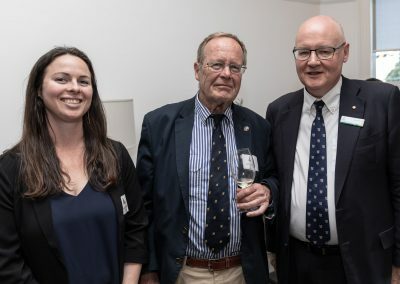 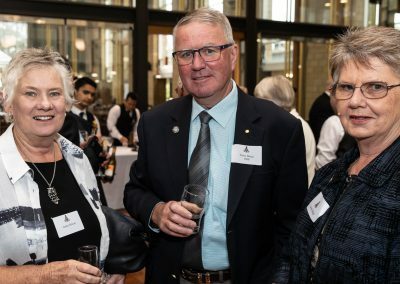 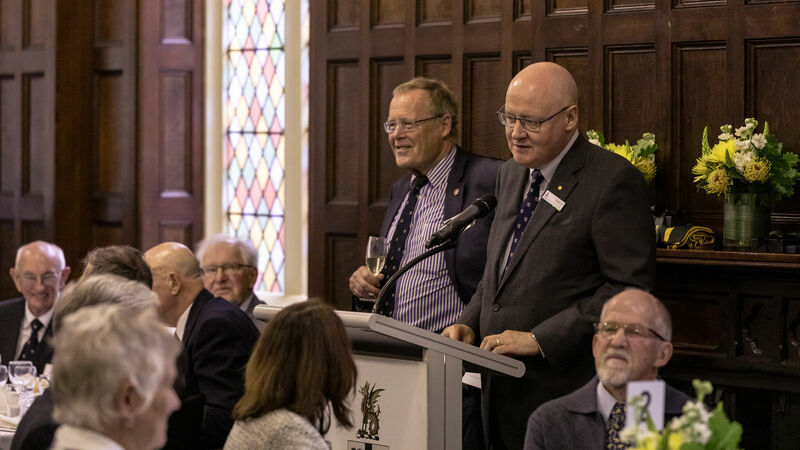 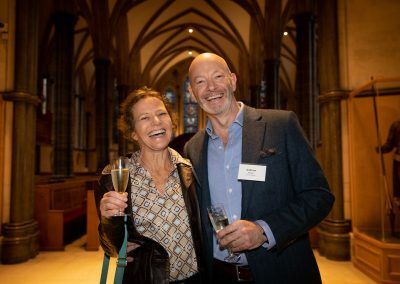 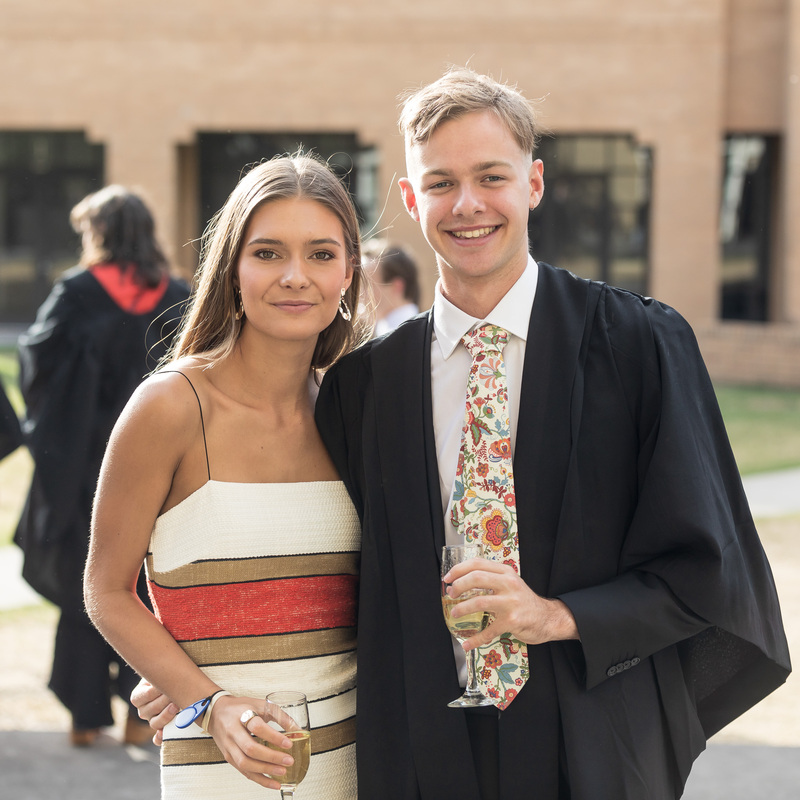 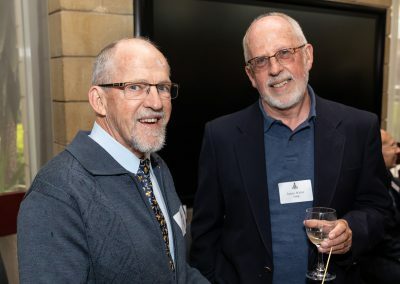 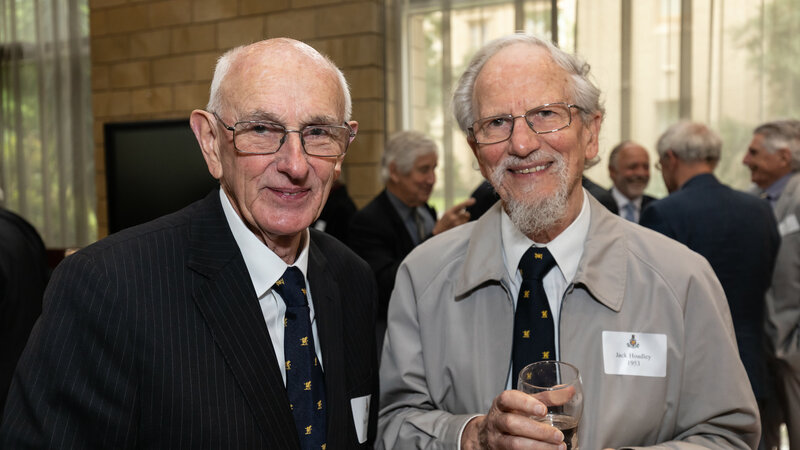 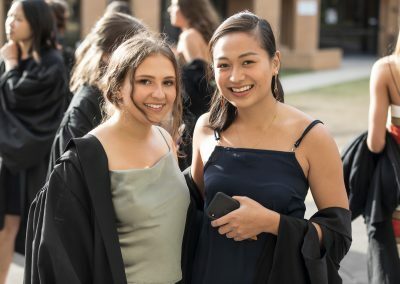 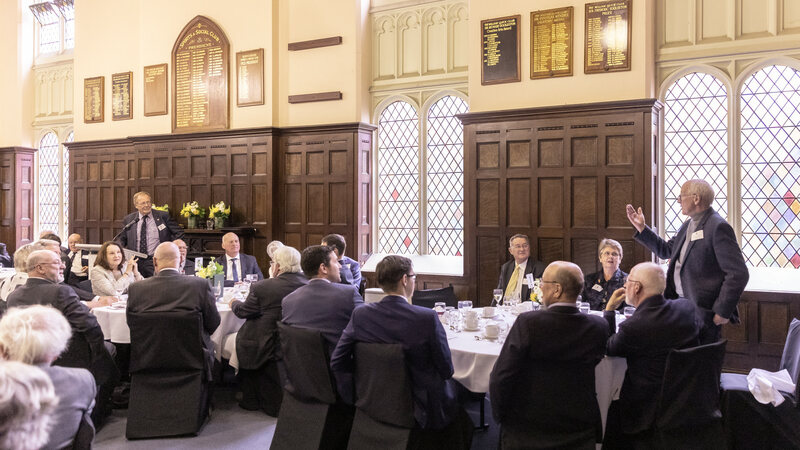 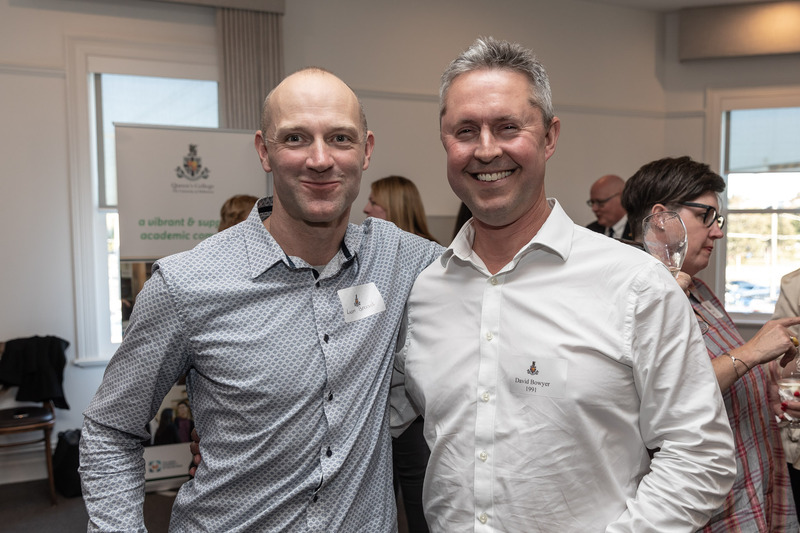 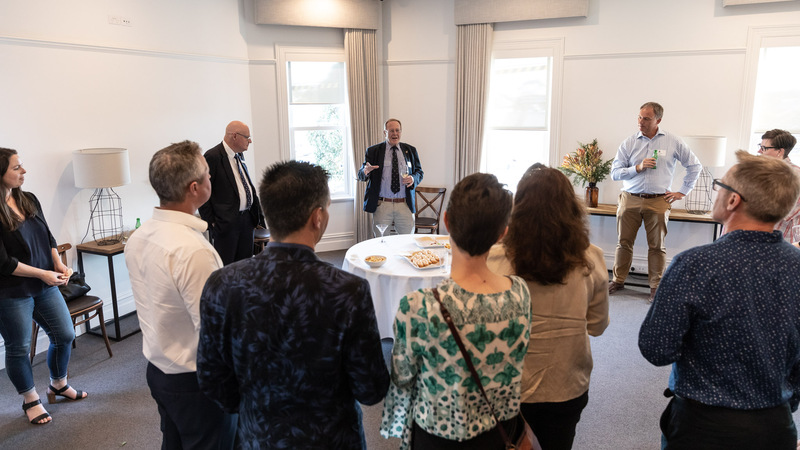 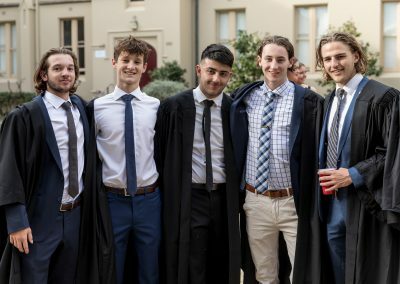 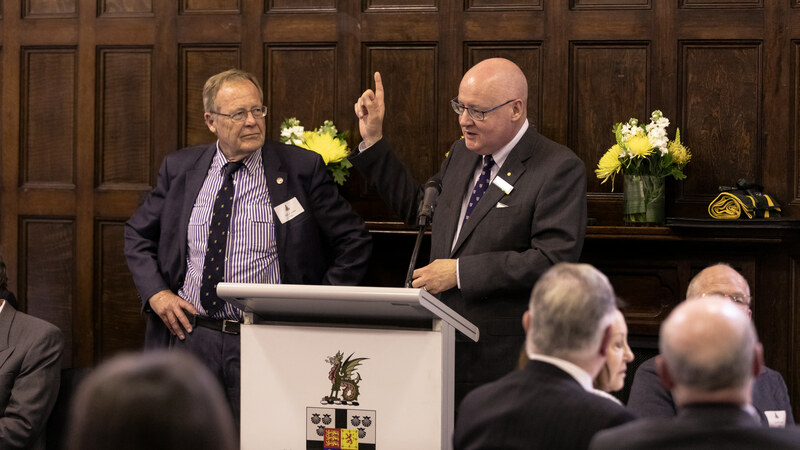 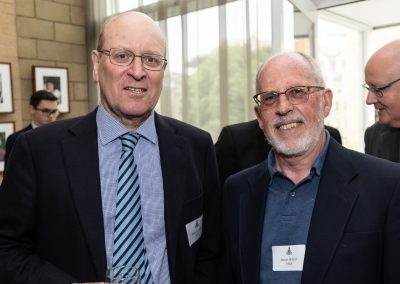 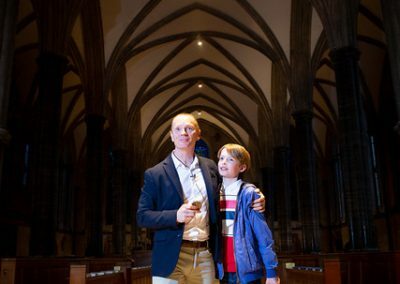 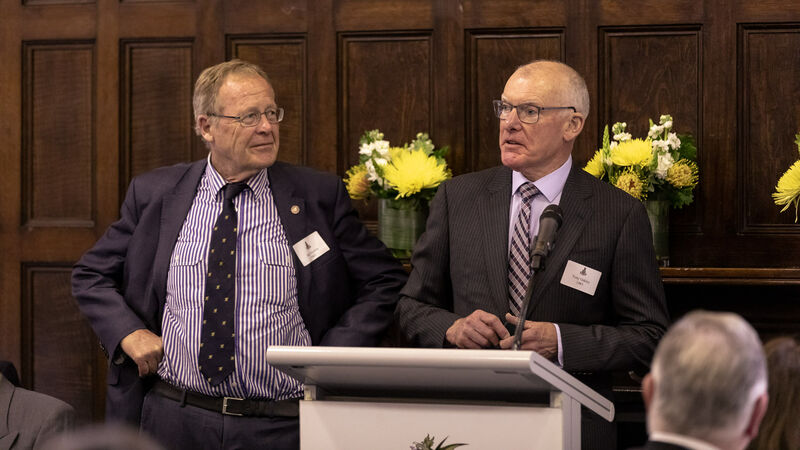 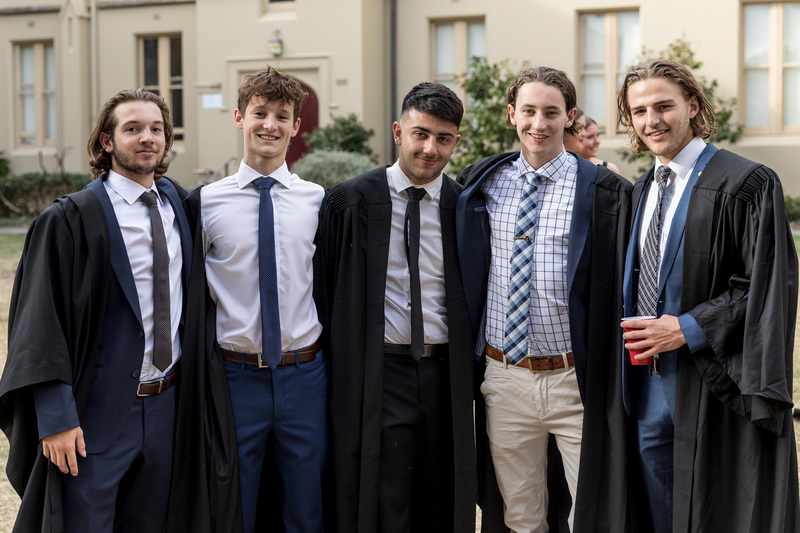 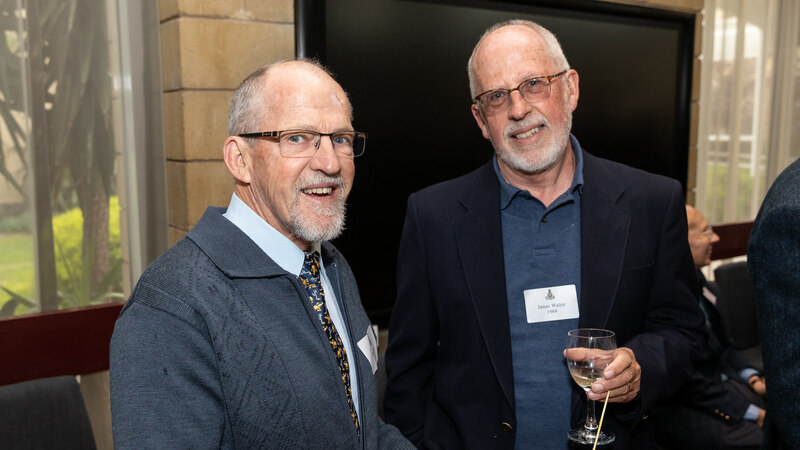 On 16 November, the College was delighted to host the annual Geelong Gathering where we welcomed Wyverns, parents and friends to catch-up and hear about developments at Queen’s College from Dr Stewart Gill. 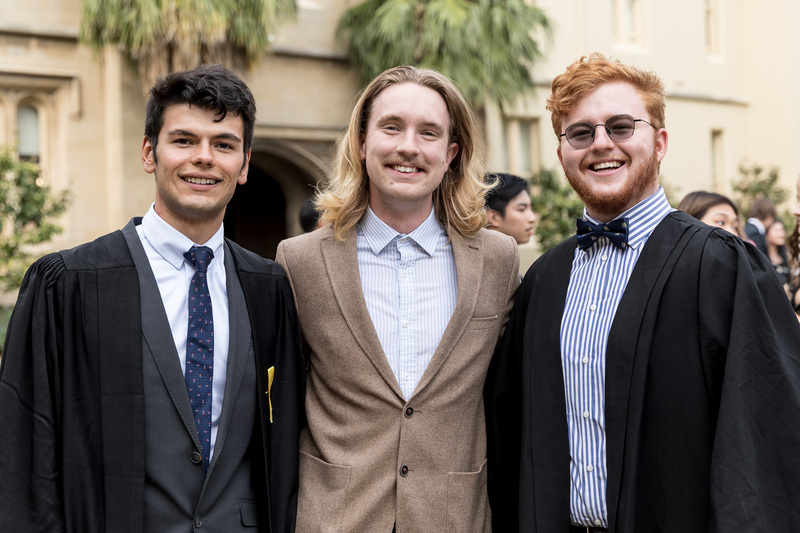 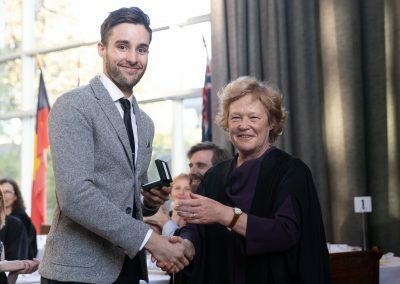 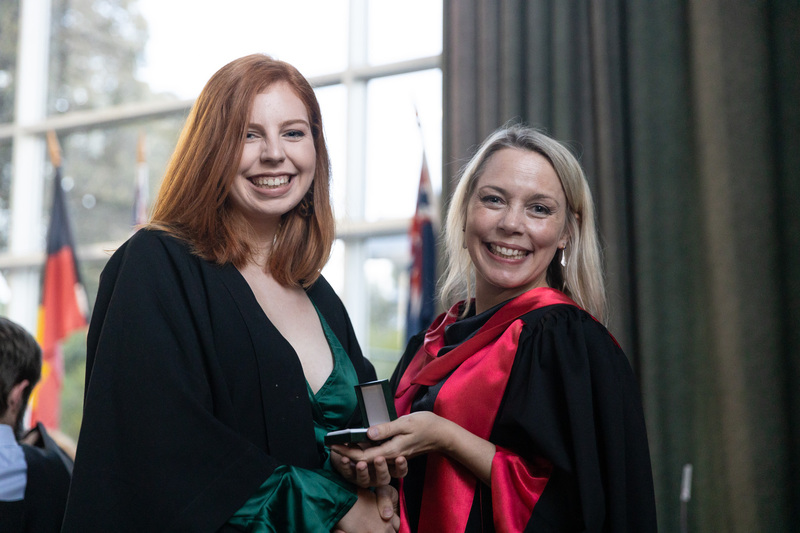 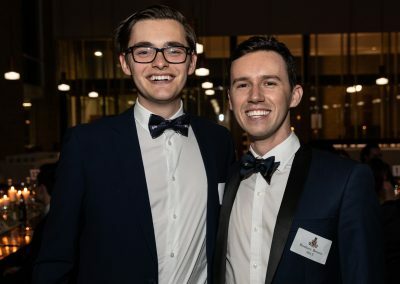 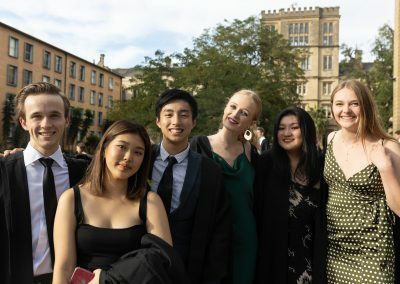 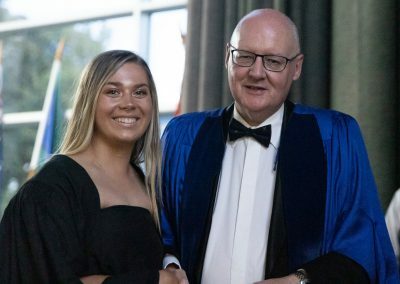 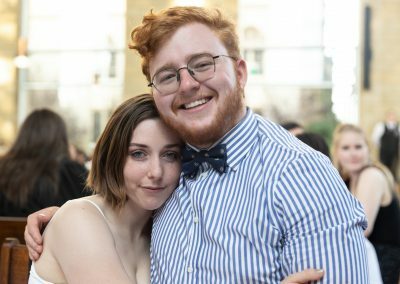 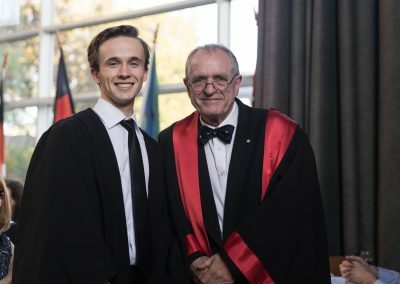 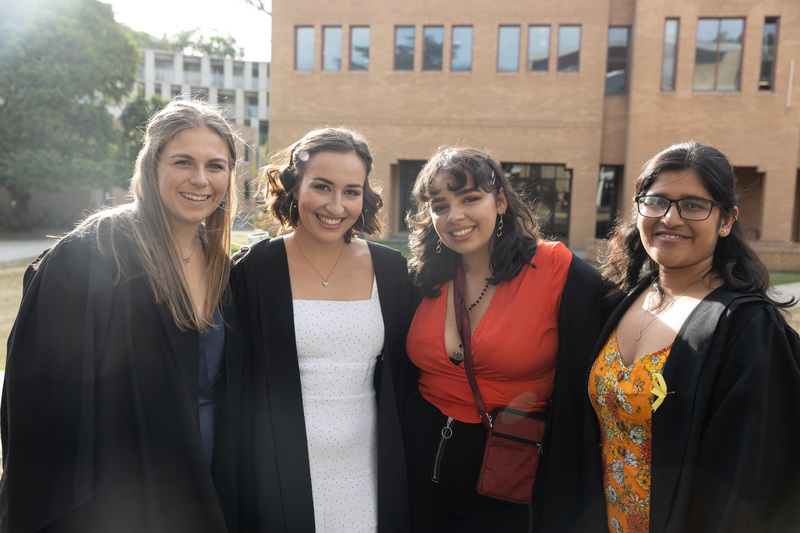 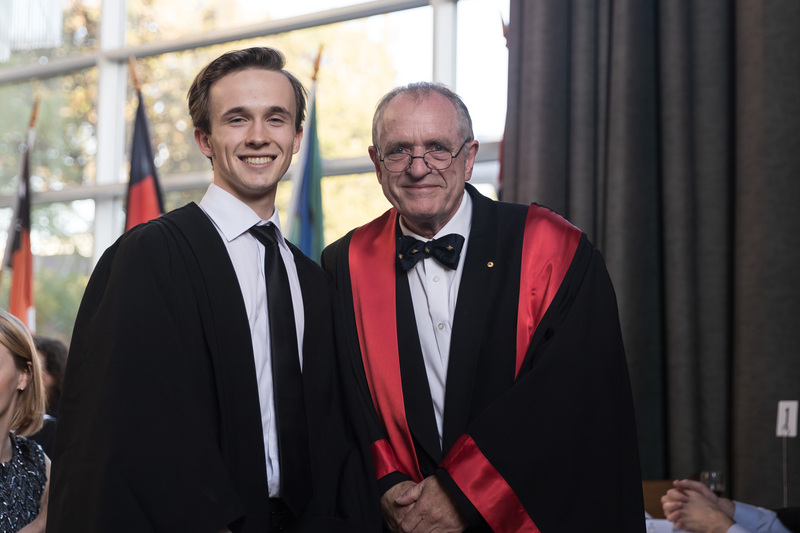 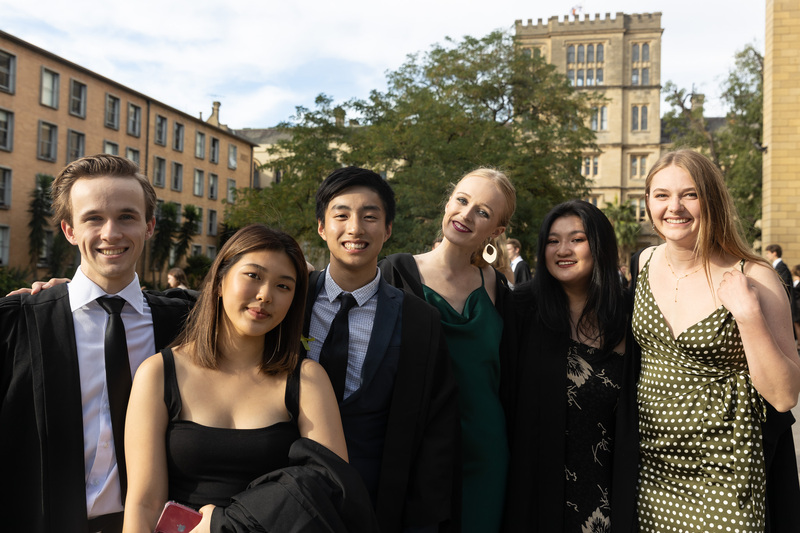 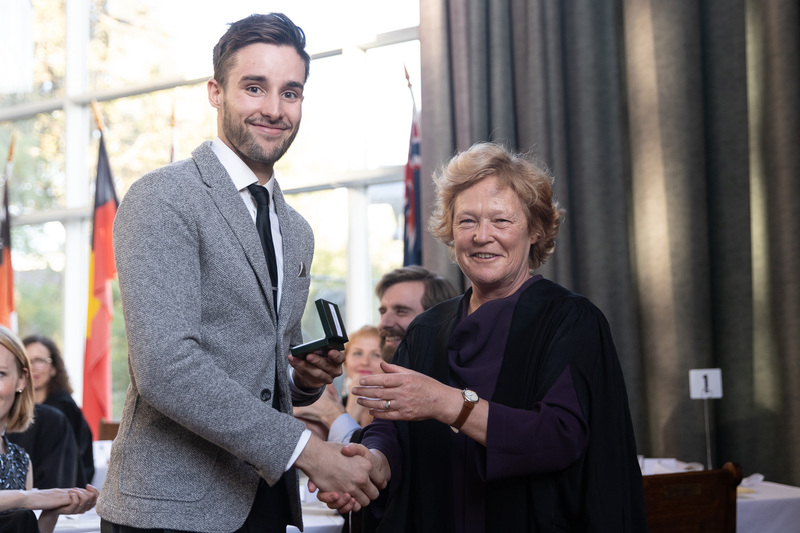 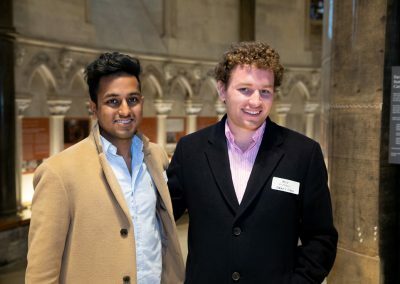 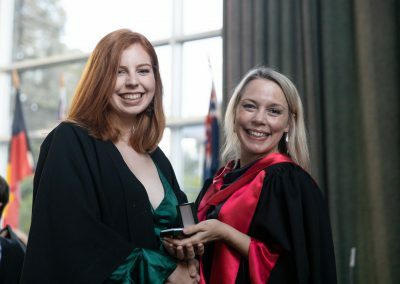 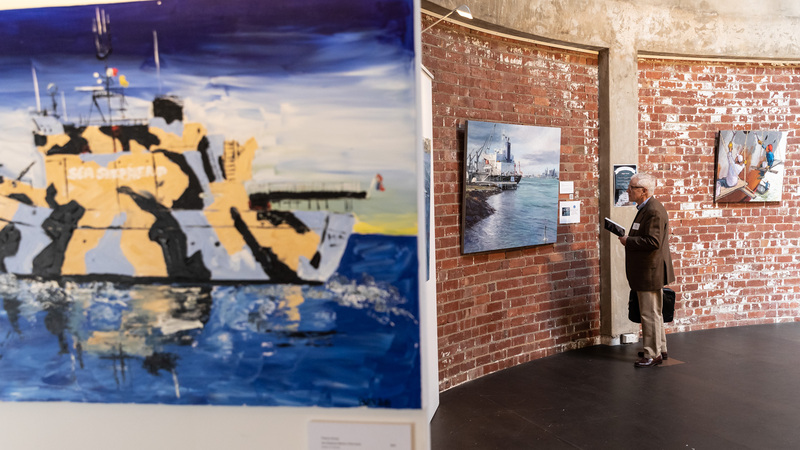 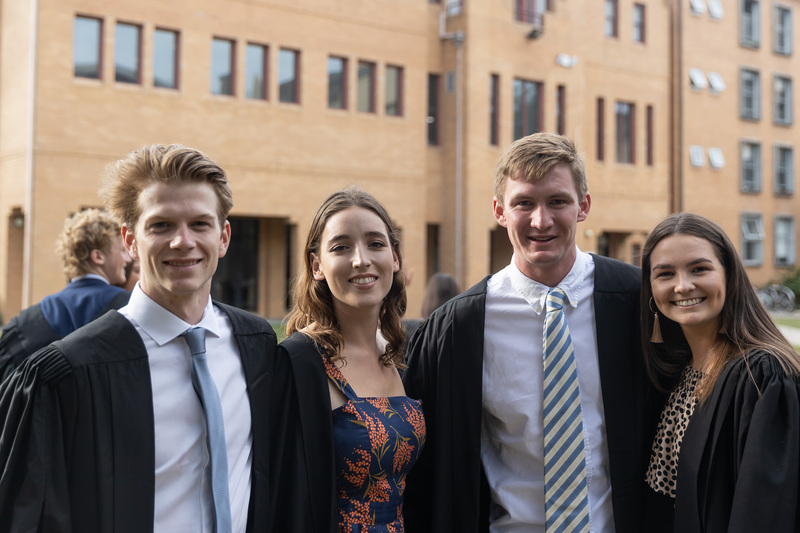 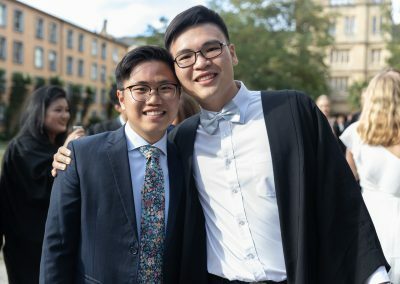 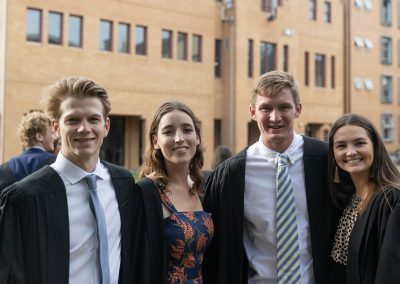 This post was written by Harry Heyworth (3rd Year Arts) who was the 2018 recipient of the Cam Brown Community Innovation Fund. 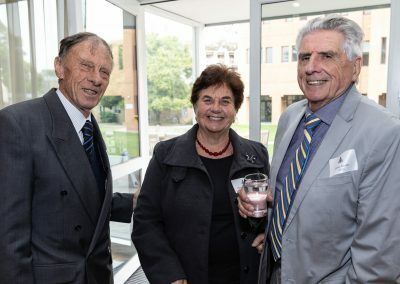 The Cameron Brown Community Innovation Fund (CBCIF) was set-up in memory of the Wyvern Cameron Brown in aid of promoting and cultivating three values that were held closely to his heart: community benefit, innovation and sustainability. 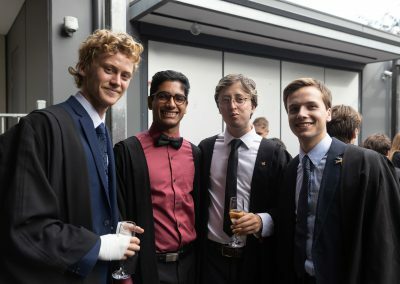 Entwined throughout all of these, however, Cameron had the urge to inspire others to think big. 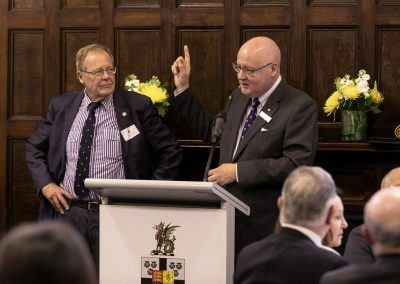 This last cornerstone was conveyed outstandingly during the CBCIF informational panel held for current Queeners earlier this year. 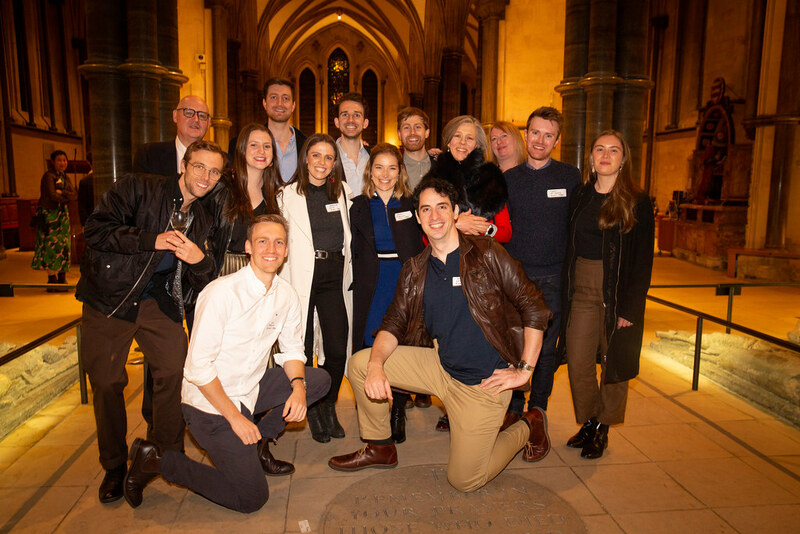 A group of fantastic Wyverns not only told stories of their entrepreneurial experiences but did so in a way that made even the hardest ideas seem achievable. 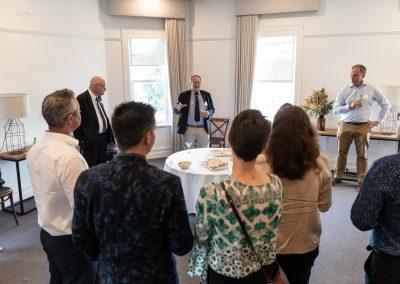 For myself, that one-hour talk was the tipping point that made me start pursuing my vision of getting Melbournians, and Australians as a whole, to start eating insects. 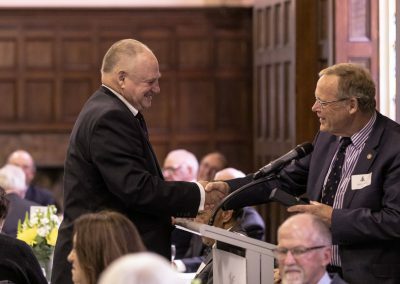 My name is Harry Heyworth and I am extremely honoured to be writing this as the 2018 recipient of the CBCIF. 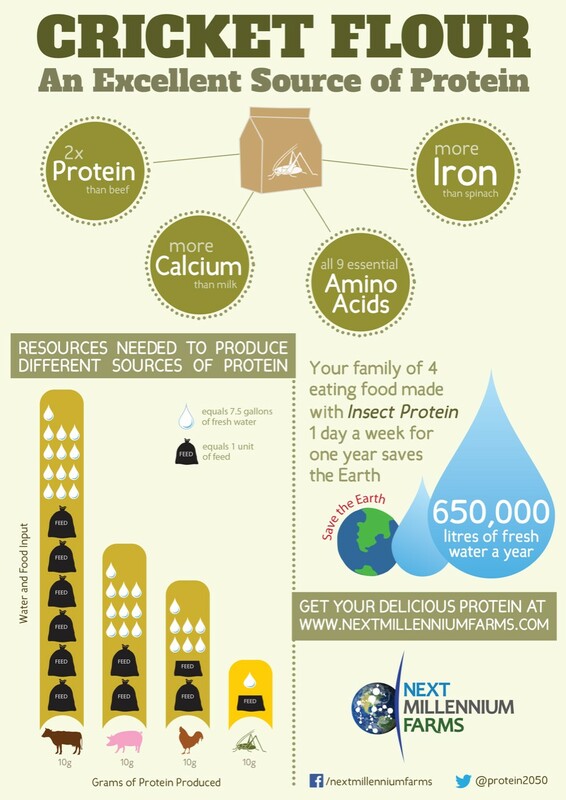 At the beginning of this year, I started researching the ins and outs of entomophagy – the consumption of edible insects. The multi-faceted benefits quickly became evident: not only is it an incredibly nutritious, delicious and risk-free food source, but it is also far more efficient in land use, water consumption and greenhouse gas emission as compared to traditional livestock (refer image below). 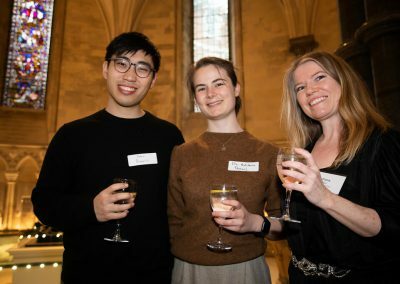 With this knowledge, combined with the understanding that current food-consumption habits will be unachievable by 2050, a mission started to materialise: remove the socially-generated “yuck factor” associated with eating insects. 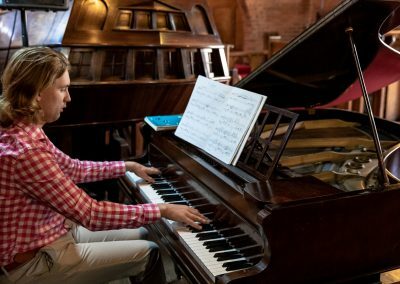 The ways in which we are striving to achieve this goal are varied. 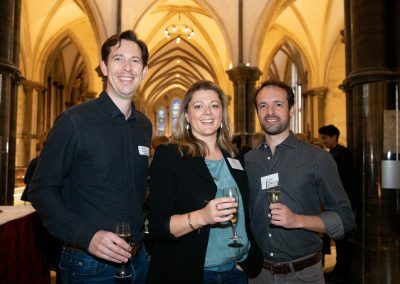 Structured as a business, we are looking to learn from previous shifts in food-consumption behaviour – an example being the rapid increase in consumption of raw fish in sushi – and apply these learnings to our project. 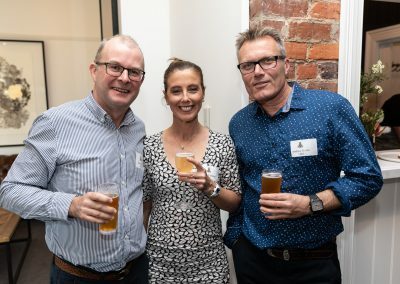 From this, we intend to start testing as many product and marketing variations as can be fathomed, until we create a meal that is welcomed by the average Aussie. Simultaneously, I am trying to get as much advice as possible from anyone and everyone. 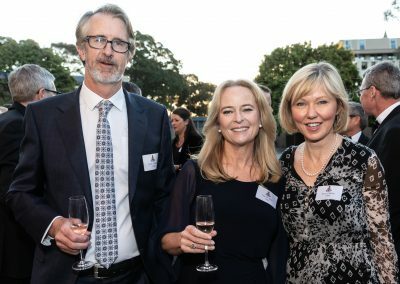 So, if you are at all interested in the project and want to learn more/get involved, or if you suddenly have a light-bulb moment wherein you discover the perfect way to sell “yummy-crawlies”, or indeed just have some advice that you could impart to us, then please do email me at harryheyworth@aol.com – this brief summary barely even touches the surface of all that can be said on the subject. 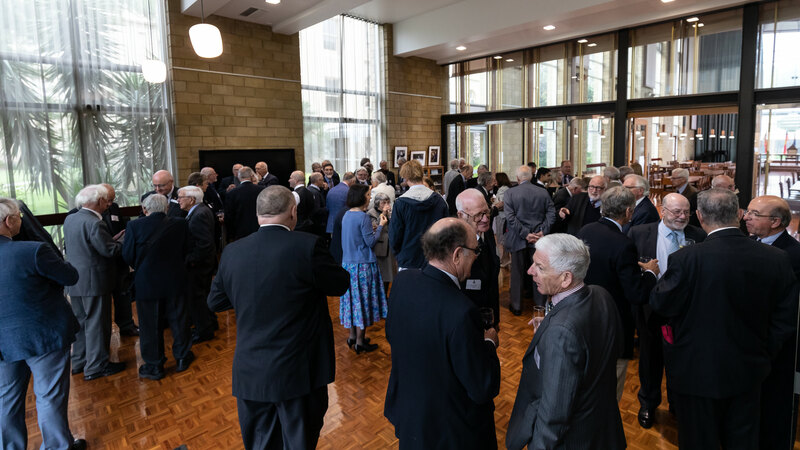 On Friday 26 October, members of the Sugden Society spent a pleasant few hours visiting the Mission to Seafarers organisation. 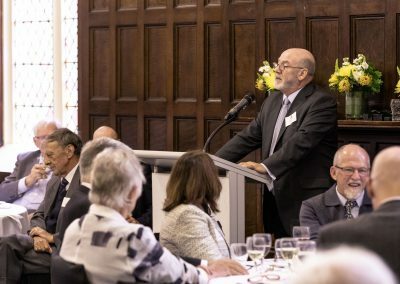 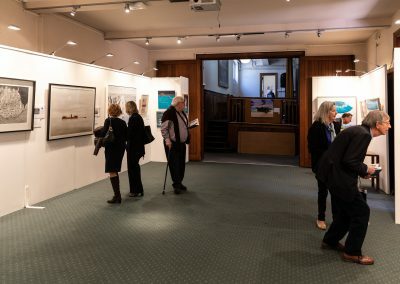 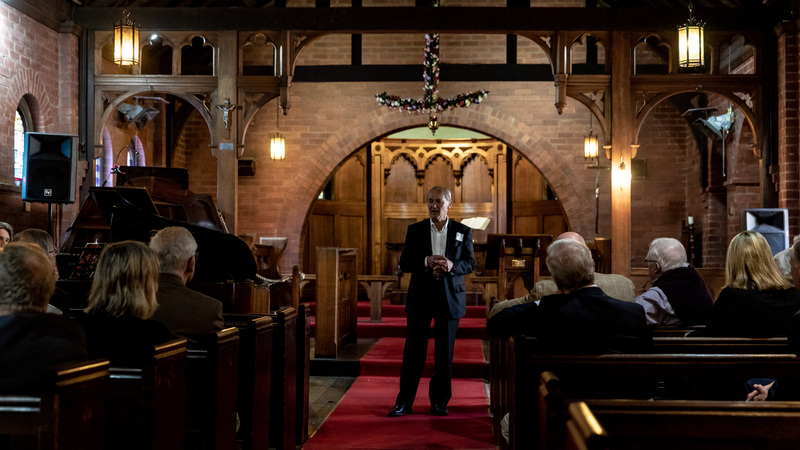 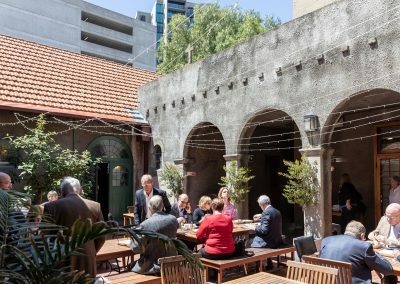 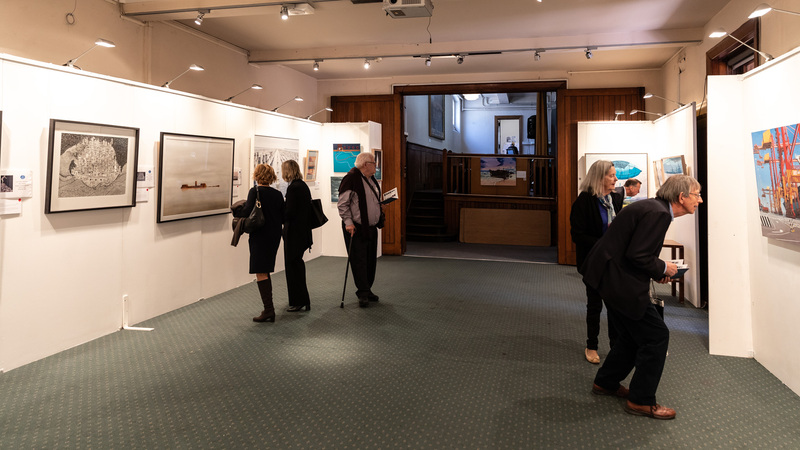 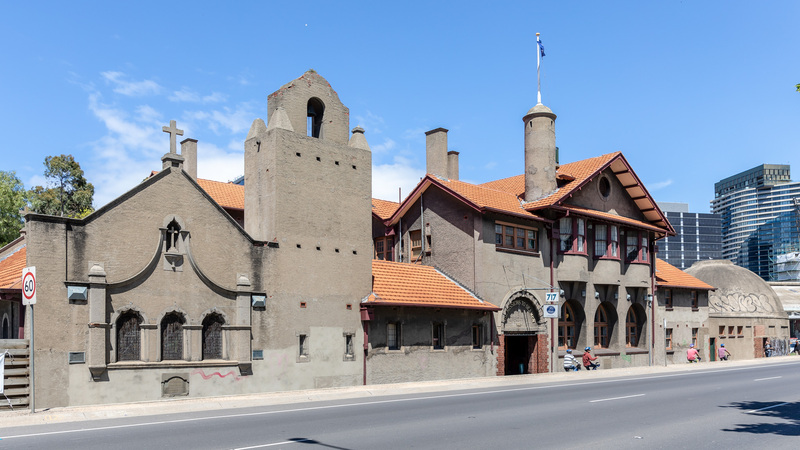 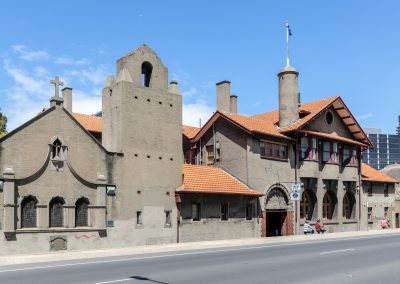 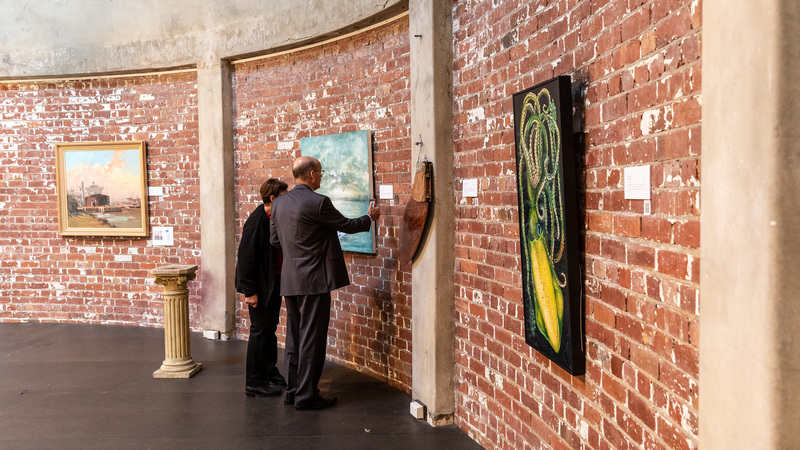 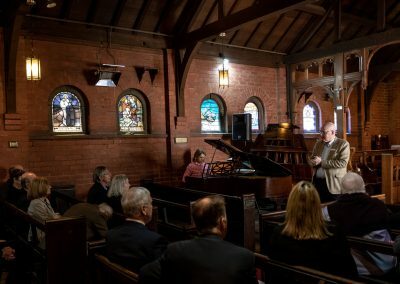 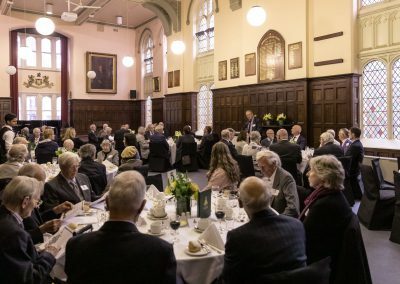 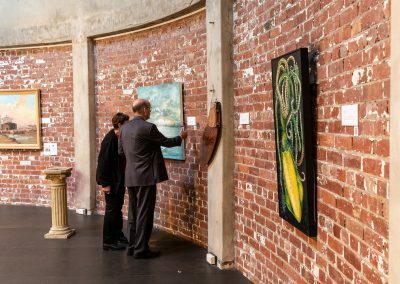 Located in a very distinct period building on the busy Wurundjeri Way, Sugden Society members were introduced to the history of the building and organisation – since 1857, the Mission to Seafarers has worked to provide support to the many workers on whom safe and efficient shipping depends. 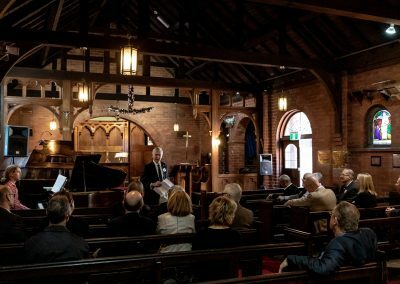 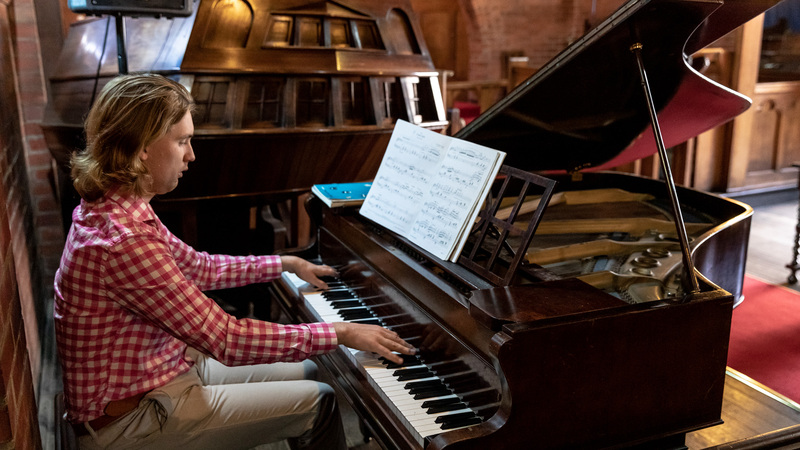 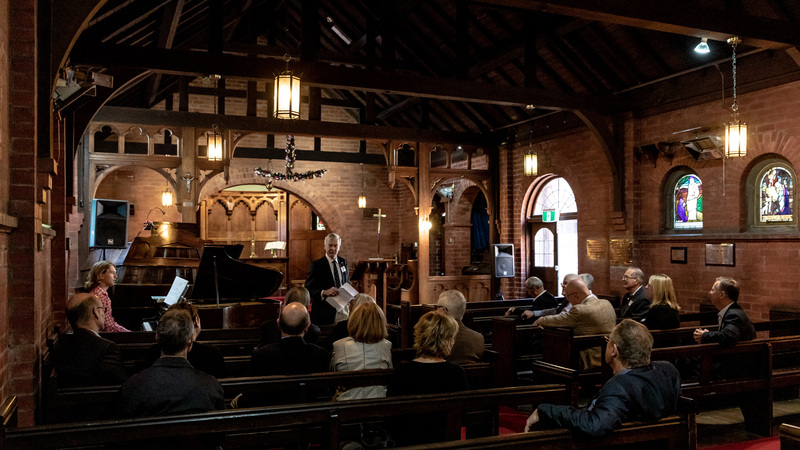 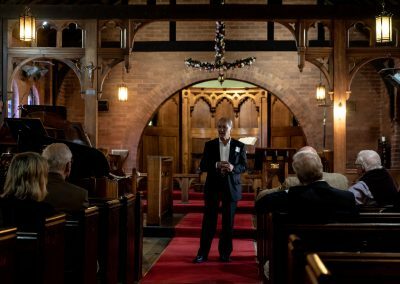 In addition to this introduction, Sugden Society members were treated to a mini-concert by 3rd year Music student, Sam Williams, in the cosy Seafarers chapel. 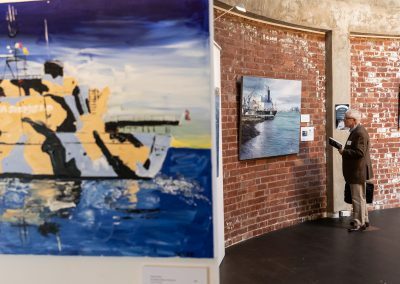 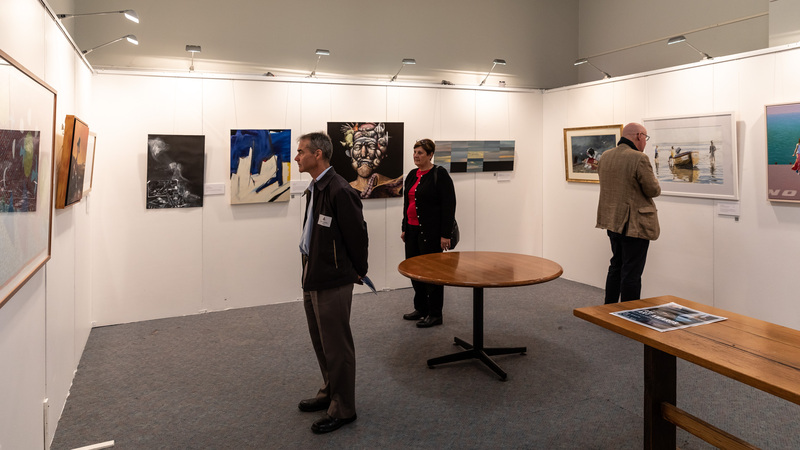 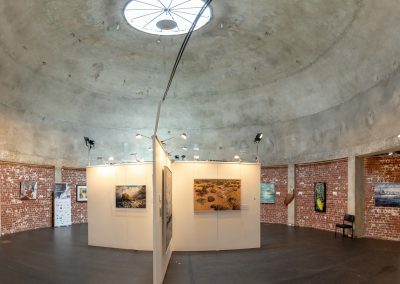 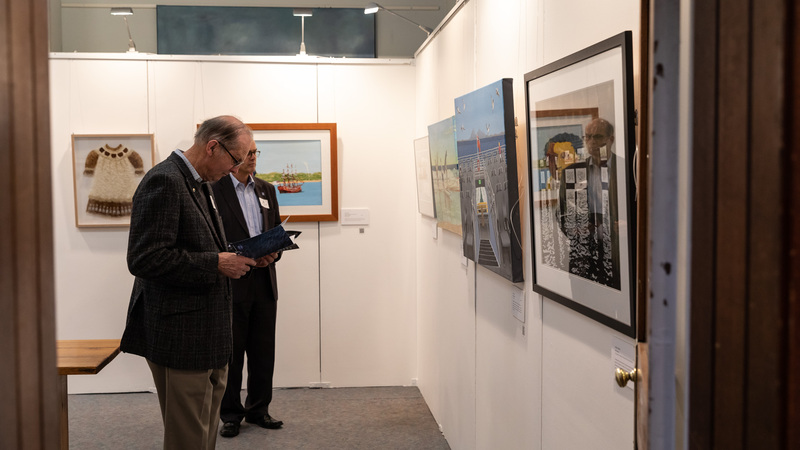 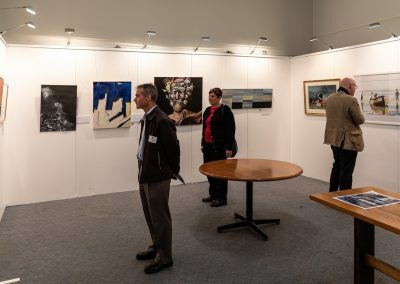 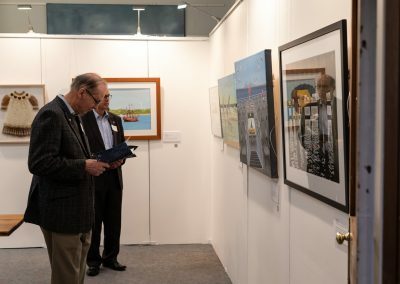 Following on from this, members had the chance to visit the Maritime Arts Exhibition across a number of galleries. 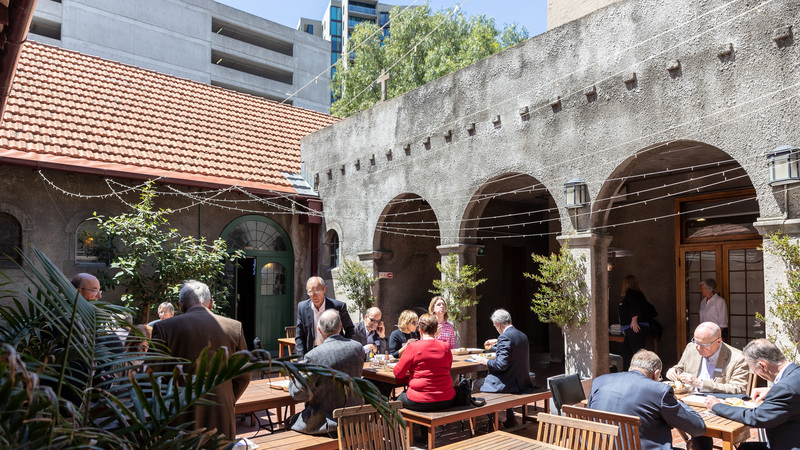 The morning was capped by lunch in the sunny Seafarers courtyard. 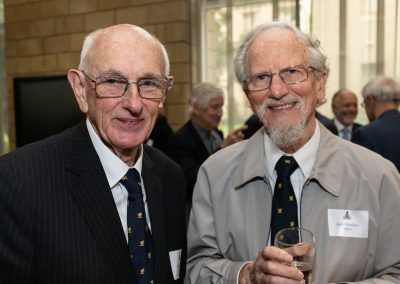 Membership of the Sugden Society is offered to those who have made a bequest to Queen’s College. 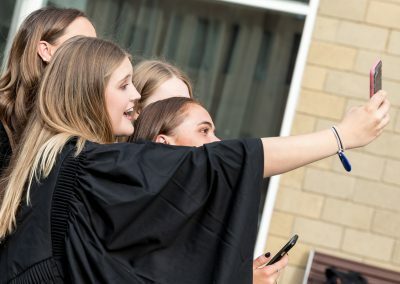 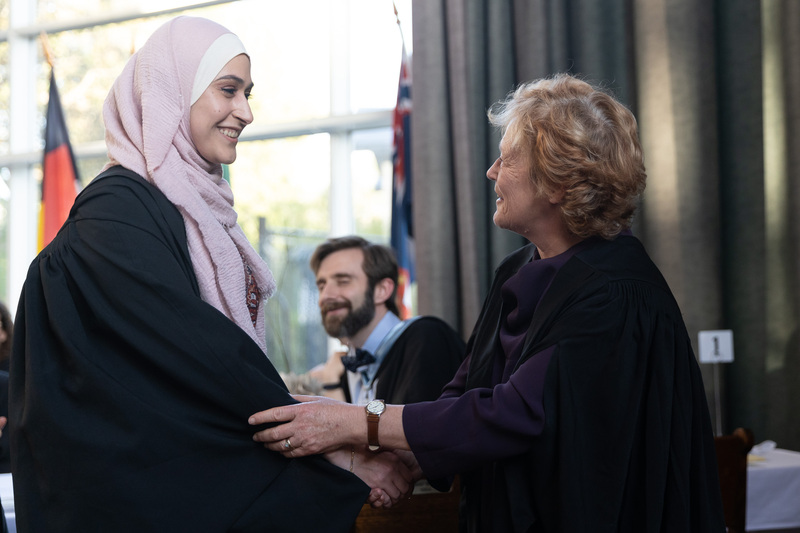 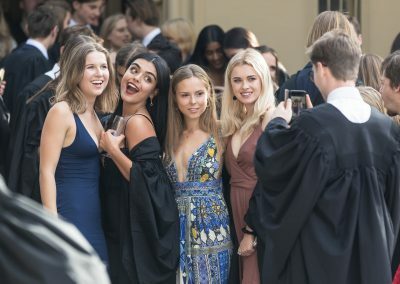 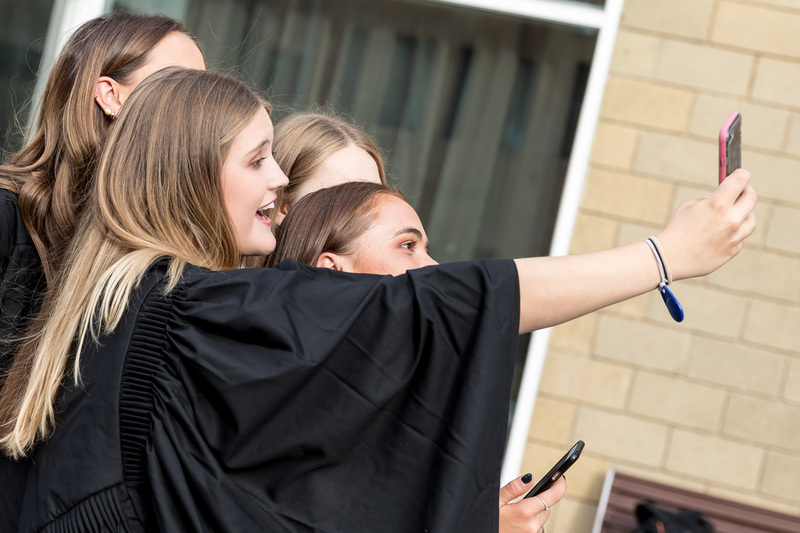 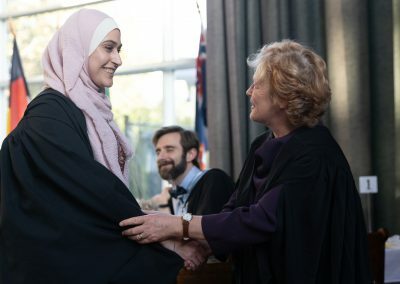 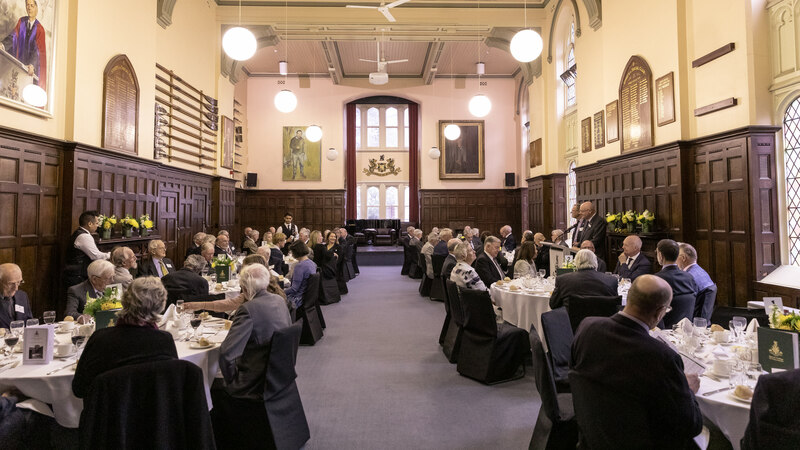 It recognises and honours those who make bequests to the College during their lifetime, and includes invitations to exclusive events. 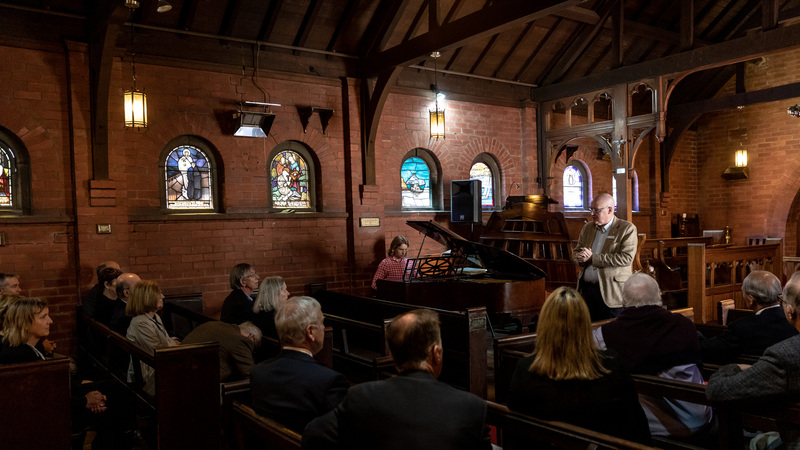 Visit this page if you’d like to know more about the bequest program or the Sugden Society. 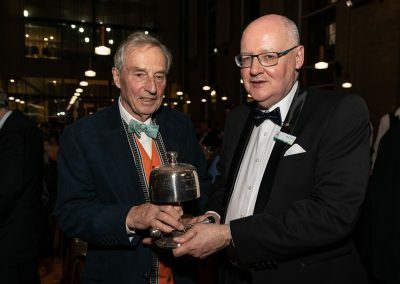 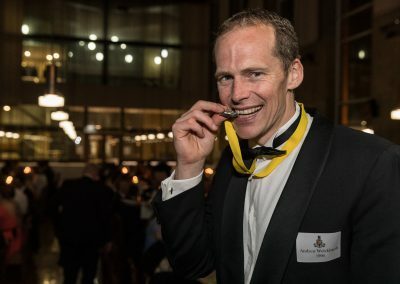 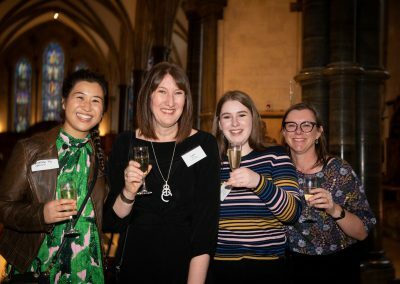 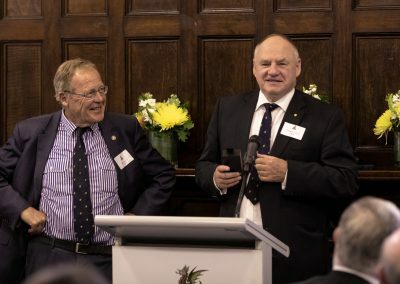 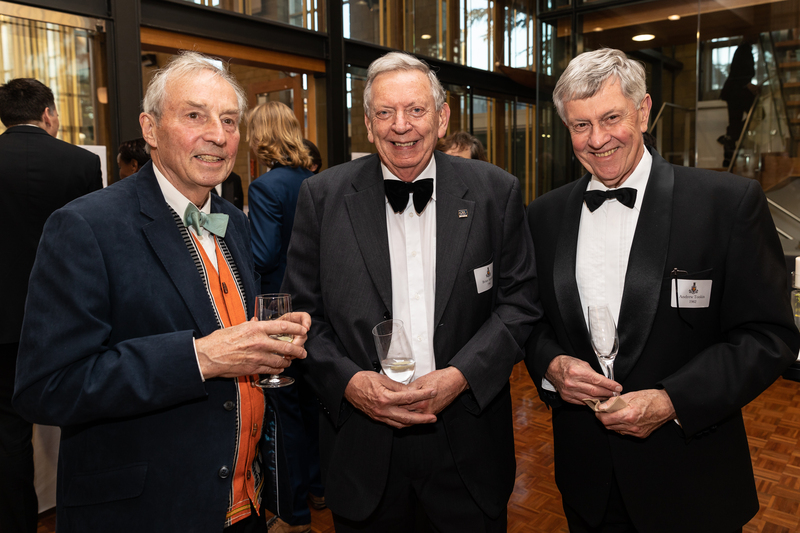 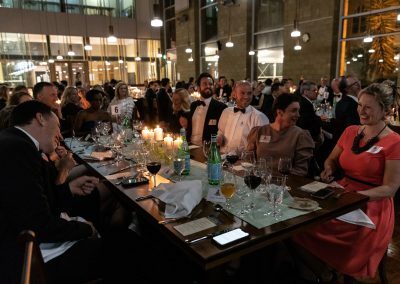 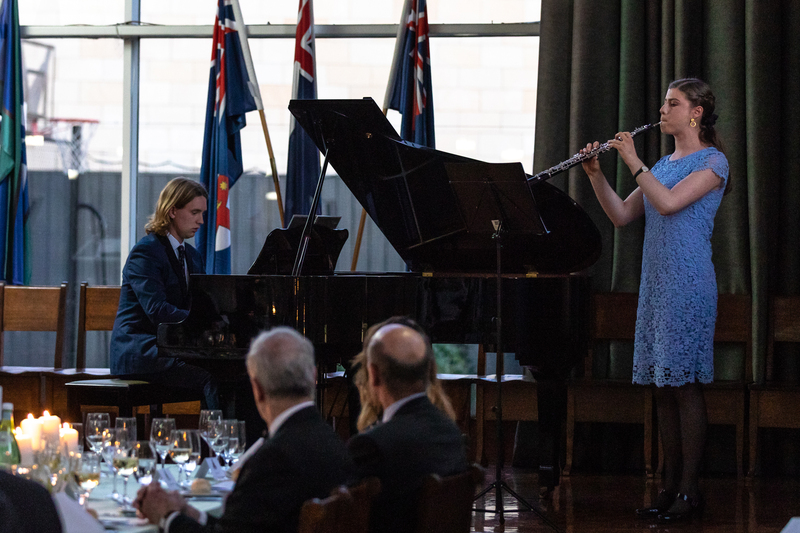 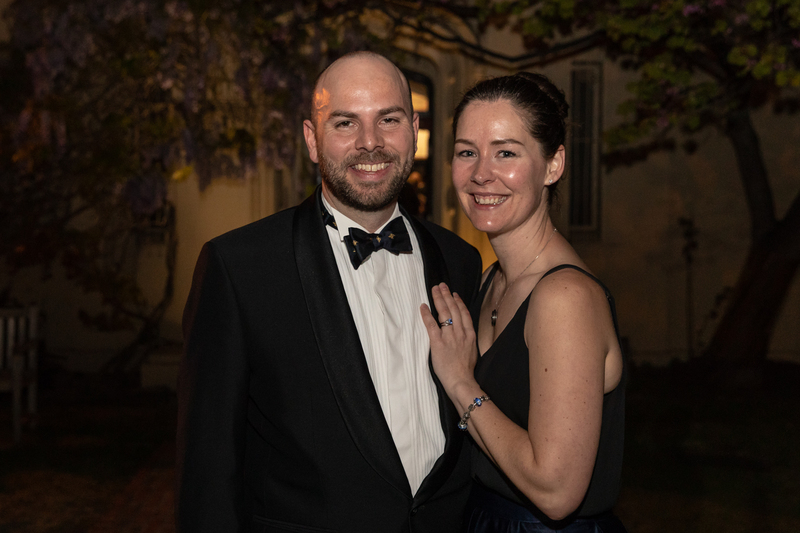 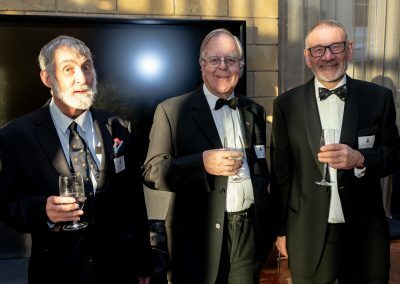 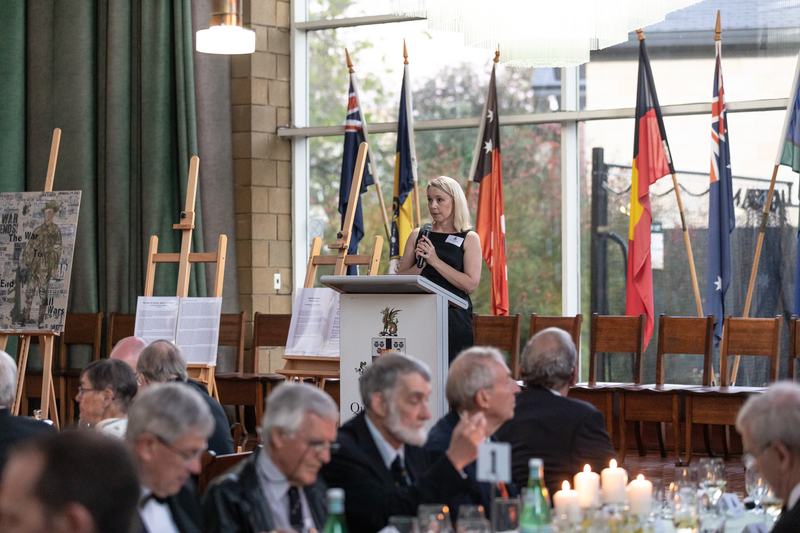 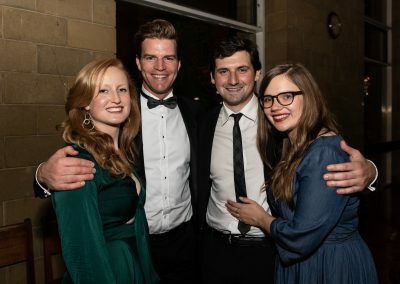 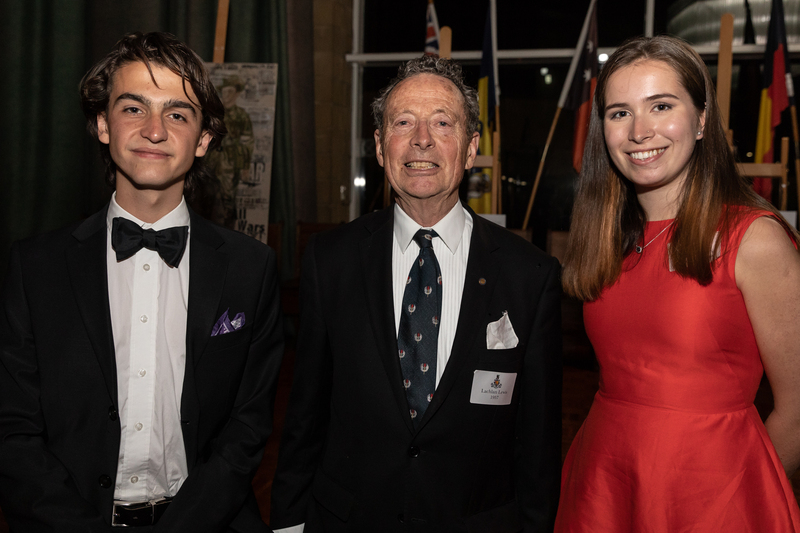 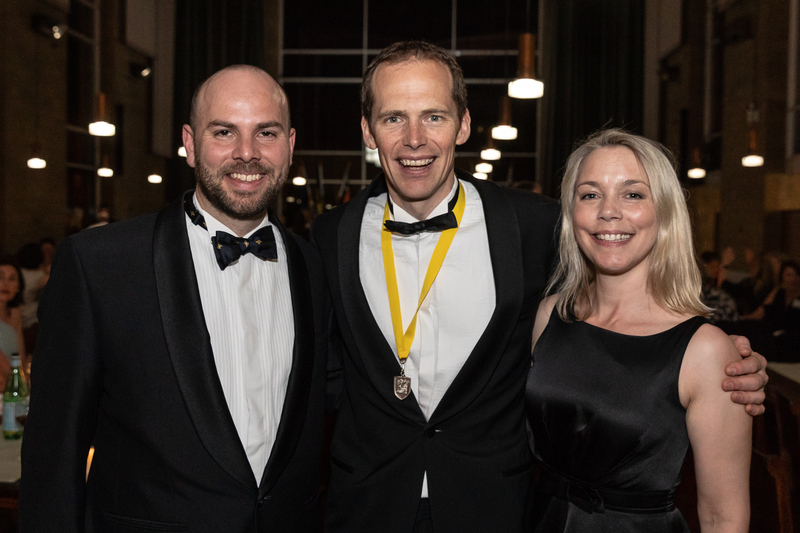 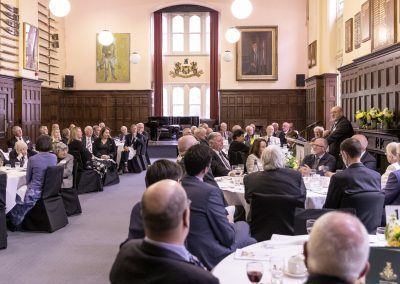 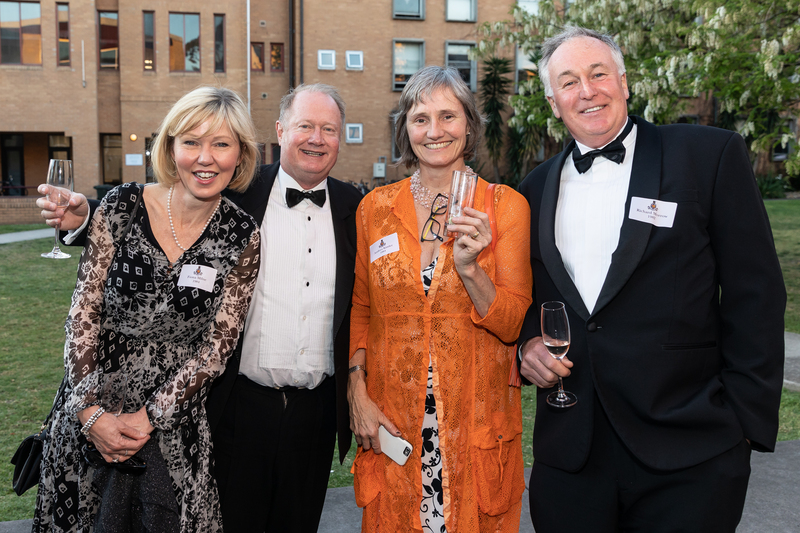 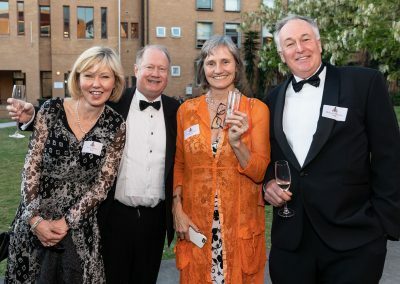 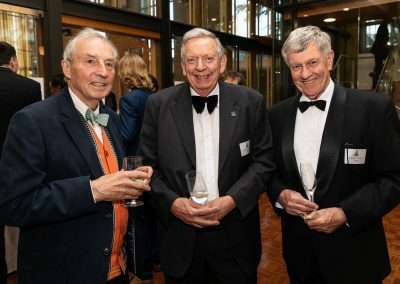 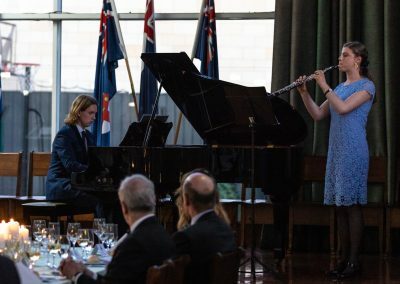 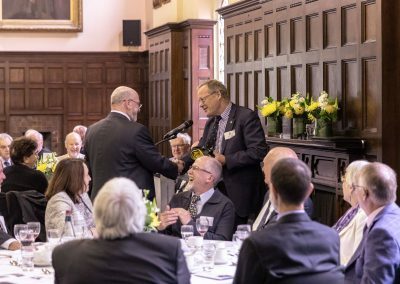 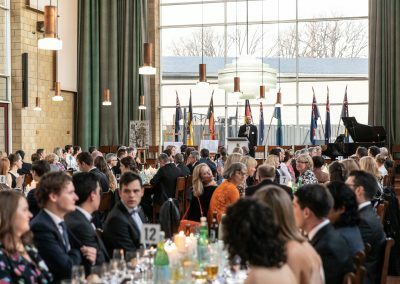 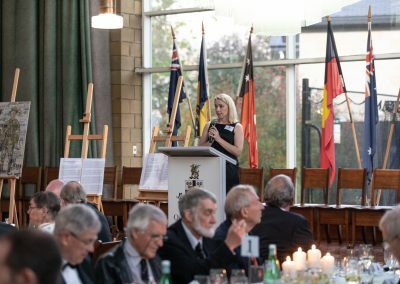 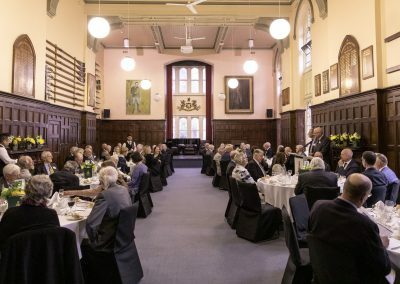 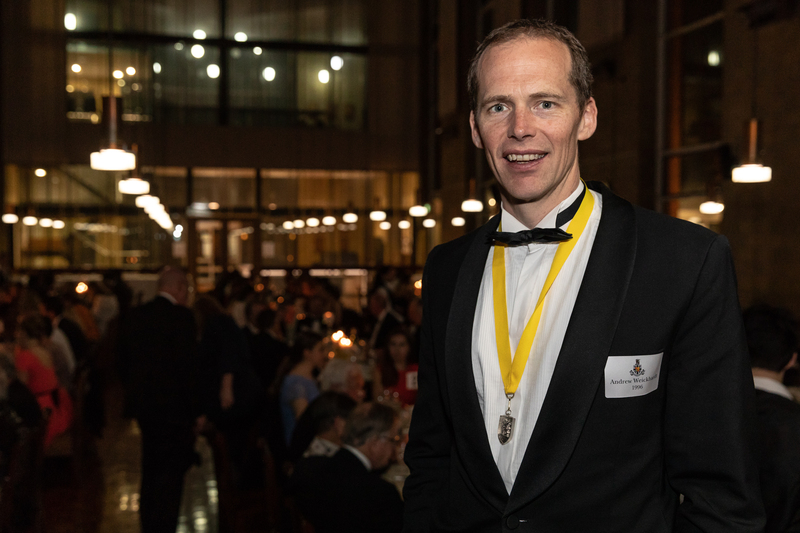 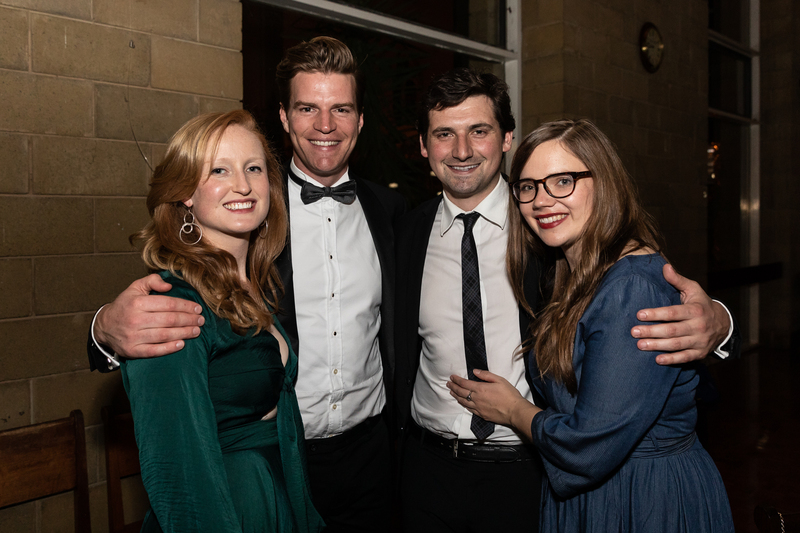 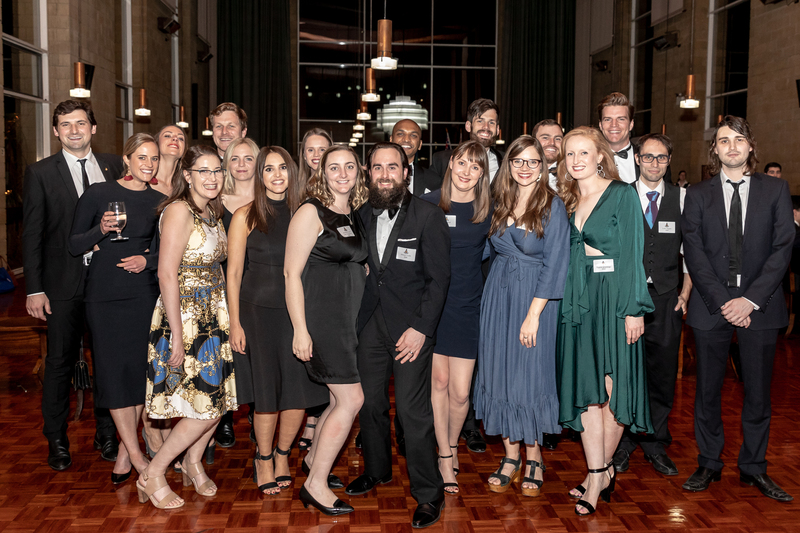 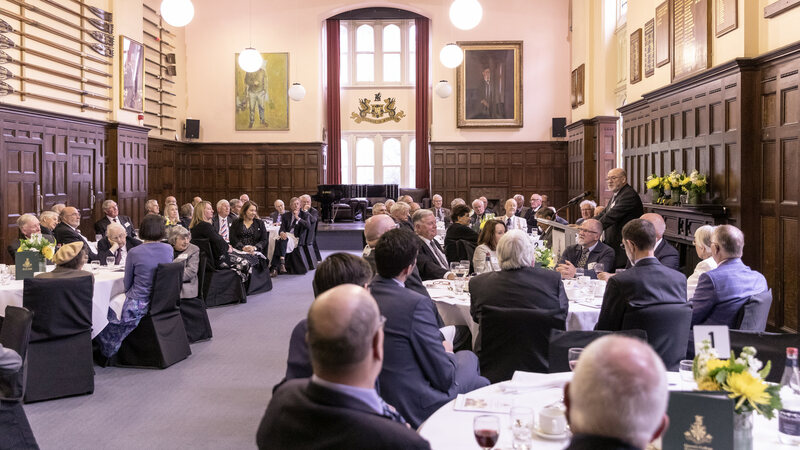 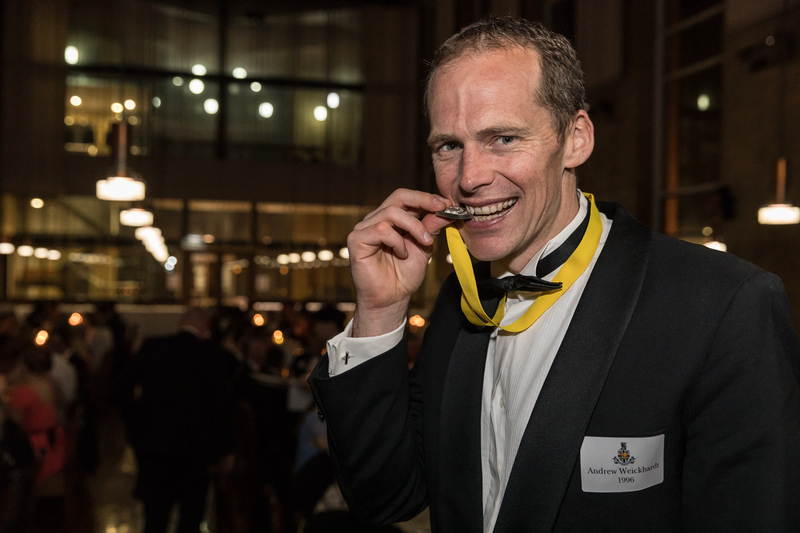 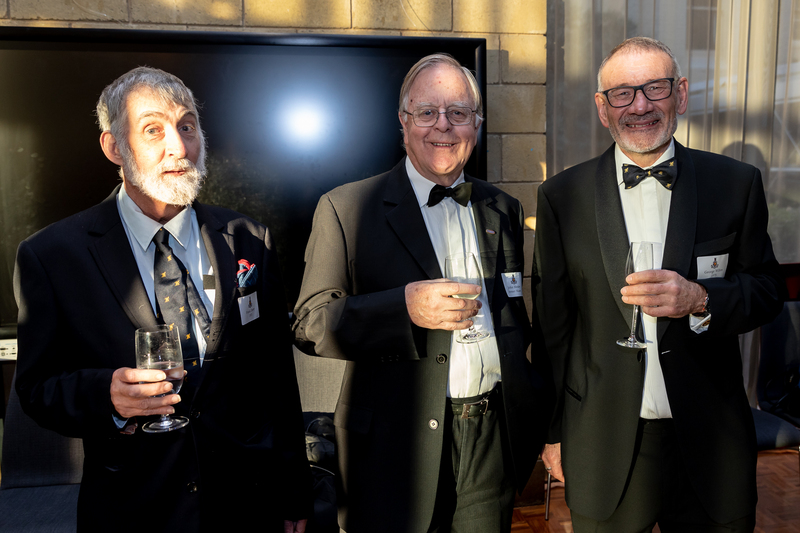 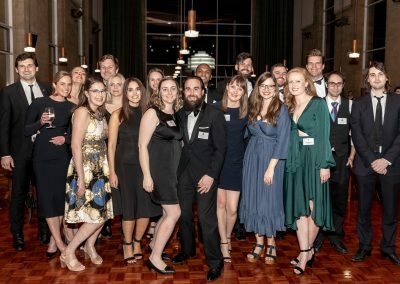 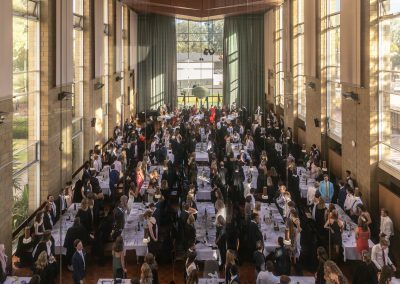 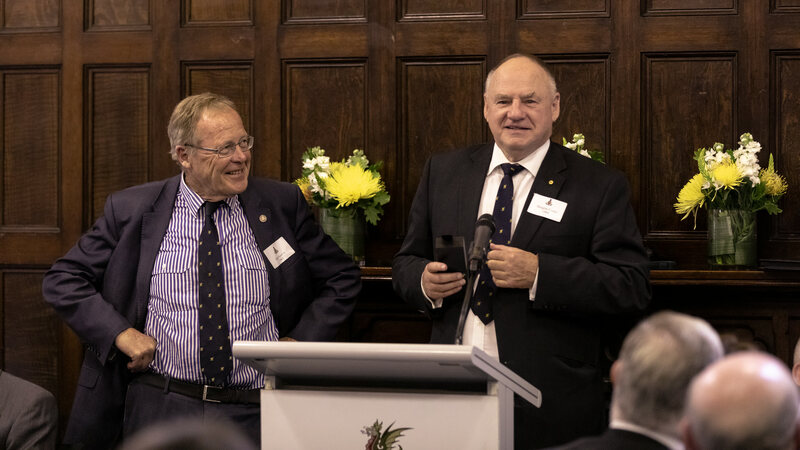 The 2018 Wyvern Dinner was held on Friday 12 October with some of the highlights including the announcement of the Wyvern of the Year and the presentation of the Armistice Prize. 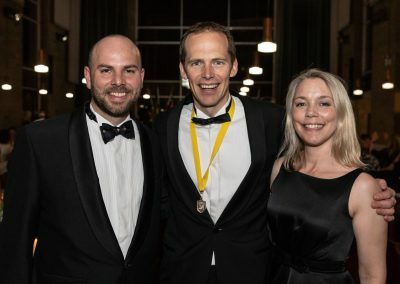 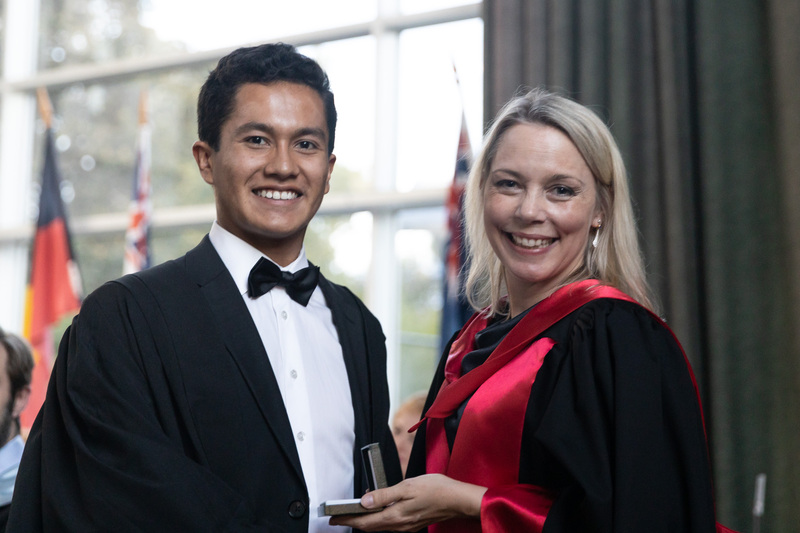 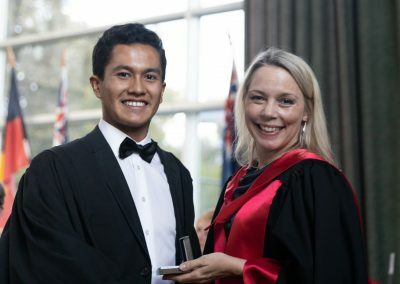 The 2018 Wyvern of the Year is Associate Professor Andrew Weickhardt for his work as a medical oncologist and translational scientist at the Olivia Newton-John Cancer Centre at the Austin Hospital, leading the genitourinary cancer team investigating new ways of using immune therapies to treat bladder, prostate and kidney cancer. 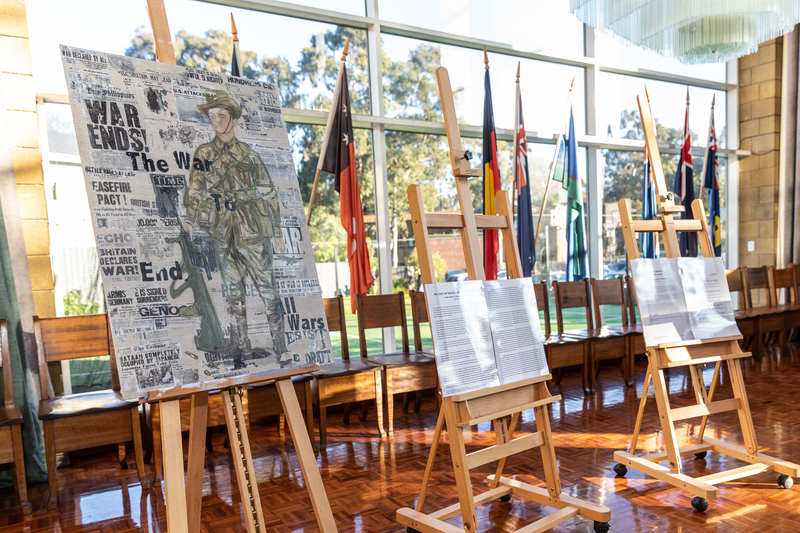 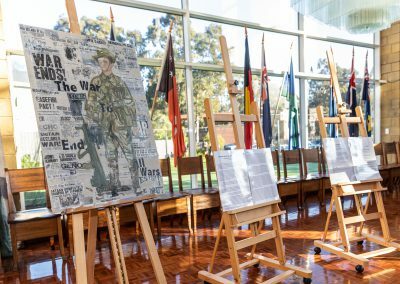 The Wyvern Armistice Prize is a new offering from the Wyvern Society, awarded annually to residents for either a piece of writing, art, or music that honours the legacy of those who served in WWI.The 2018 submissions included a war collage by Miranda Smith (2nd year Fine Arts), a polemical essay by Tom Waring (2nd year Science), and a musical composition for piano and oboe by Sam Williams (3rd year Music). 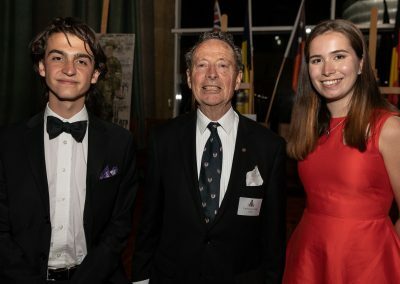 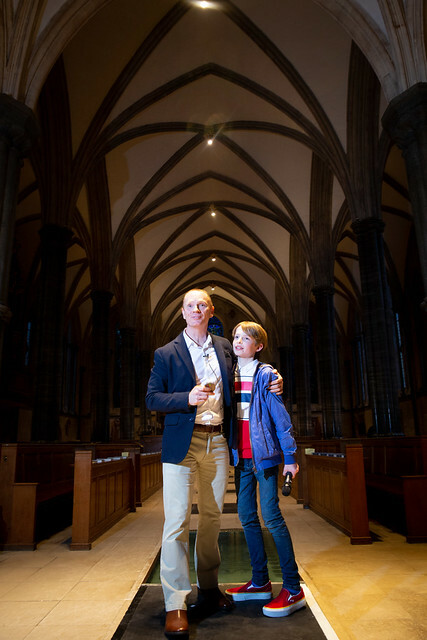 (refer to this news article for further details on the Armistice Prize winner).